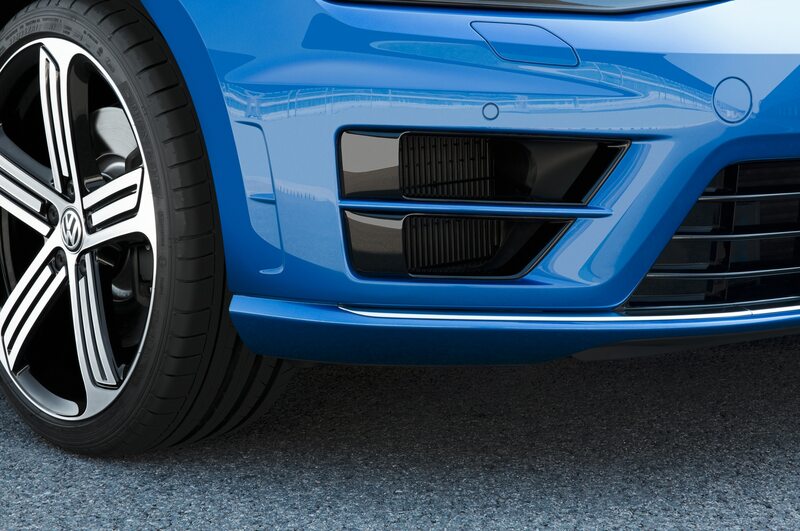 Just about all the car most people will ever need. 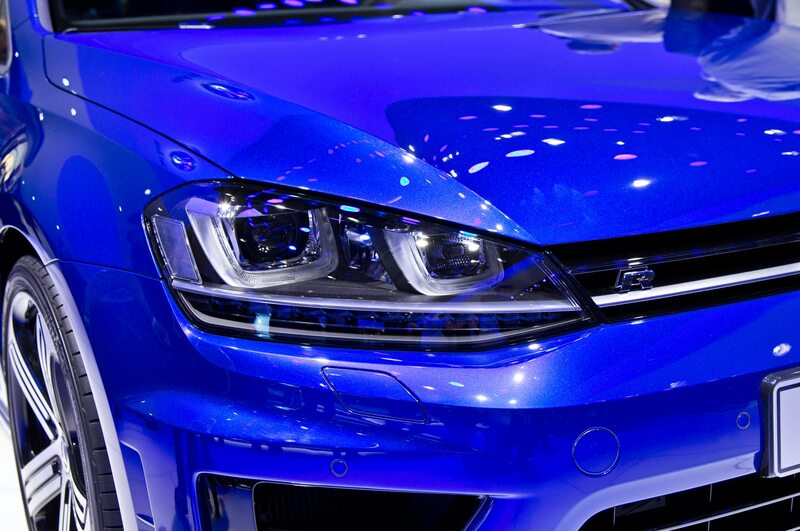 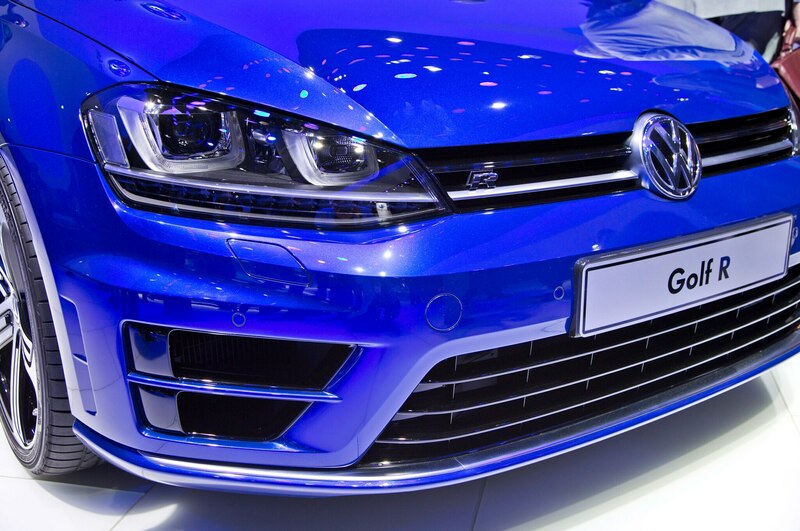 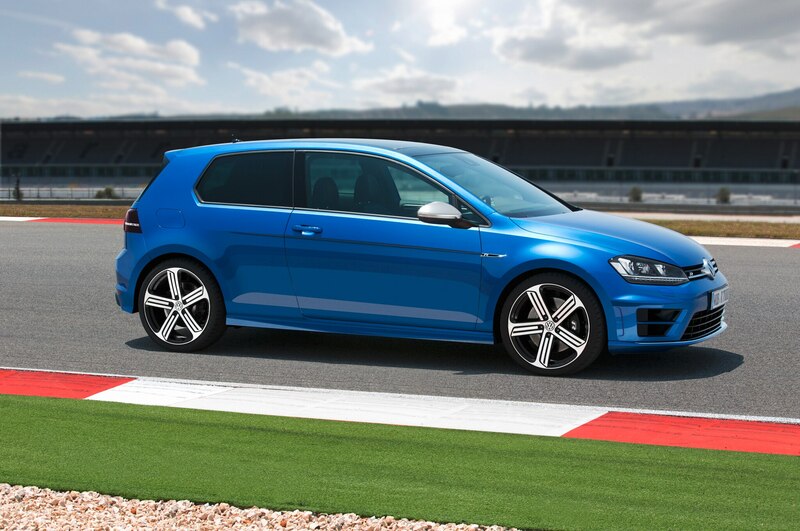 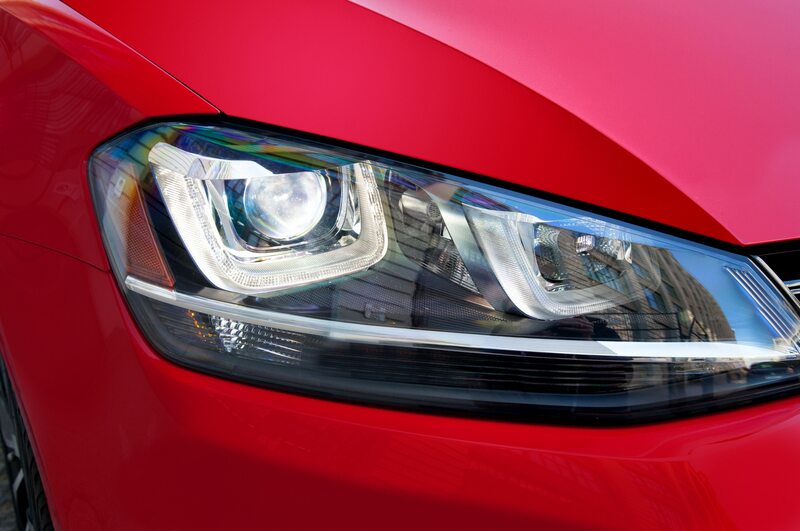 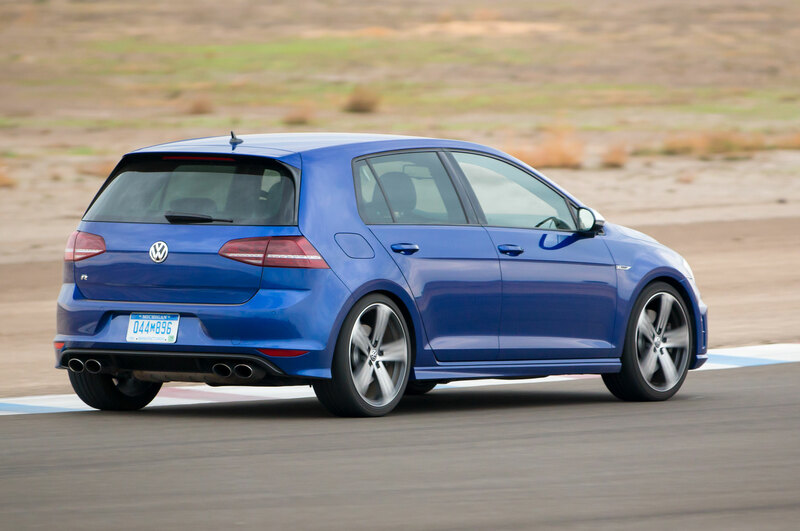 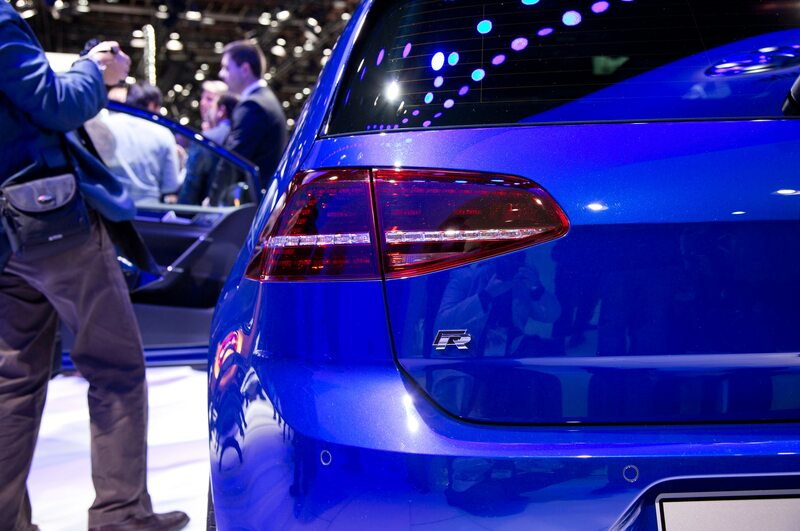 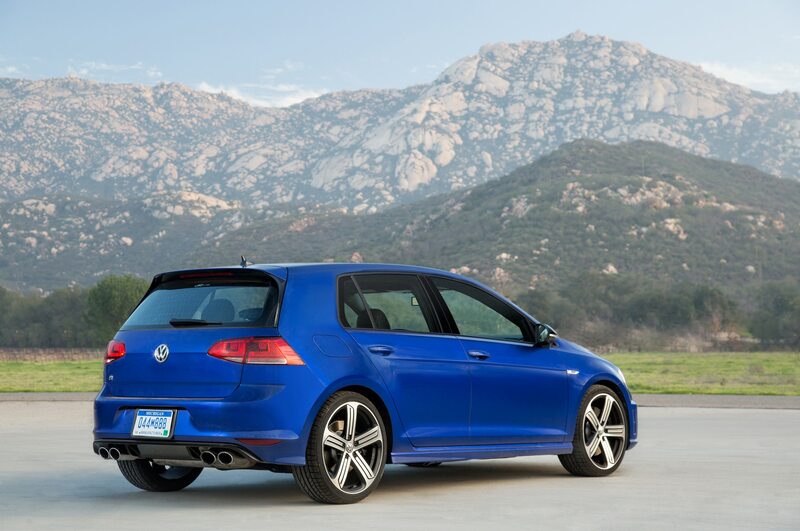 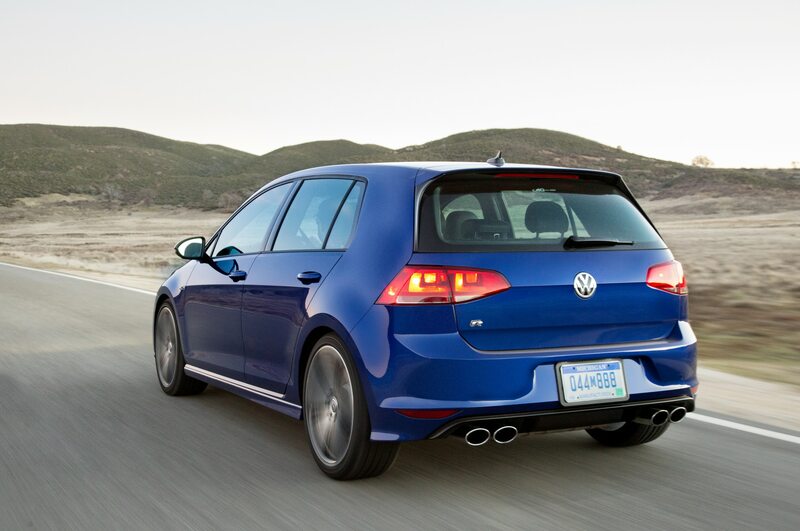 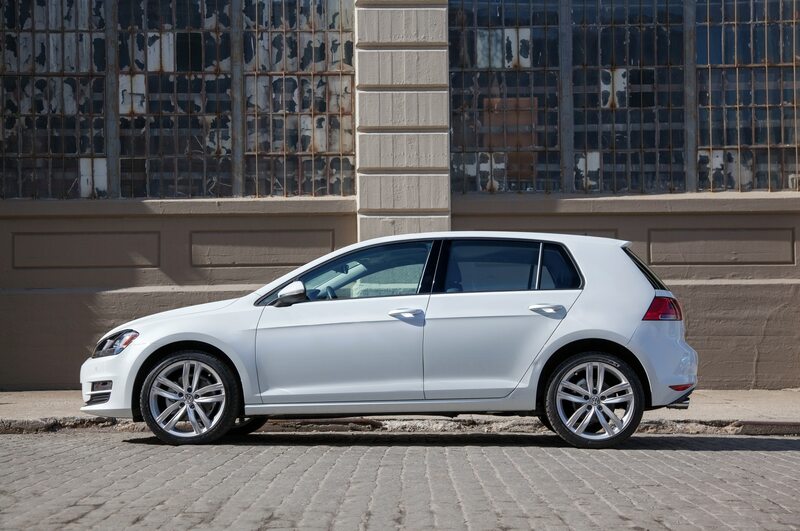 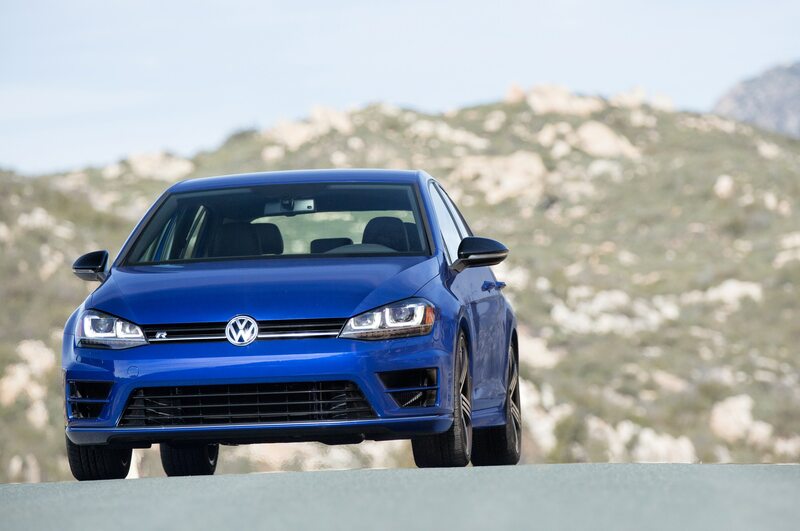 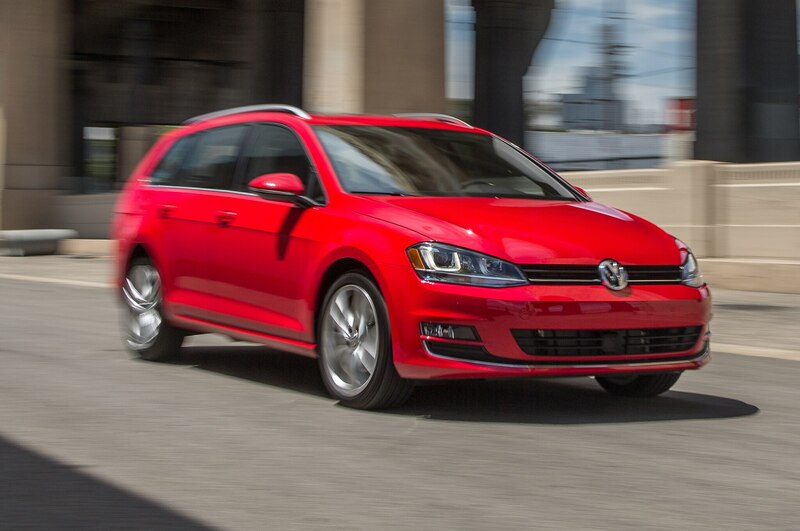 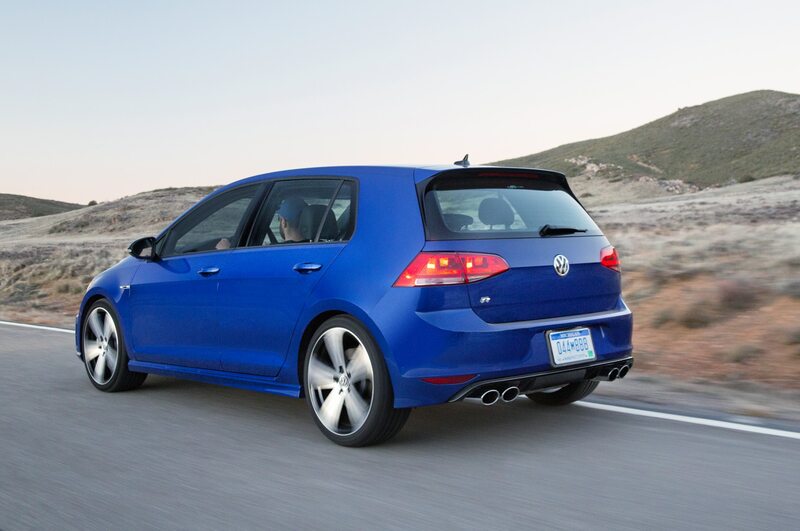 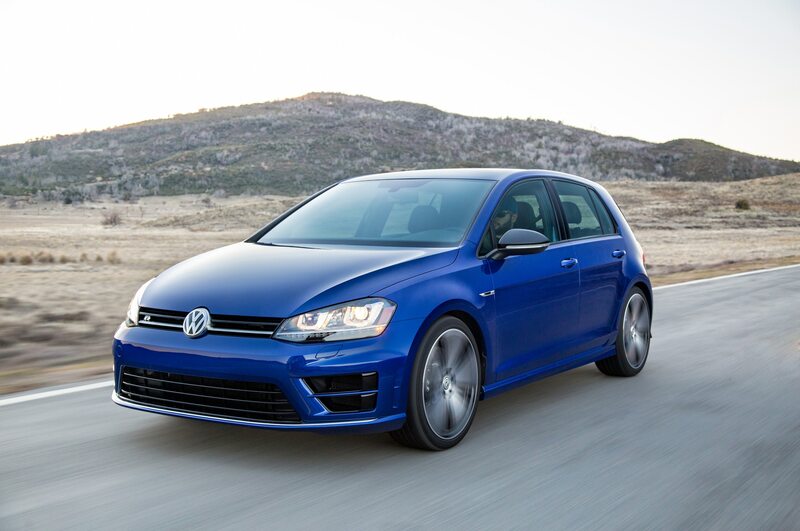 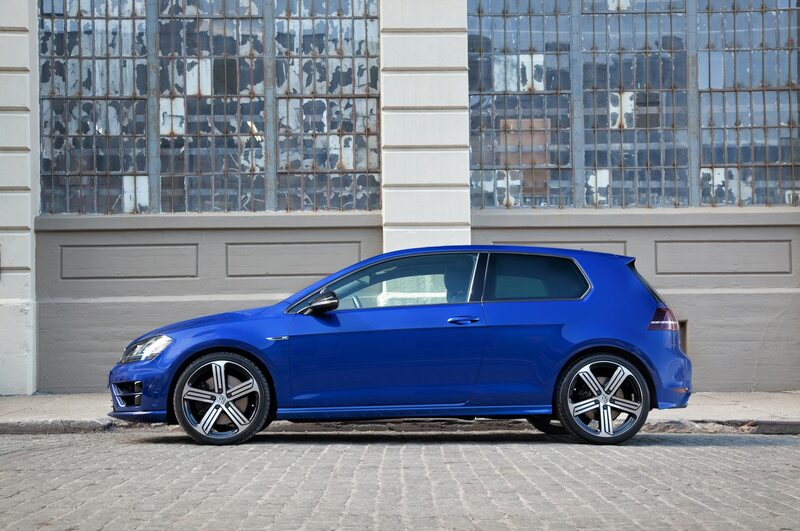 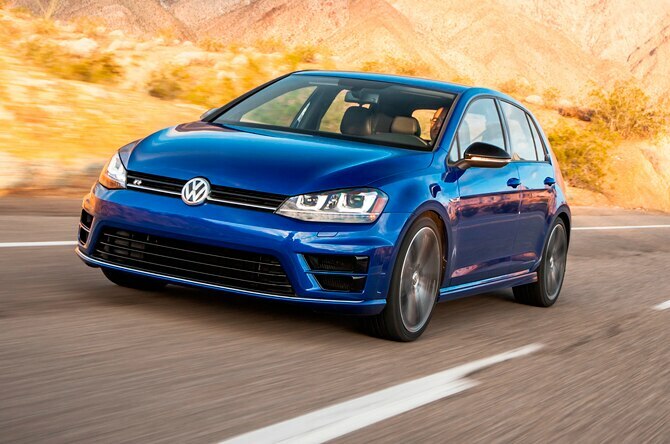 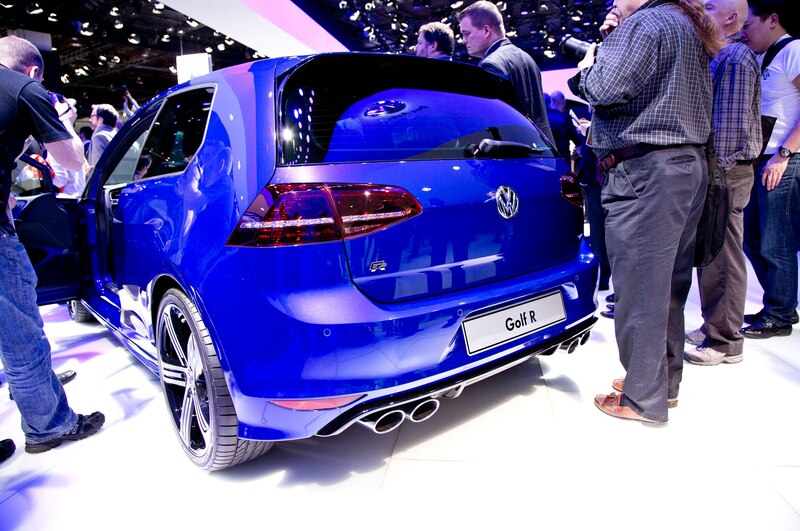 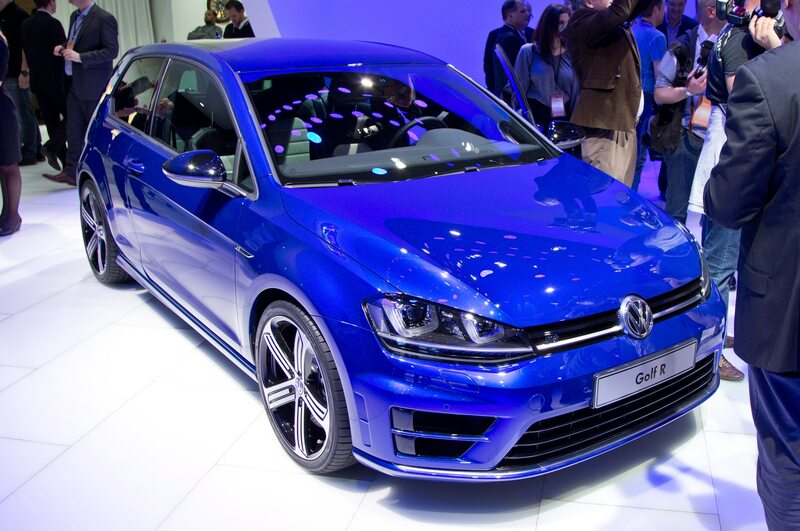 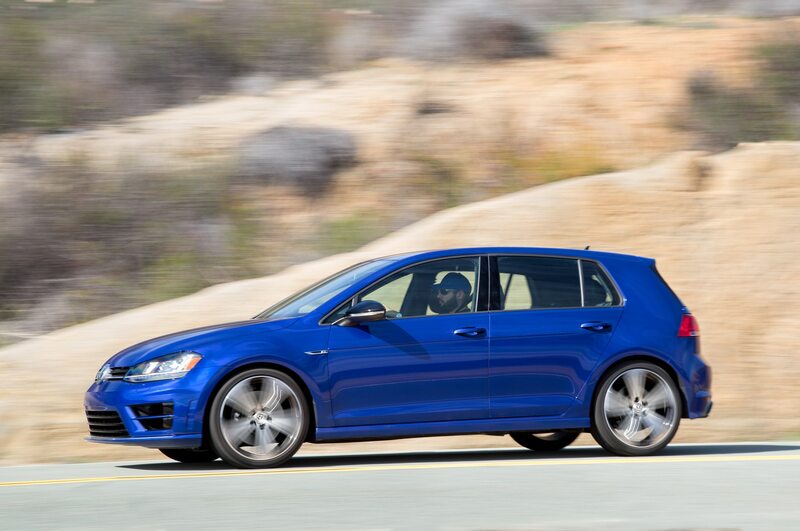 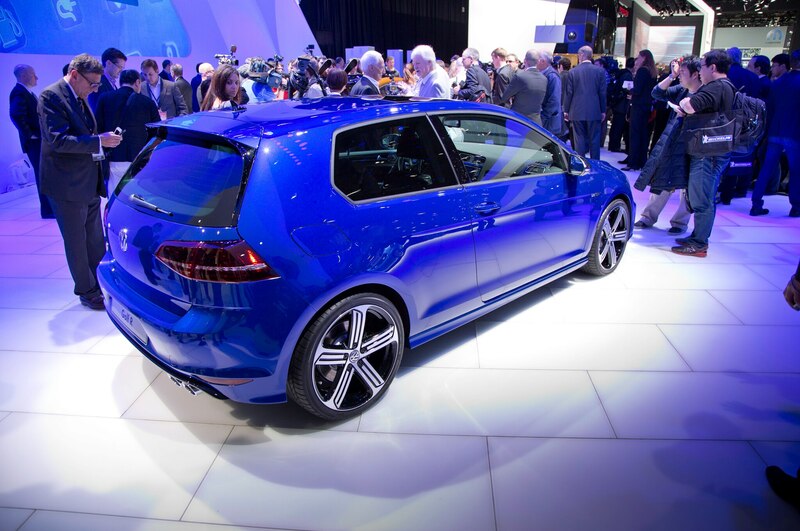 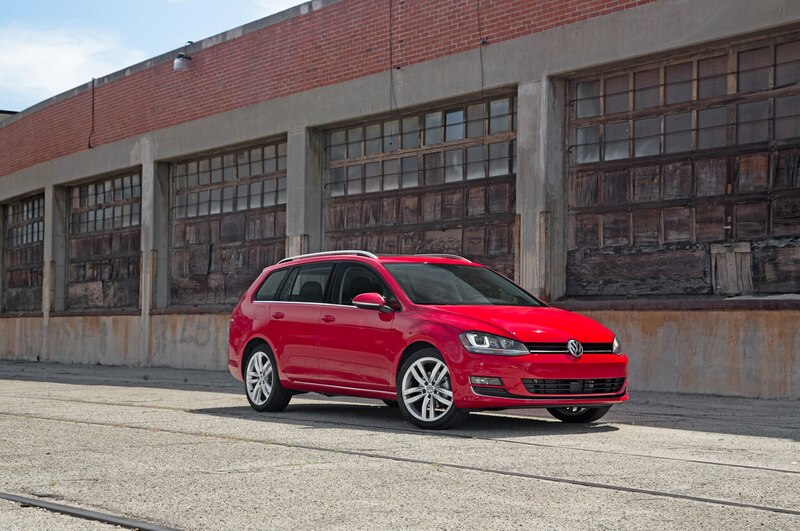 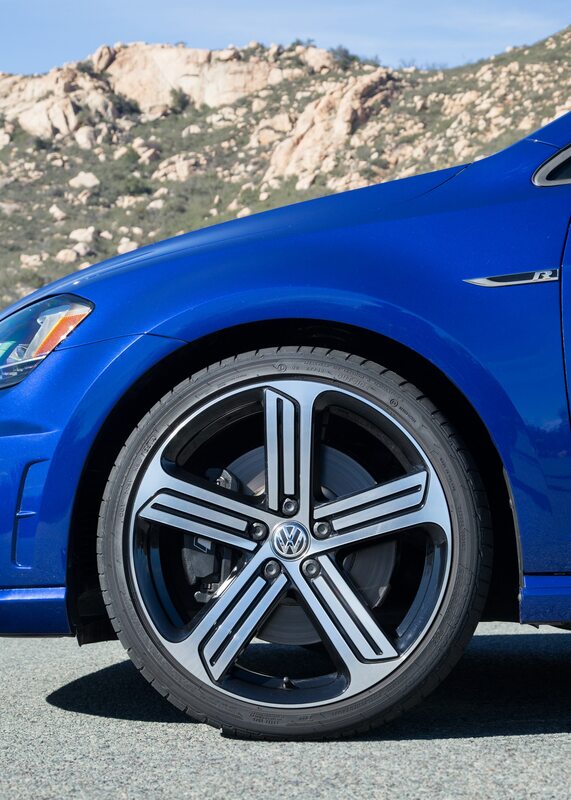 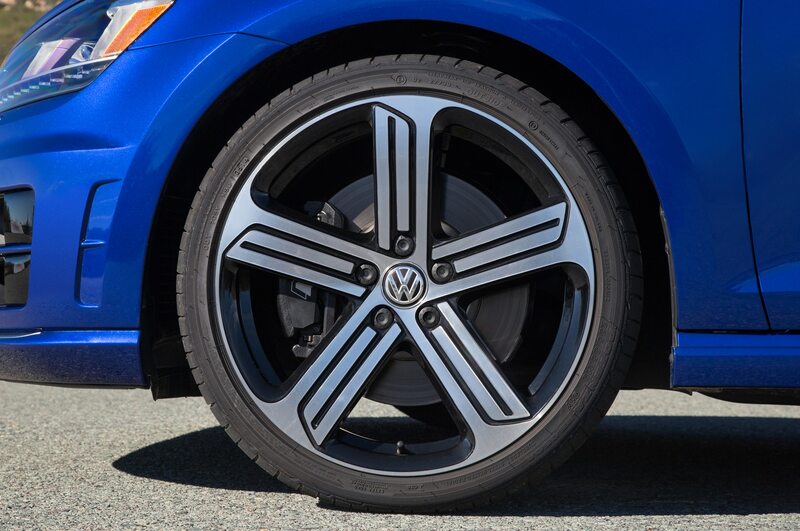 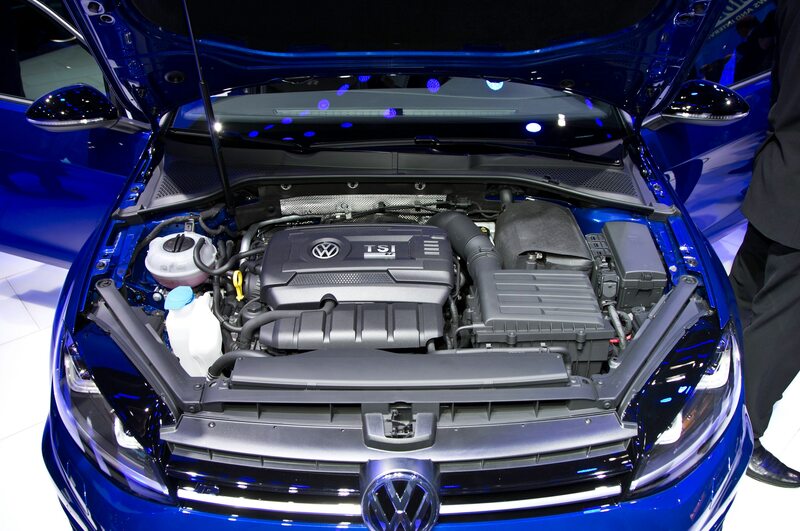 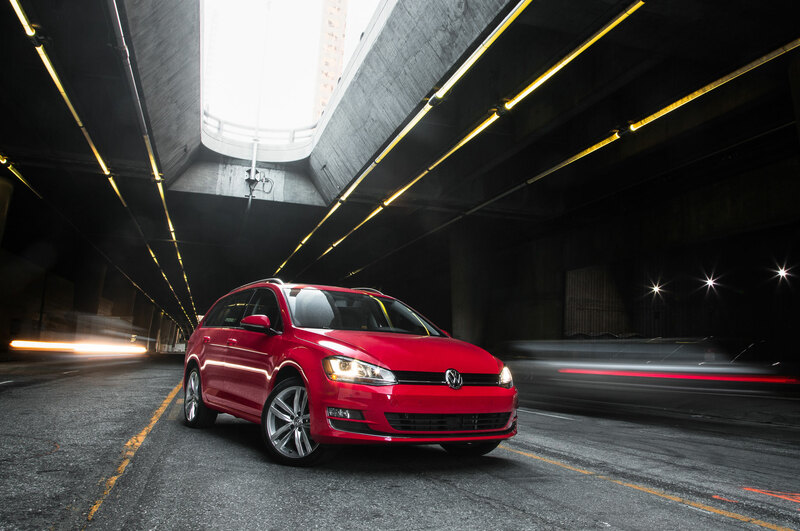 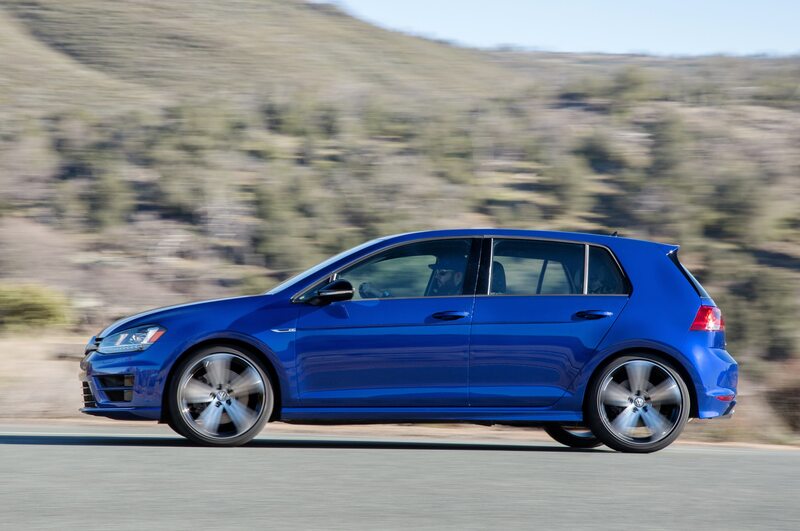 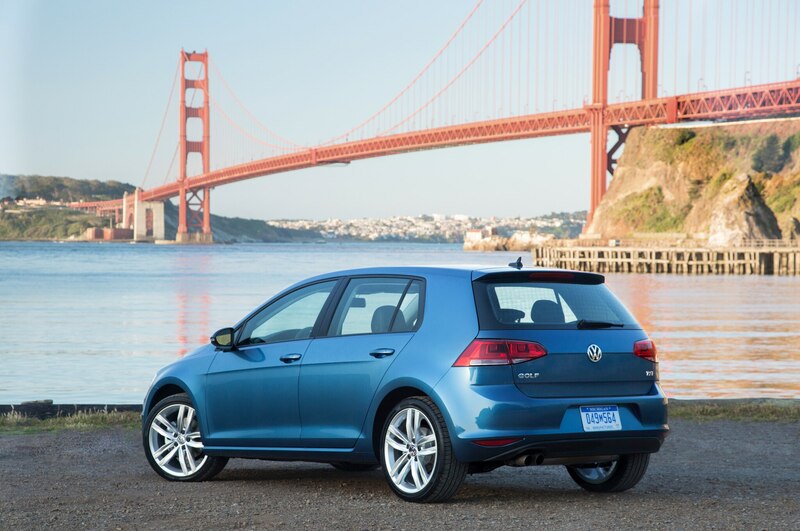 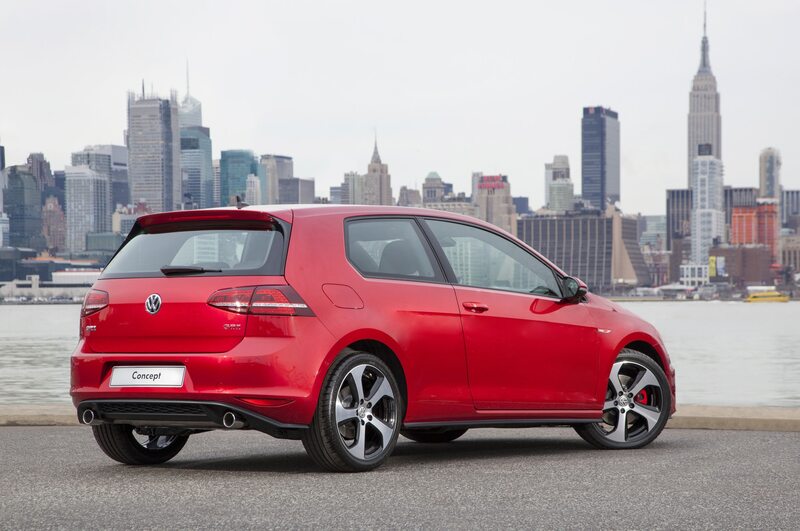 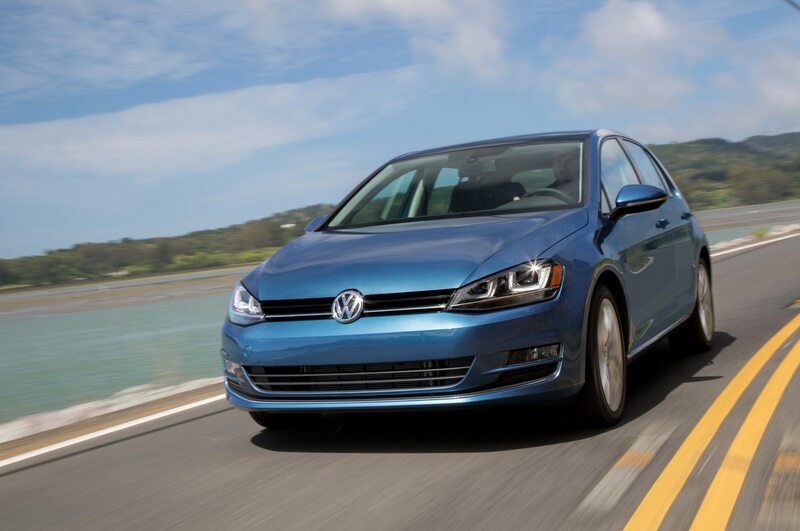 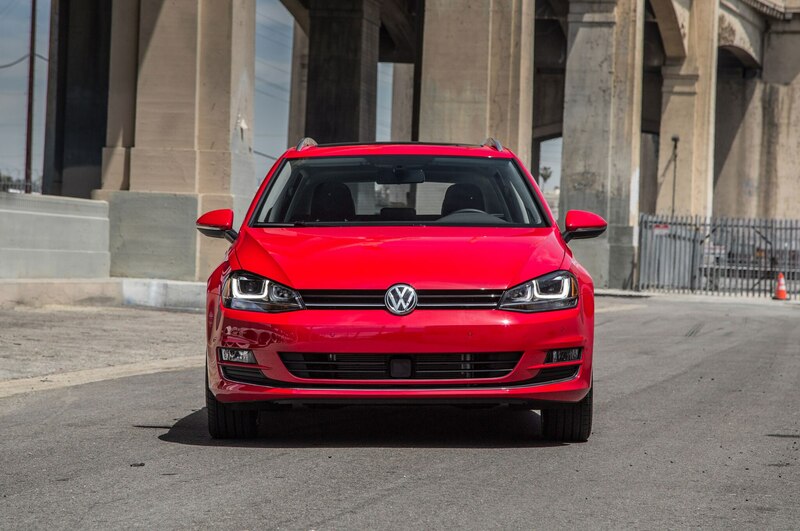 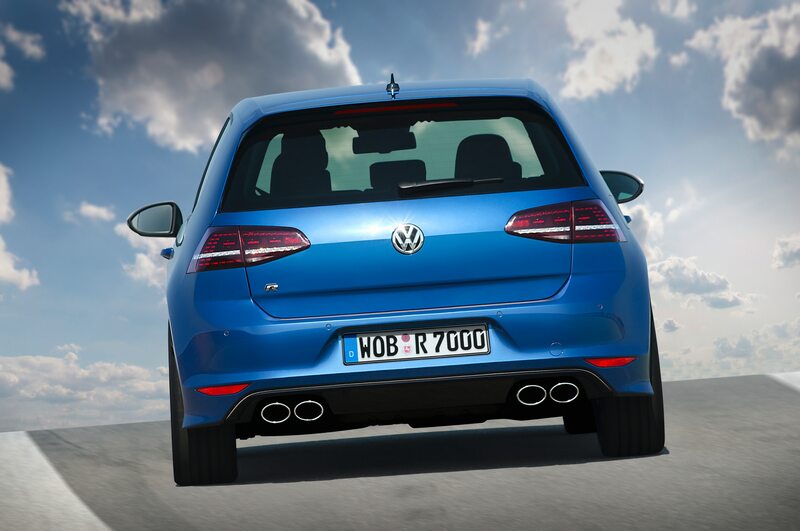 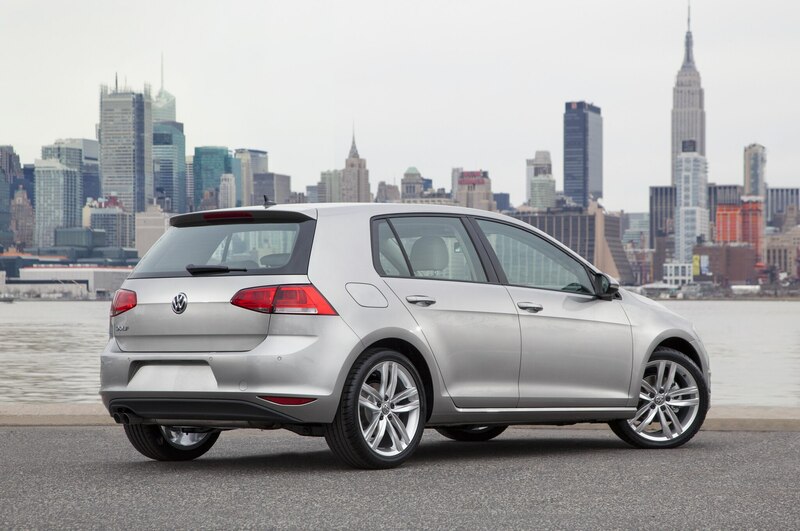 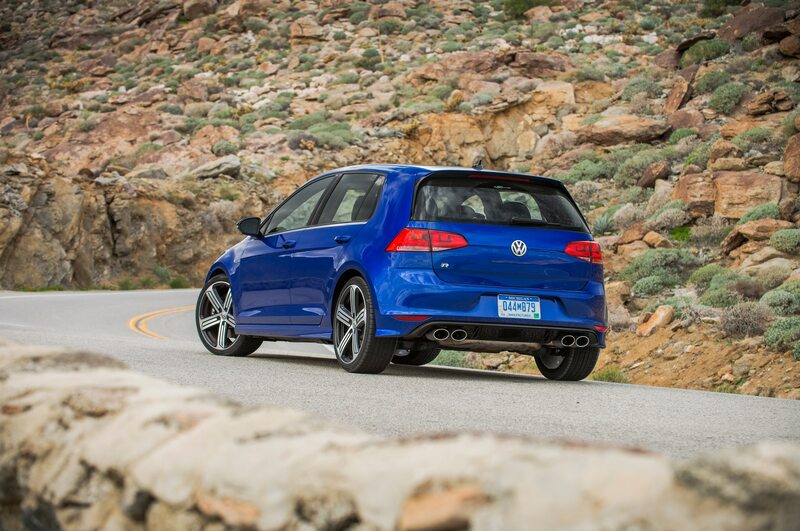 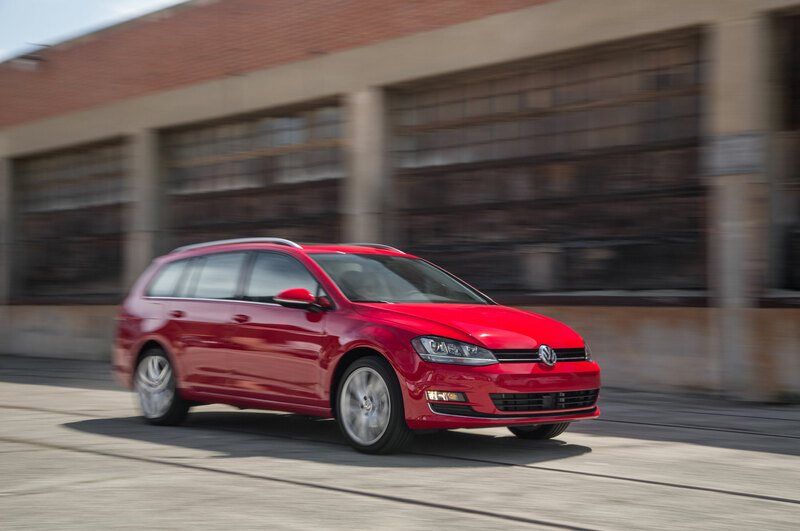 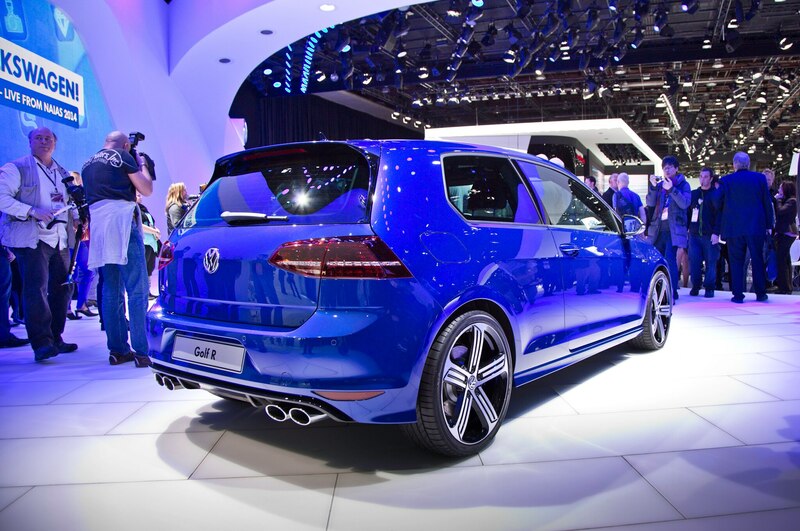 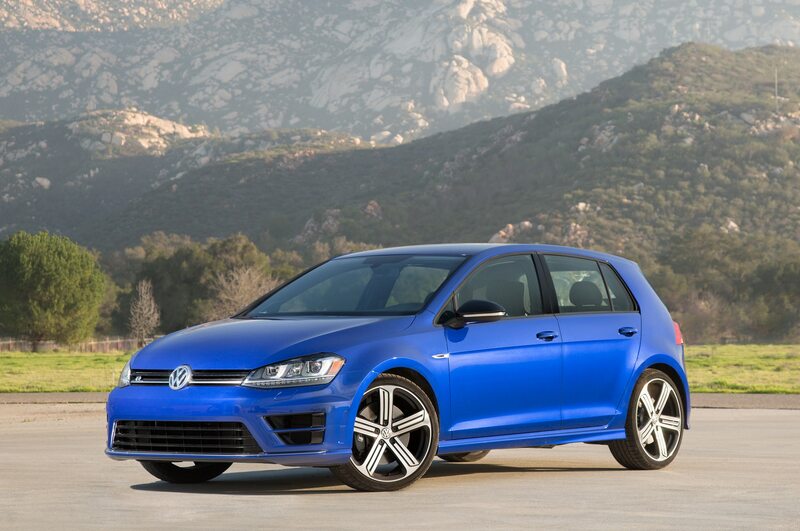 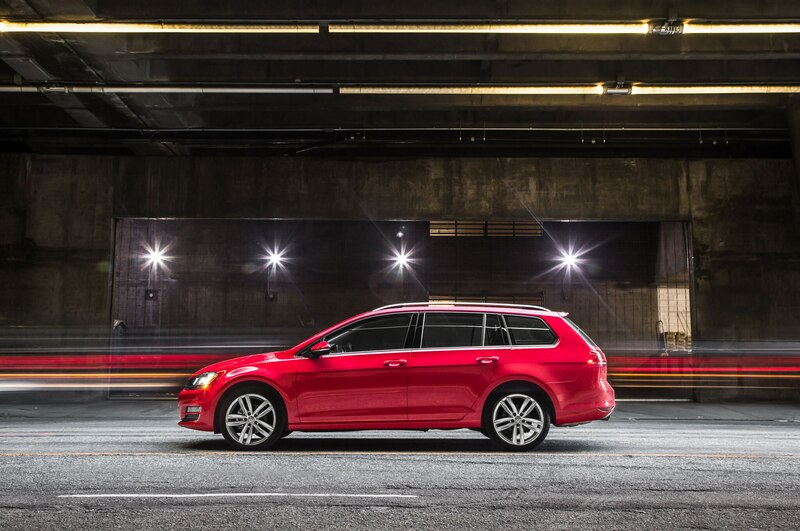 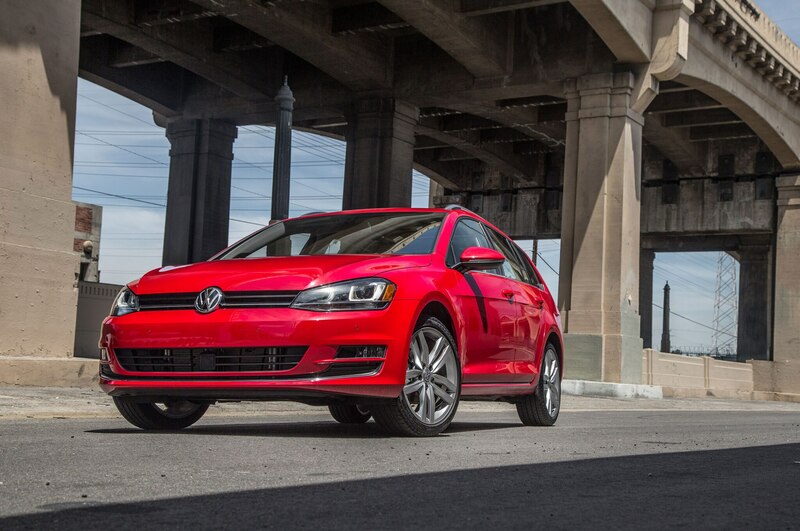 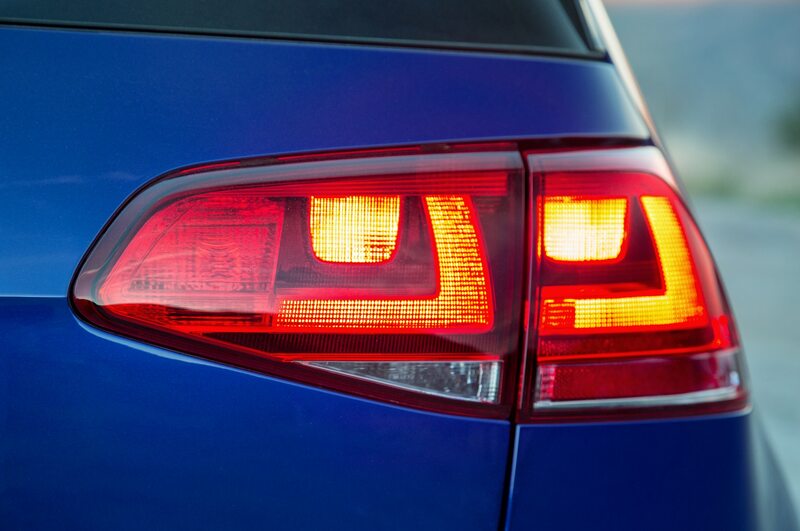 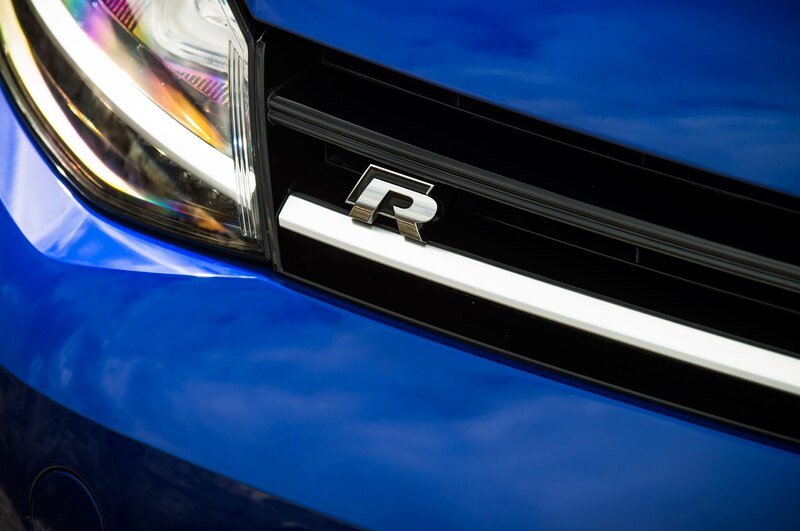 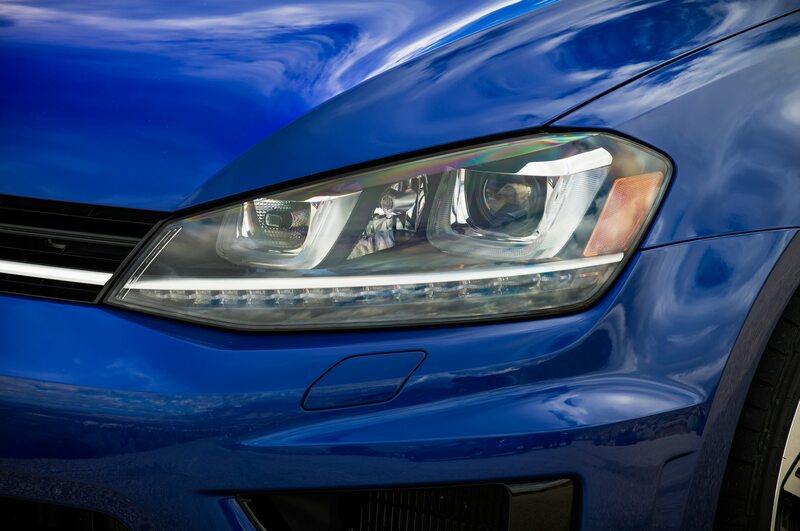 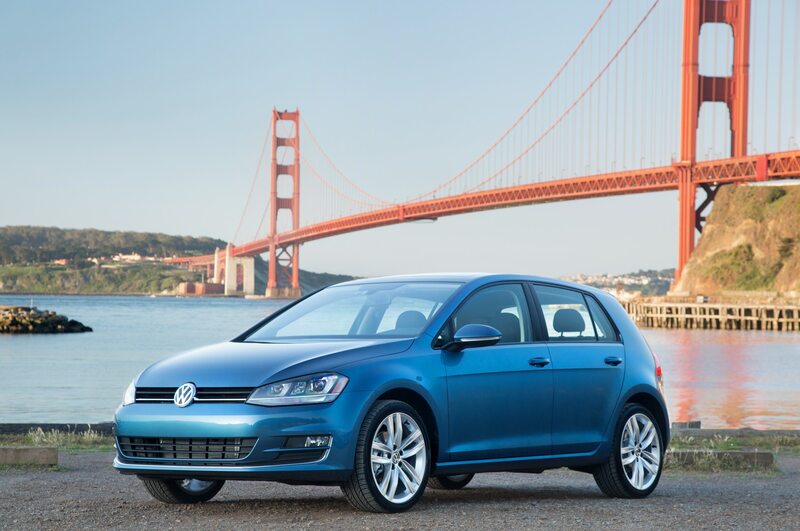 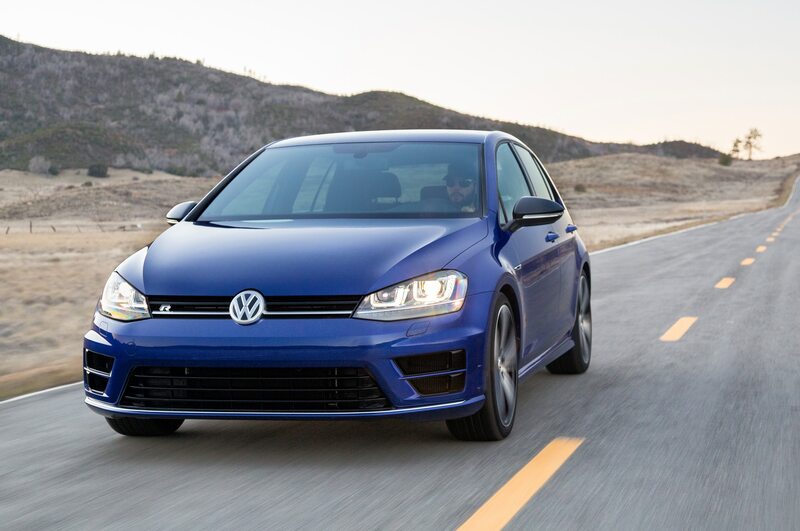 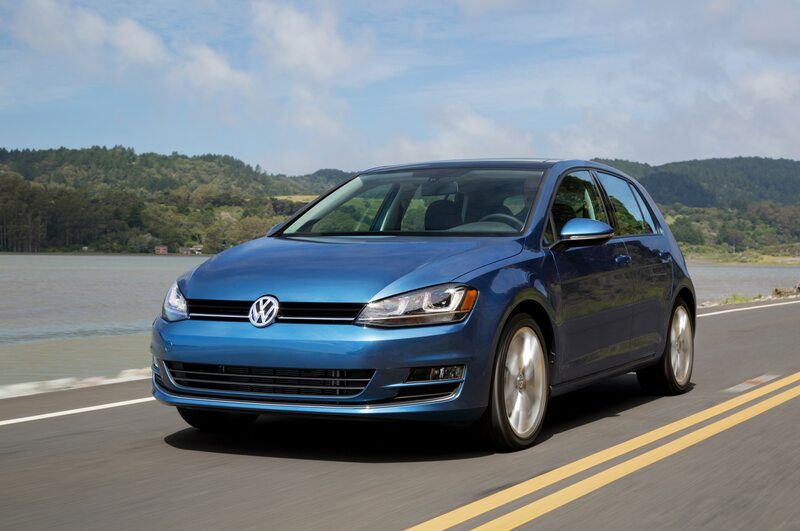 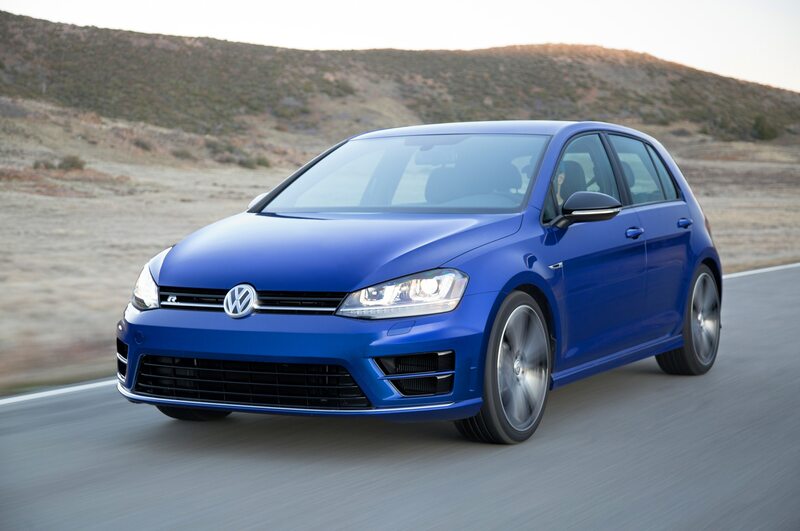 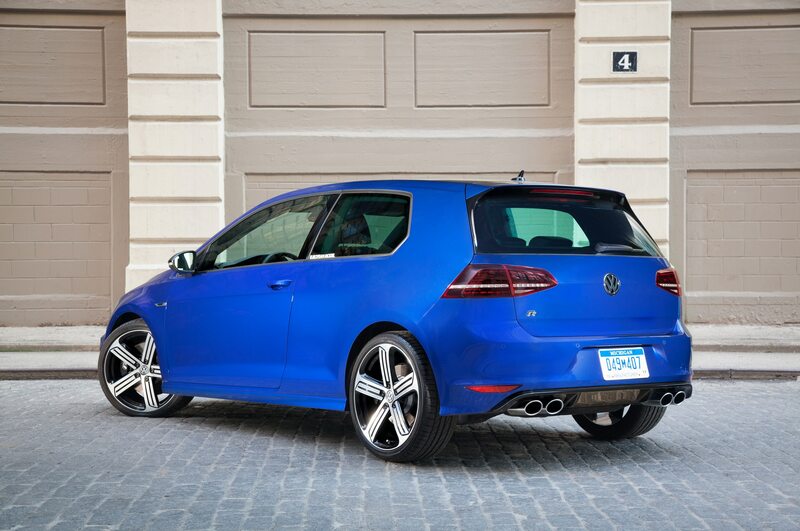 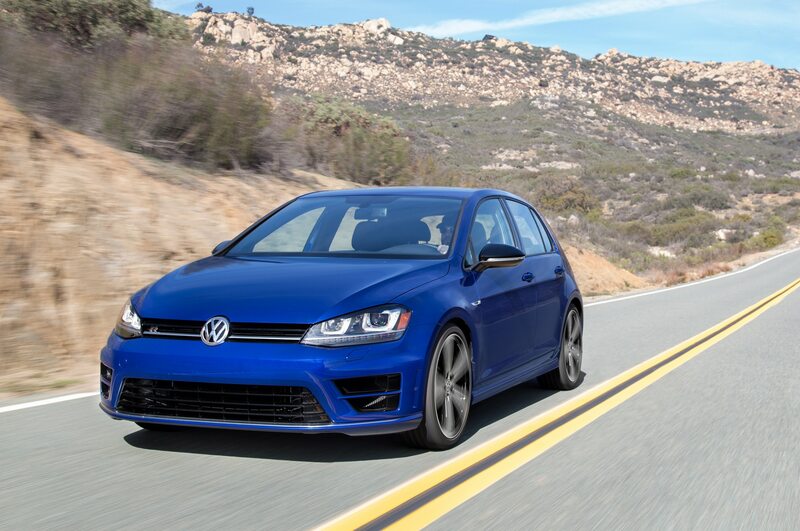 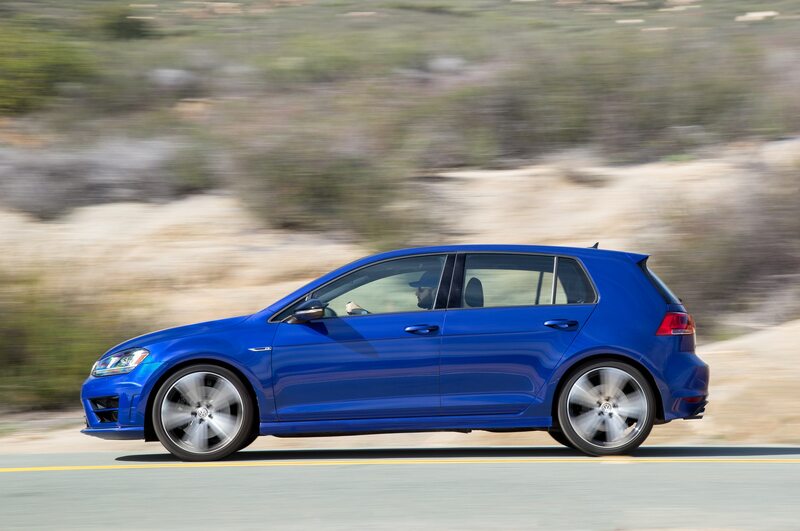 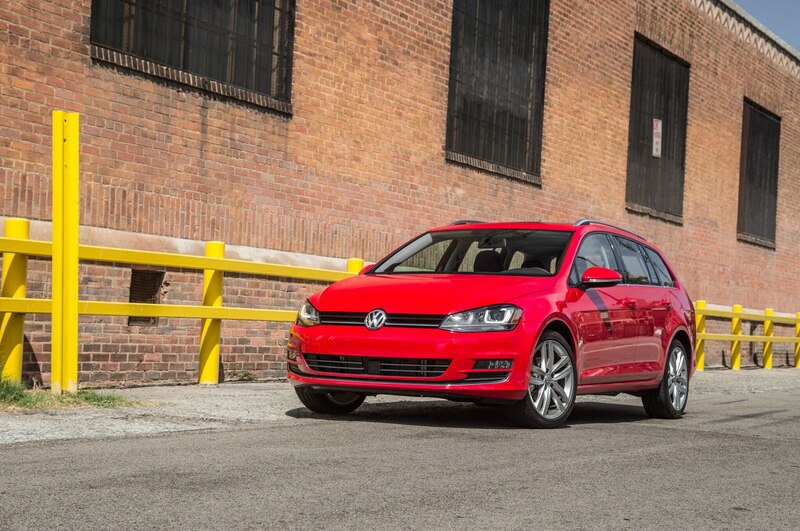 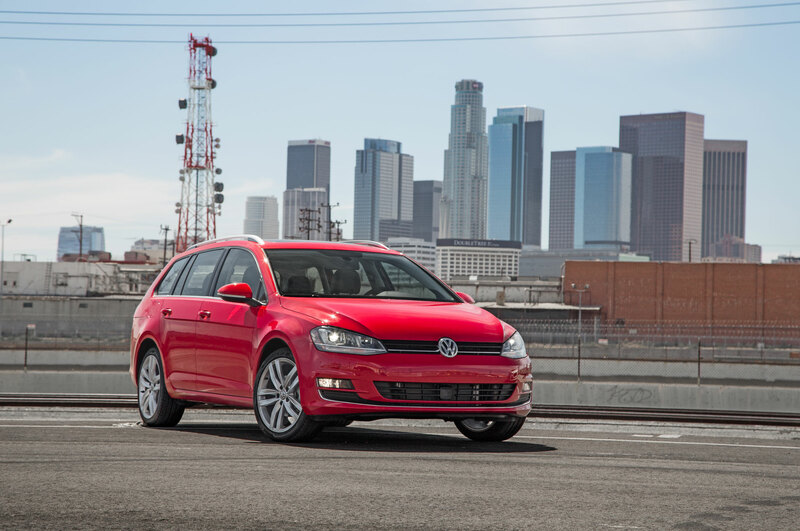 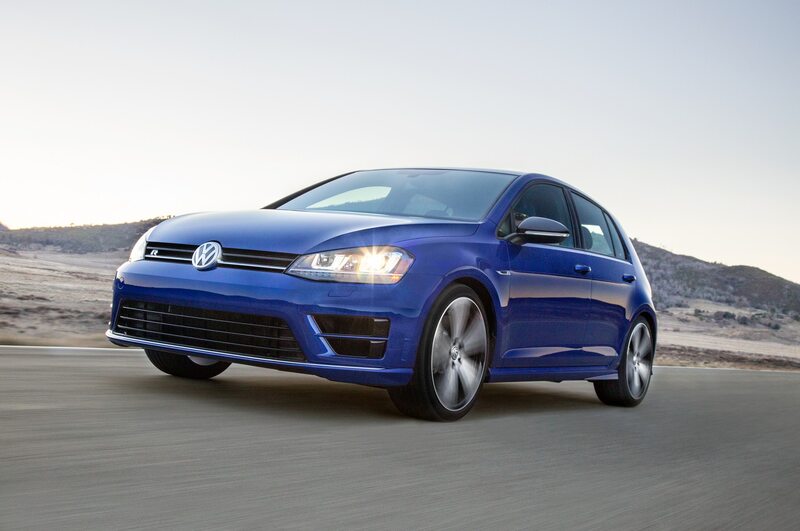 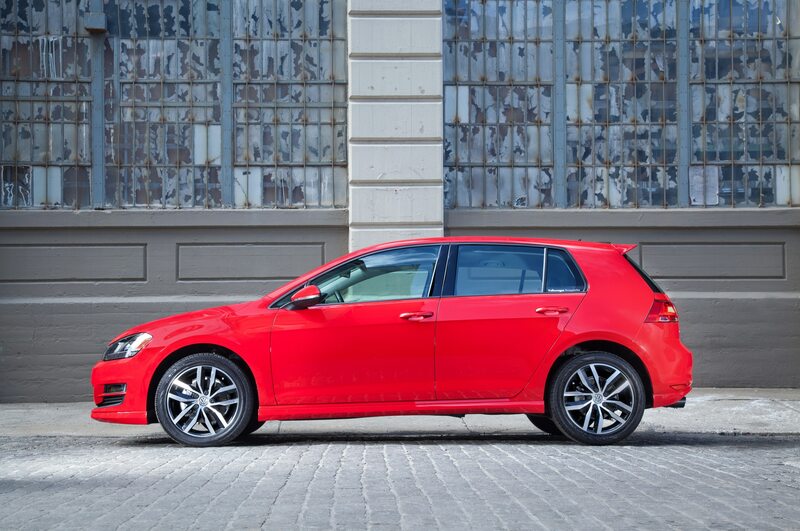 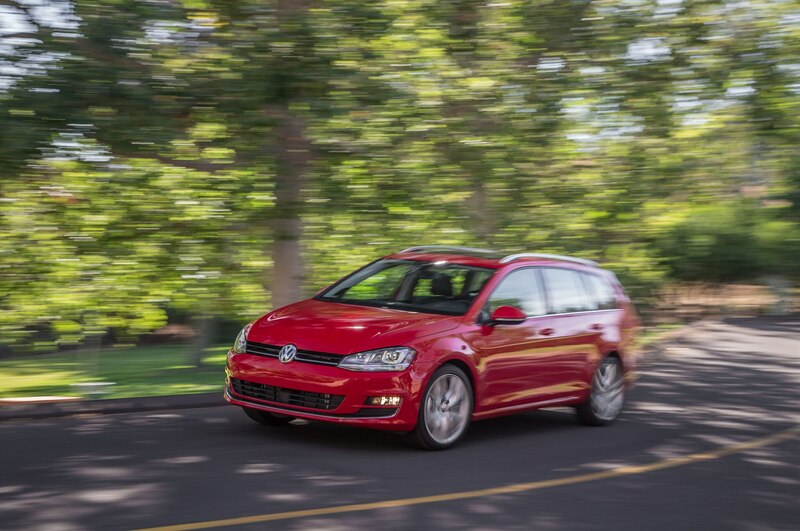 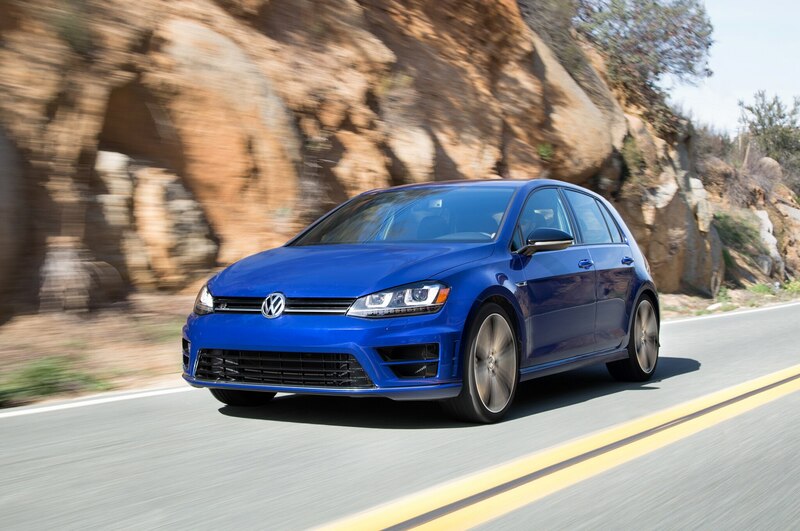 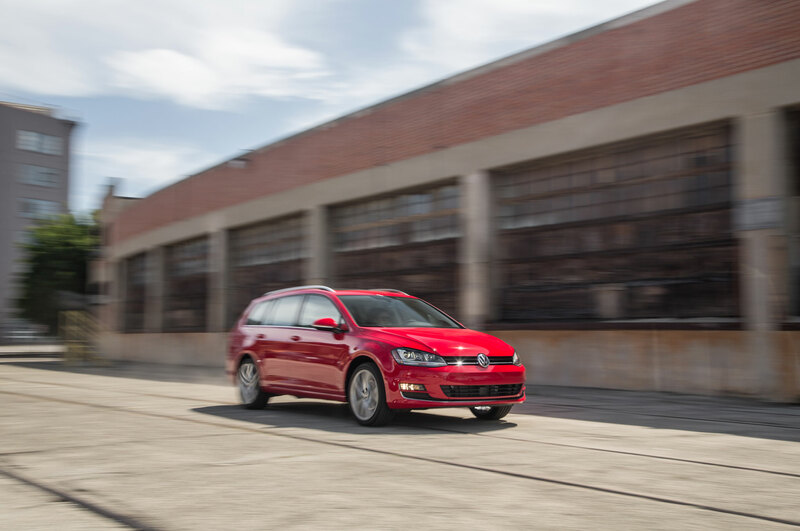 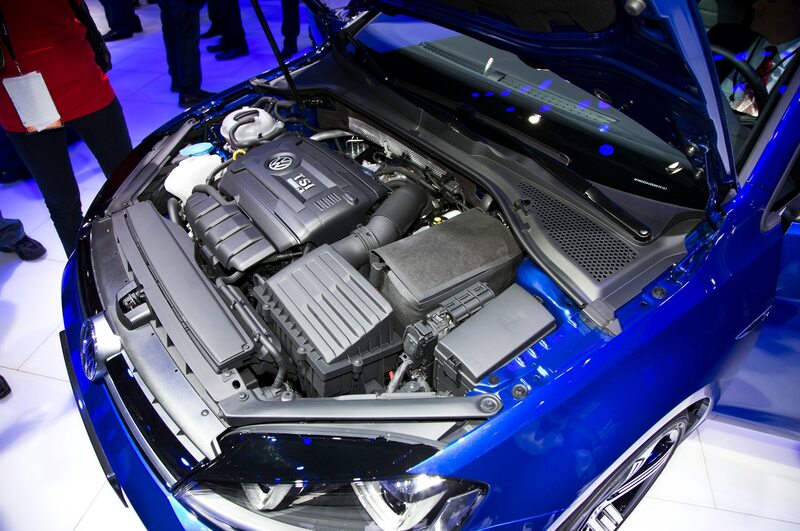 The 2015 Volkswagen Golf SportWagen is a handsome, unflashy, pleasant-to-drive car that offers a nice level of utility. 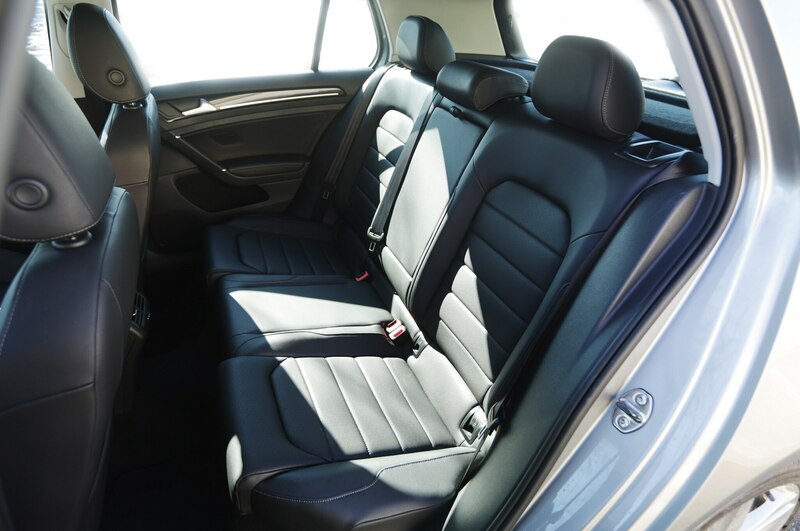 The cabin boasts a fair amount of room in both front and back, with a six-foot tall passenger able to sit reasonably comfortably behind a similarly sized driver. 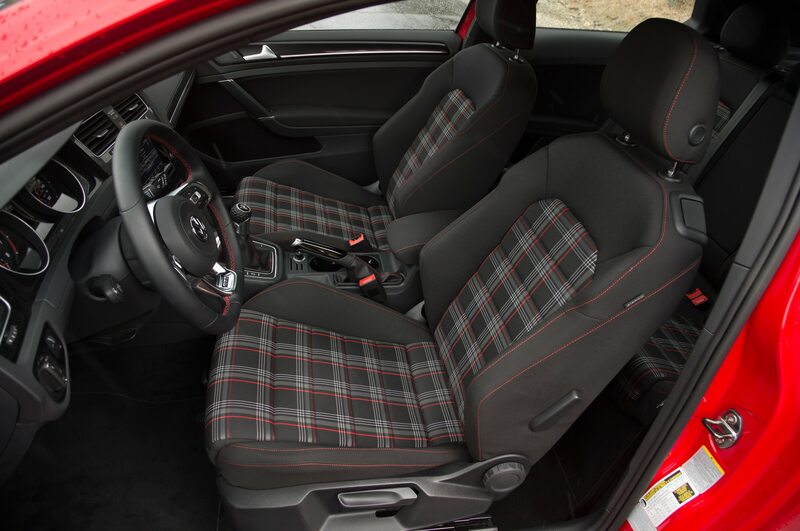 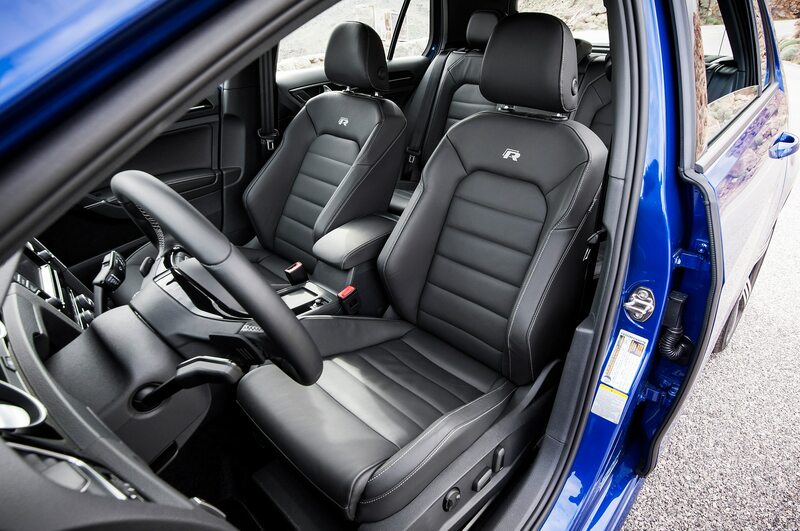 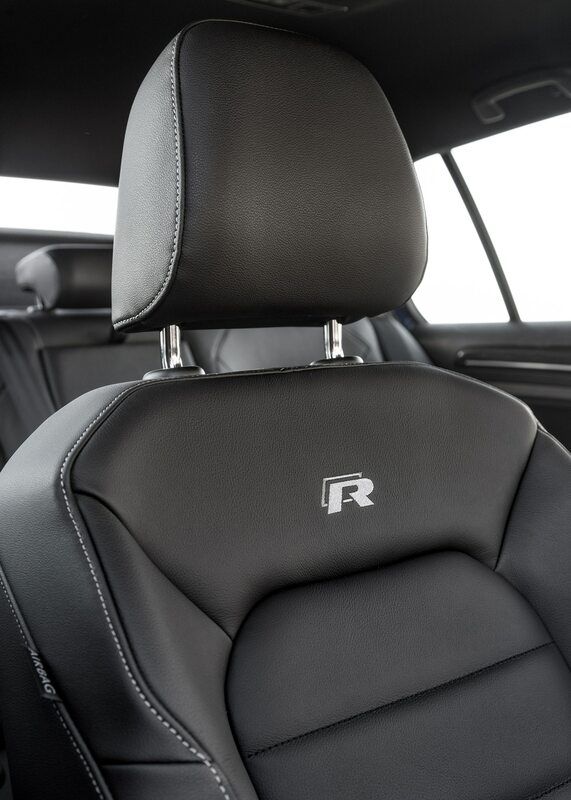 Perforated, surprisingly well-bolstered seats are comfortable and supportive, offering a range of riding and driving positions to accommodate passengers of various sizes. 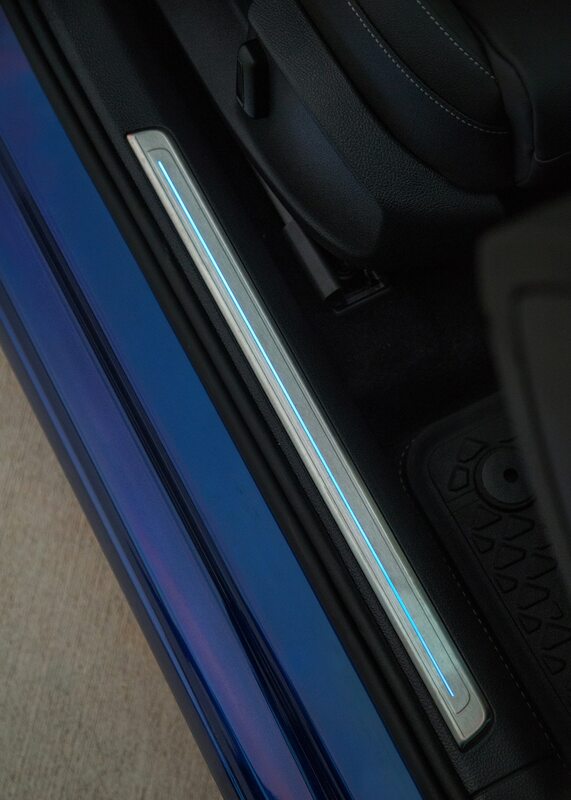 Handy levers located in the cargo area provide quick rear-seat folding, and I appreciated the design’s simplicity and effectiveness. 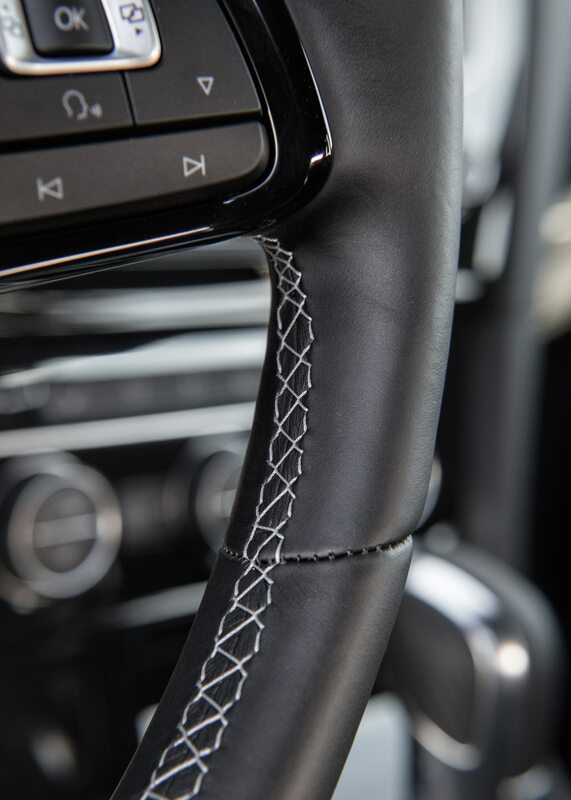 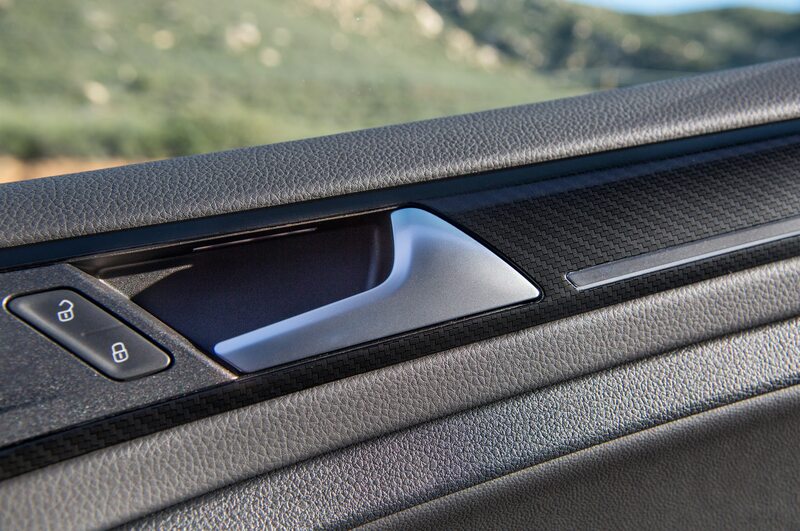 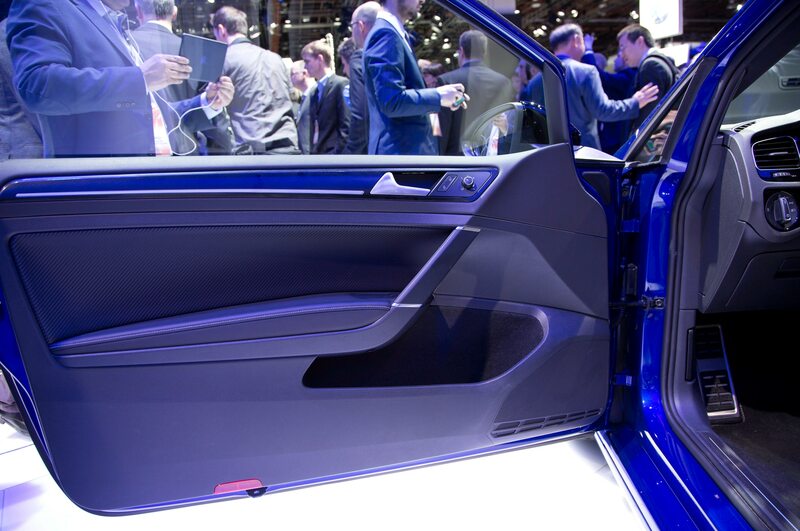 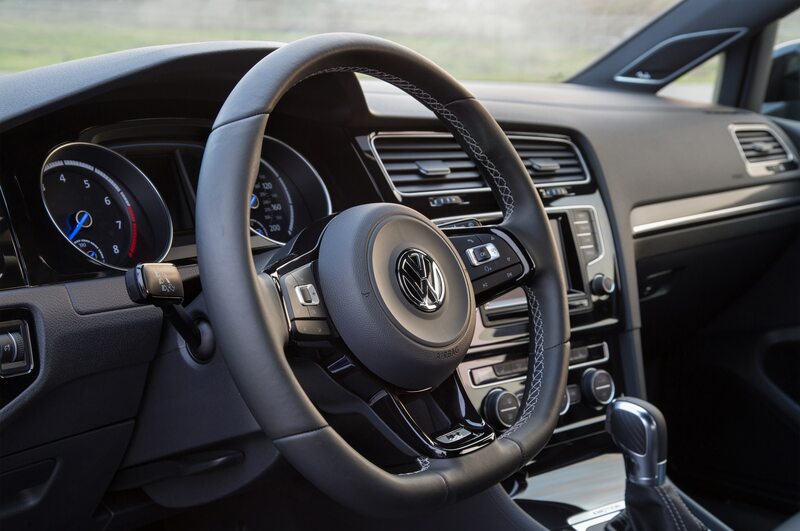 The interior features a somewhat mixed bag of soft-touch finishes and hard plastic; faux carbon fiber and piano black trim add to a clean overall look. 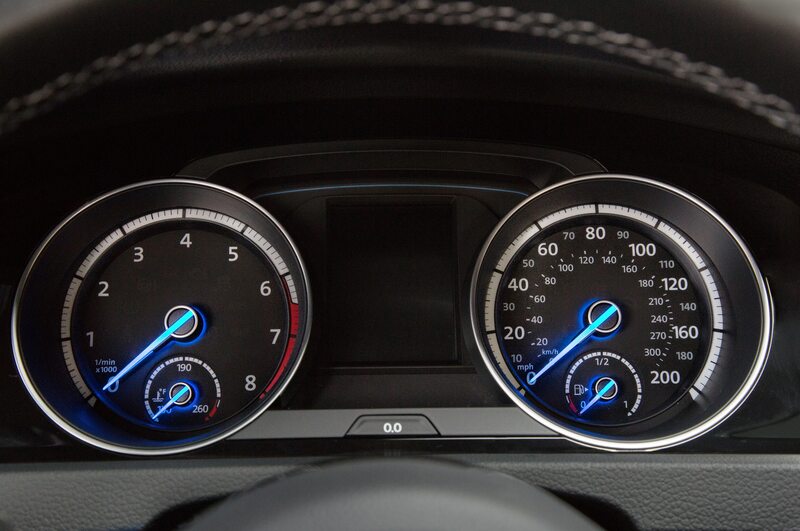 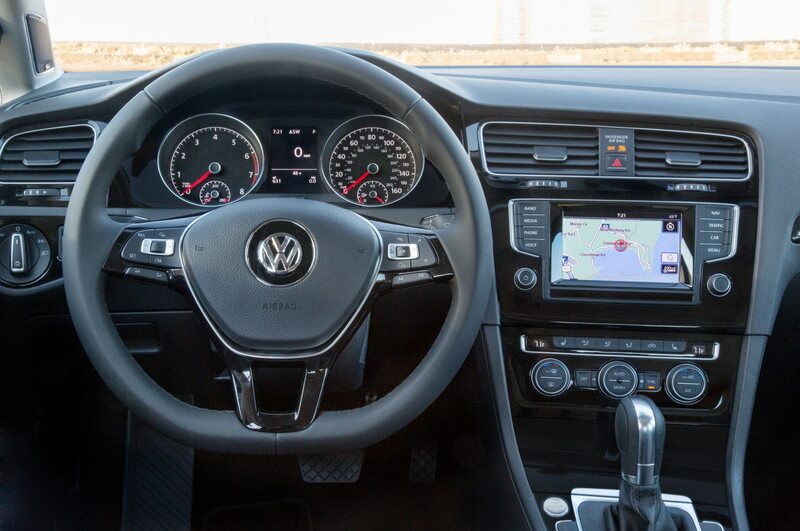 The flat-bottomed steering wheel is a nice touch, though I’d like it even more if it was slightly thicker. 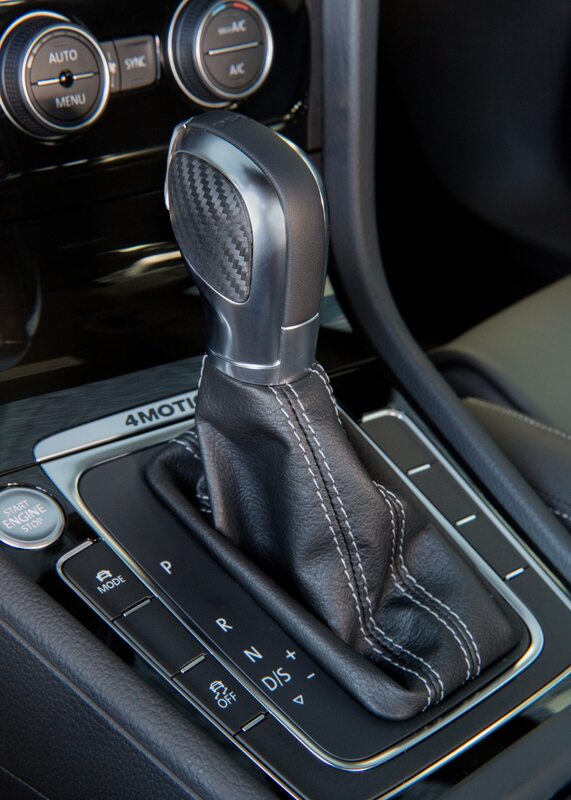 Likewise, the thin vinyl boots for the handbrake and gear level look and feel cheap. 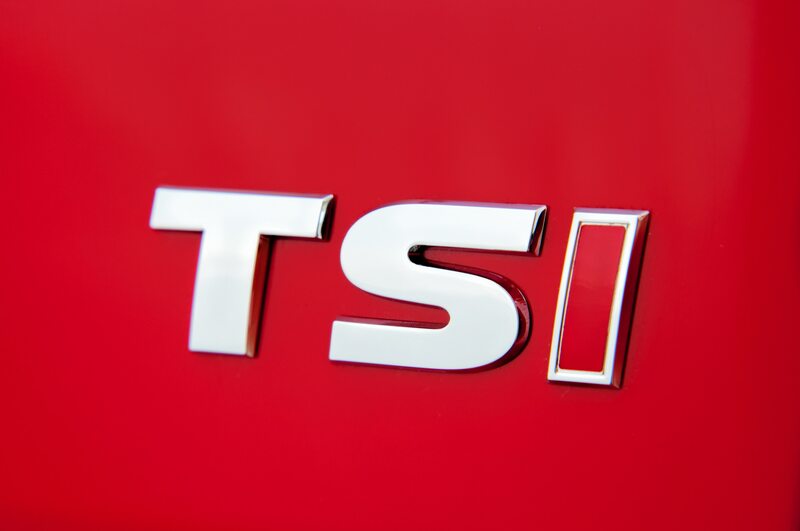 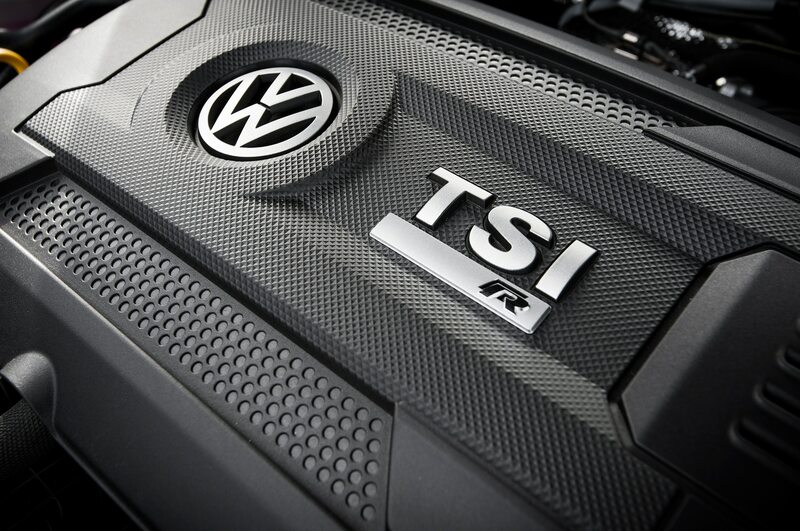 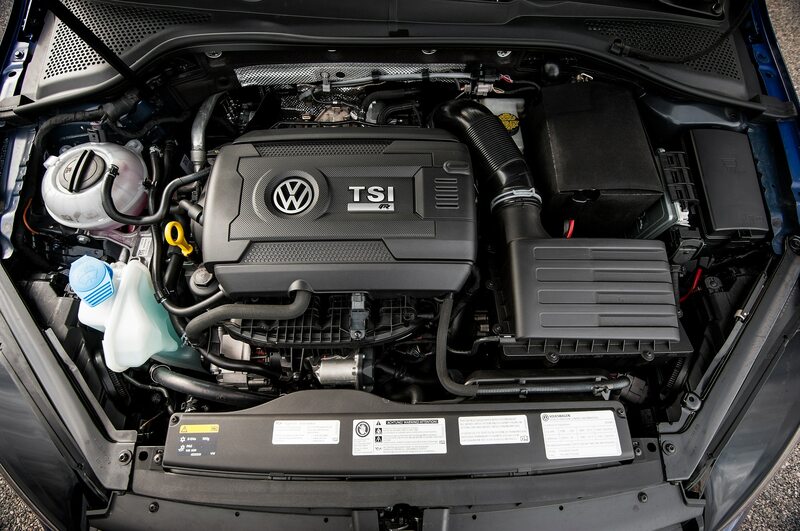 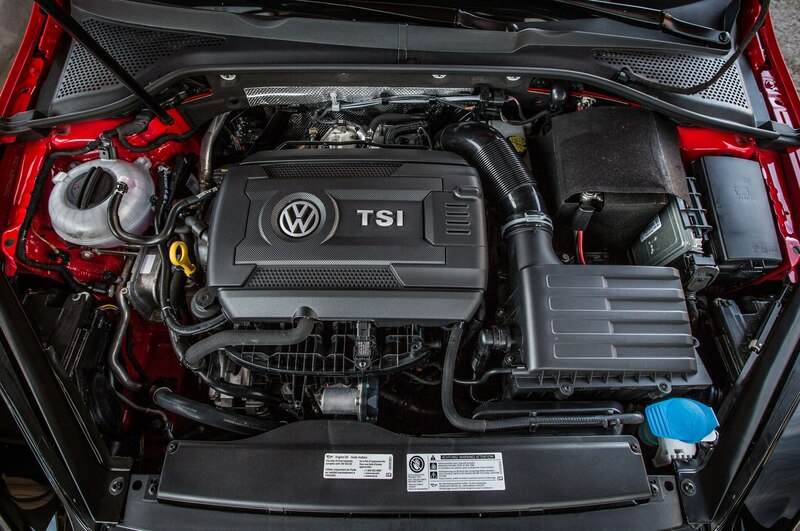 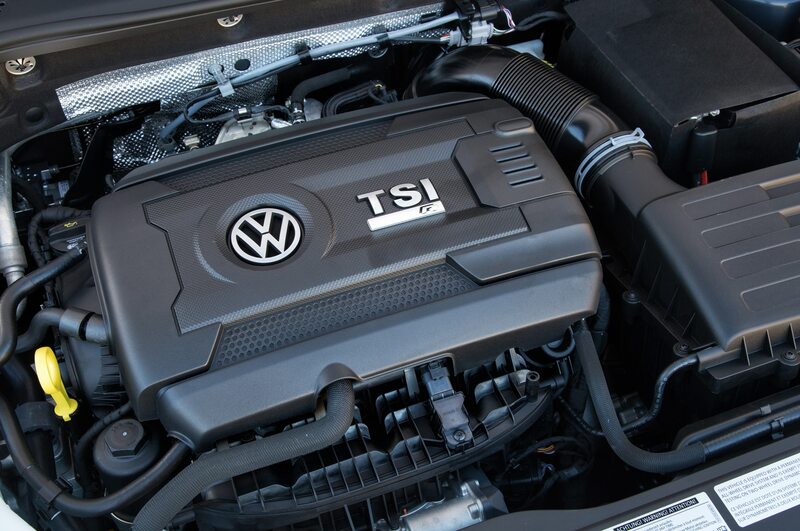 We sampled both the TSI and TDI; both versions are quiet and perform well, but for the scant $1,000 premium the diesel-engine SportWagen carries, I’d stump for the oil-burner — especially if I planned to load the Golf with people and cargo. 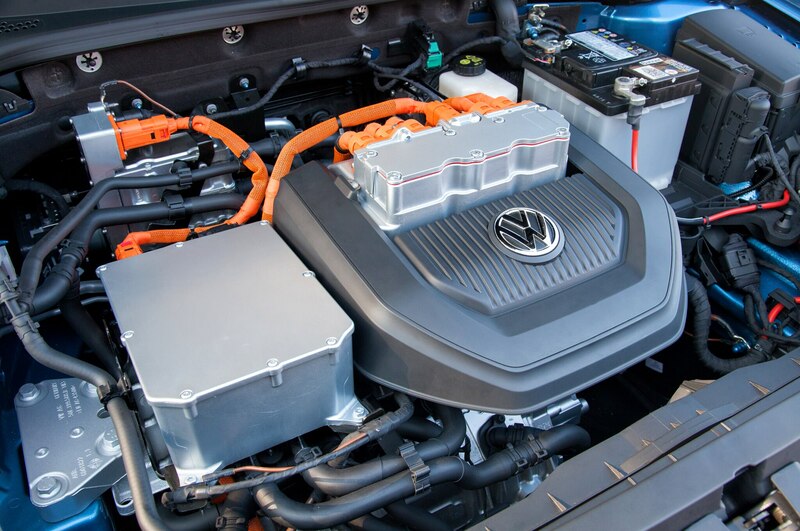 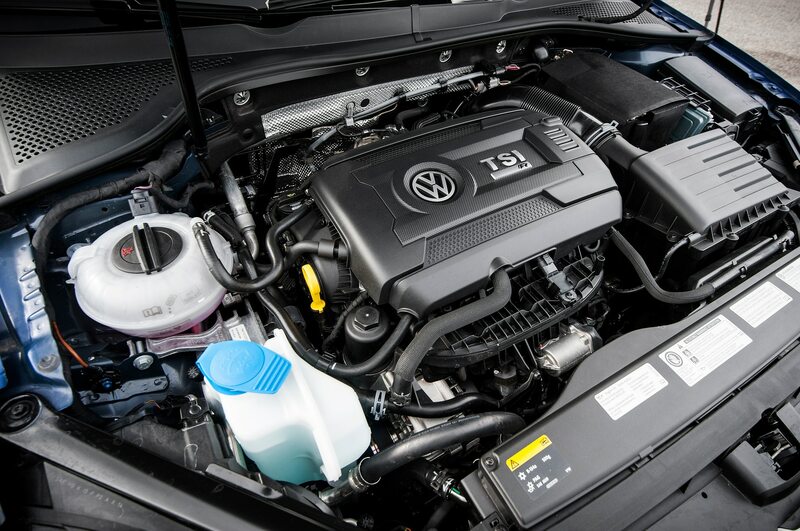 The standard 1.8-liter turbo gasoline engine delivers some useable mid-range pull, but the diesel’s better torque and better fuel economy make it a no-brainer. 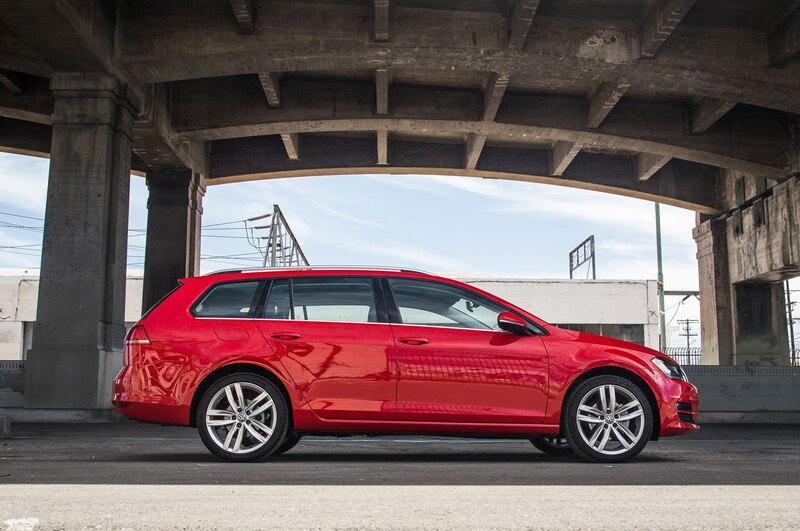 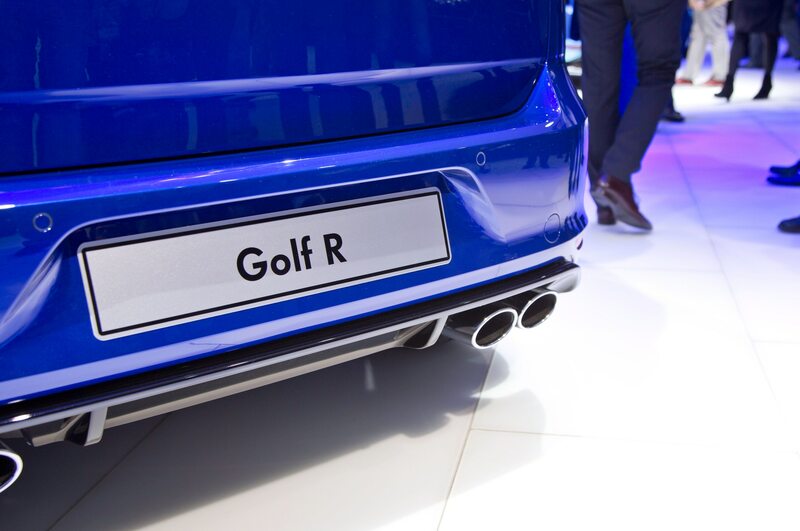 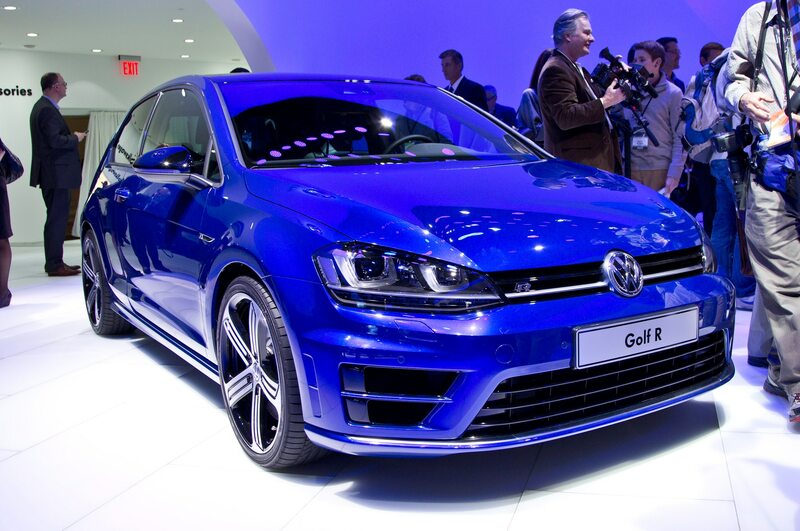 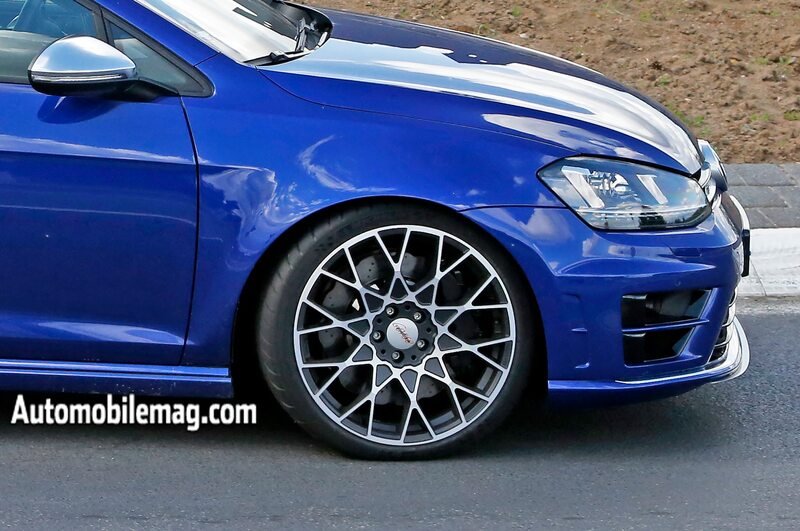 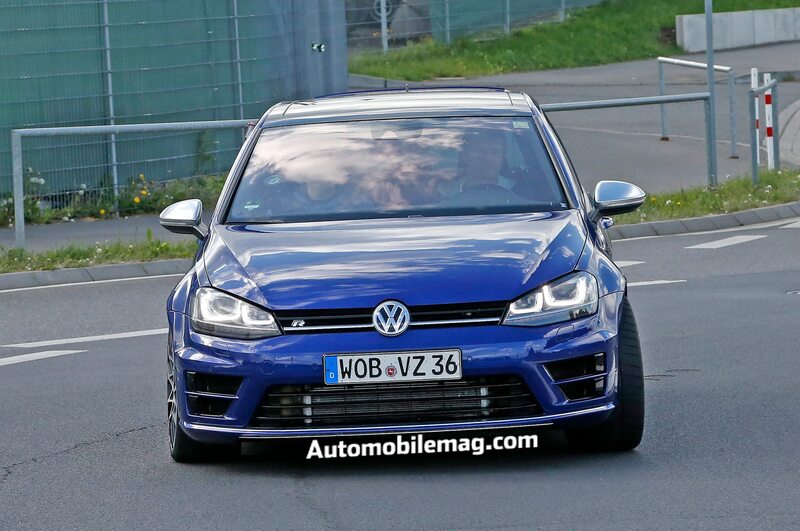 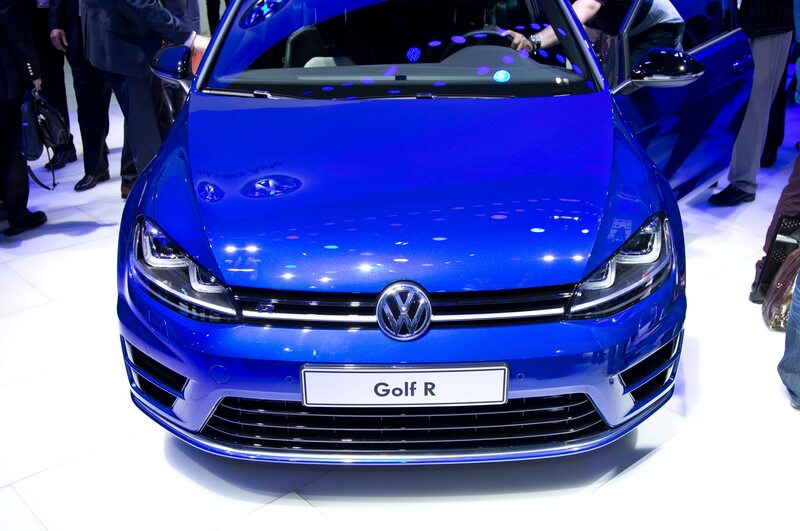 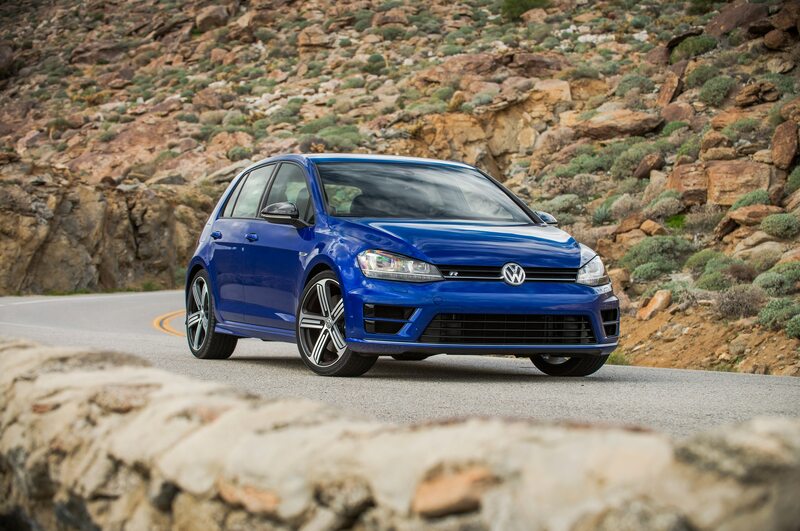 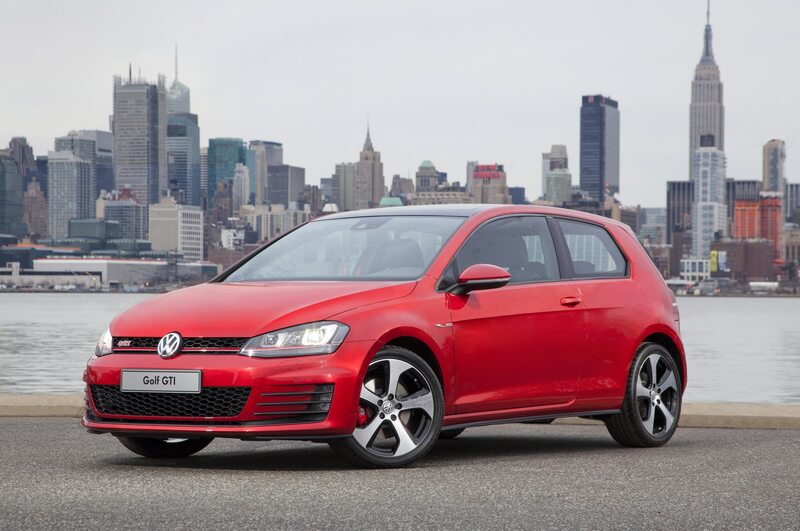 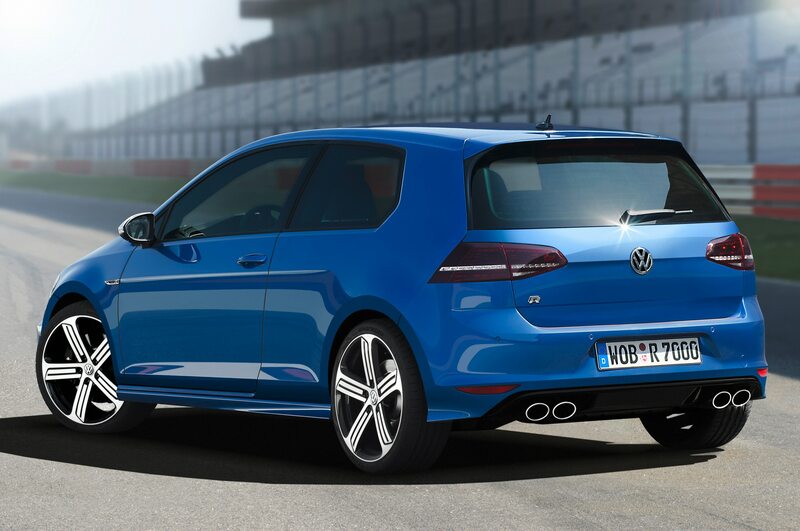 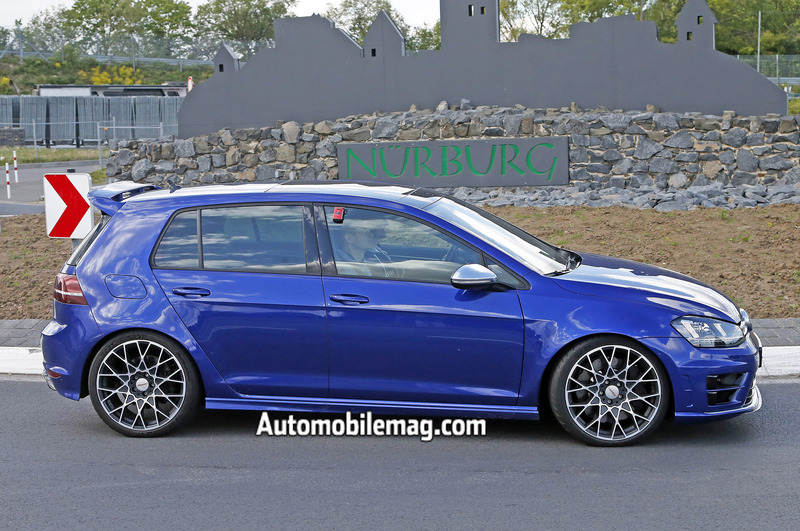 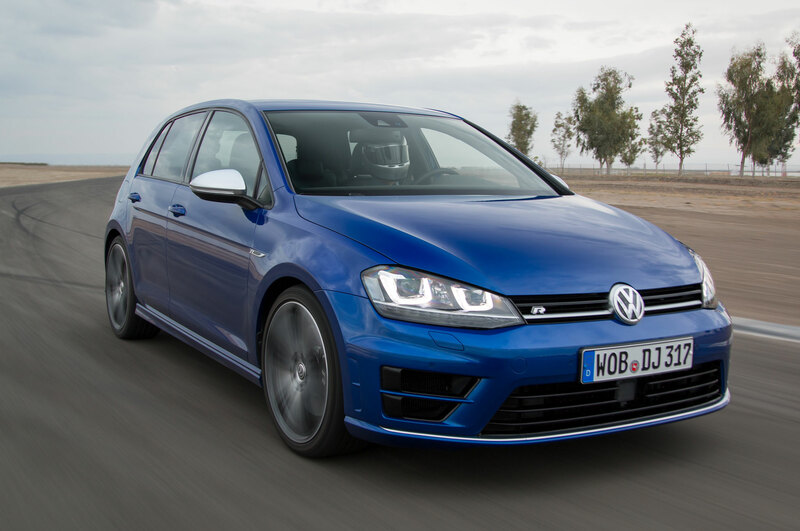 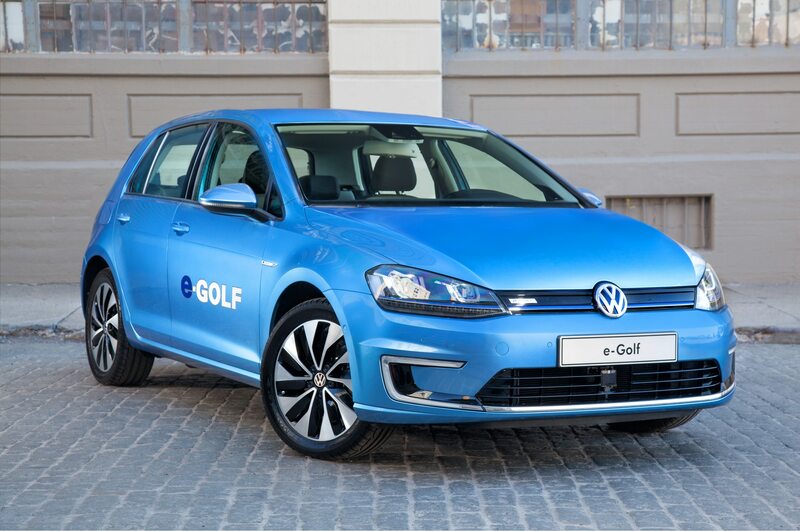 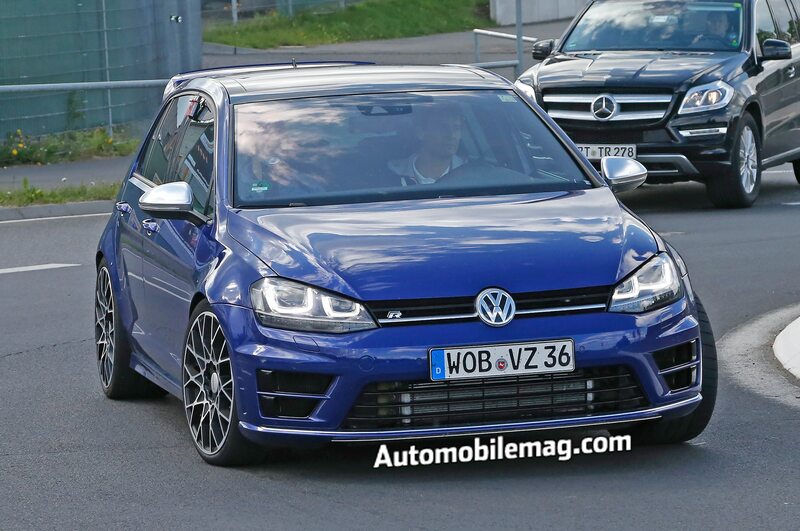 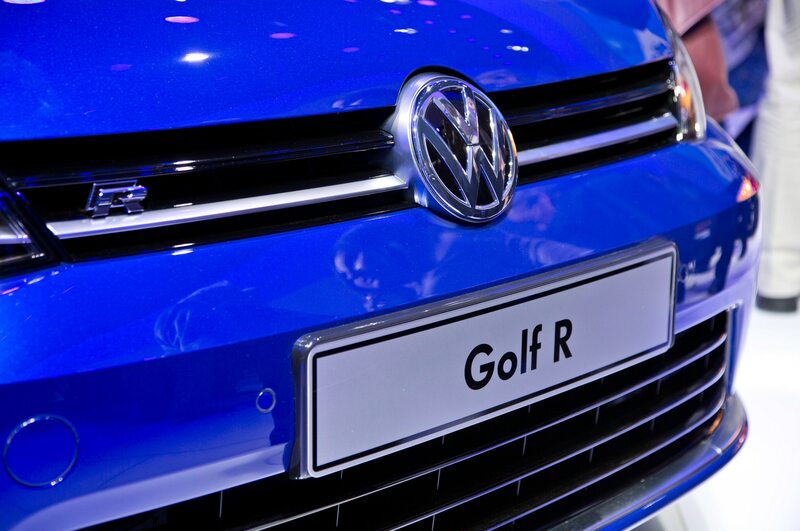 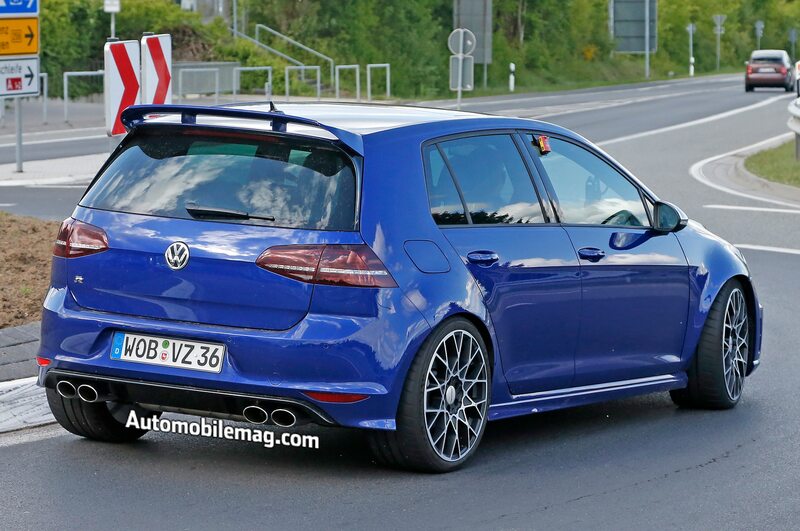 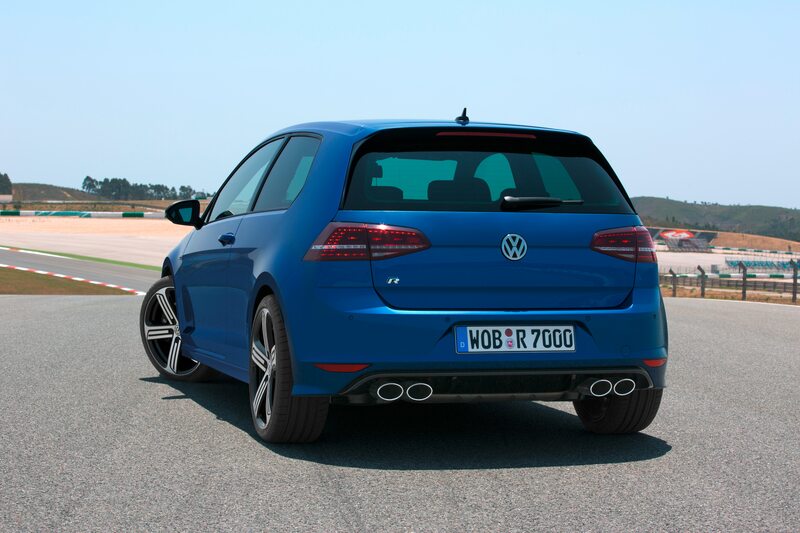 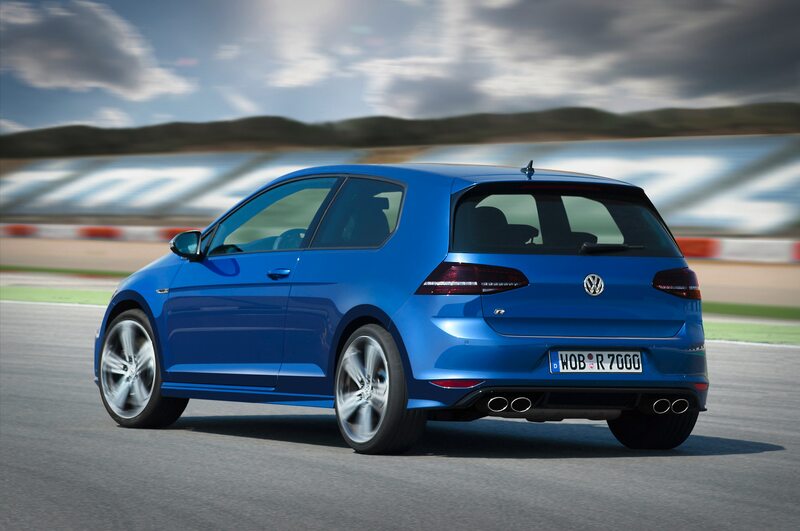 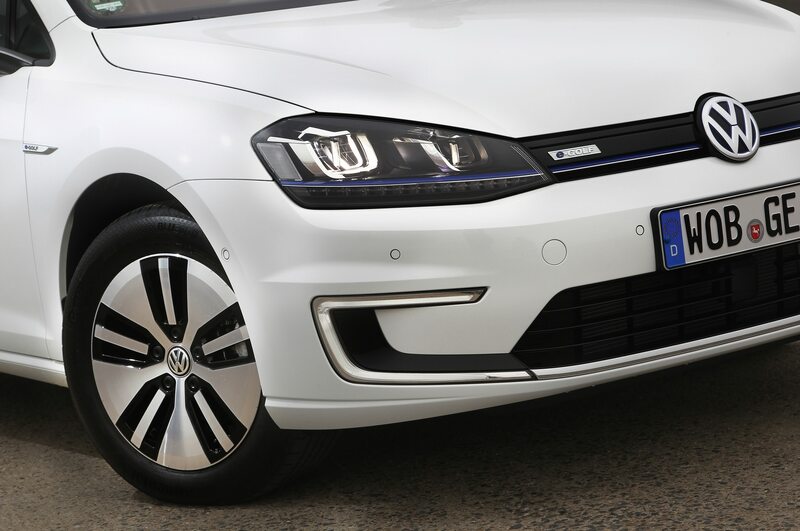 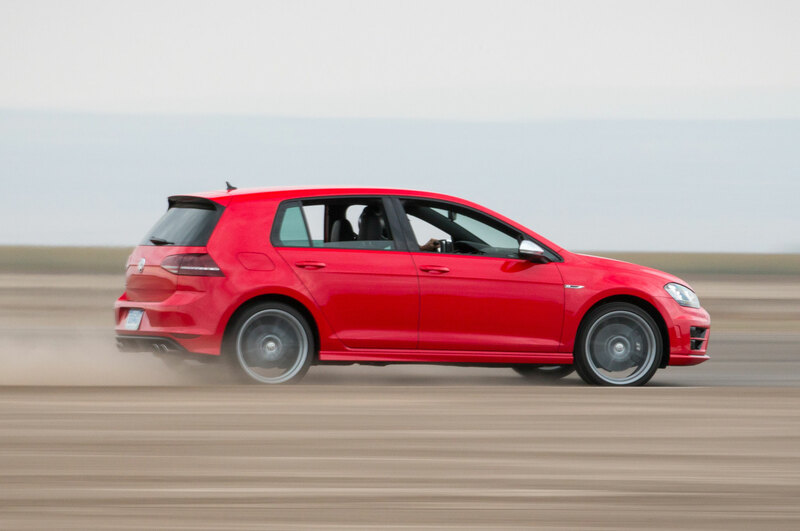 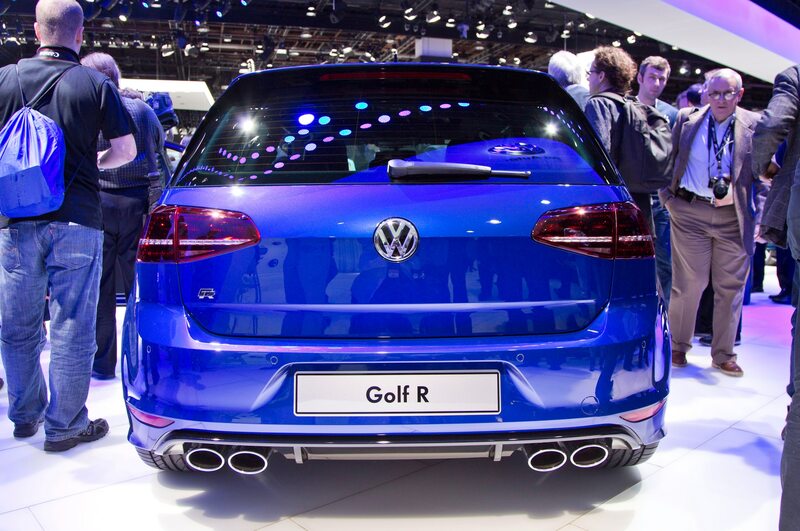 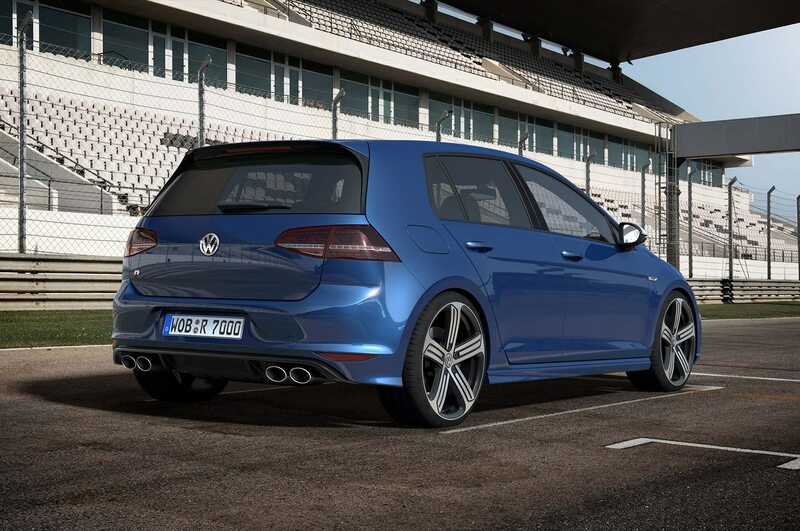 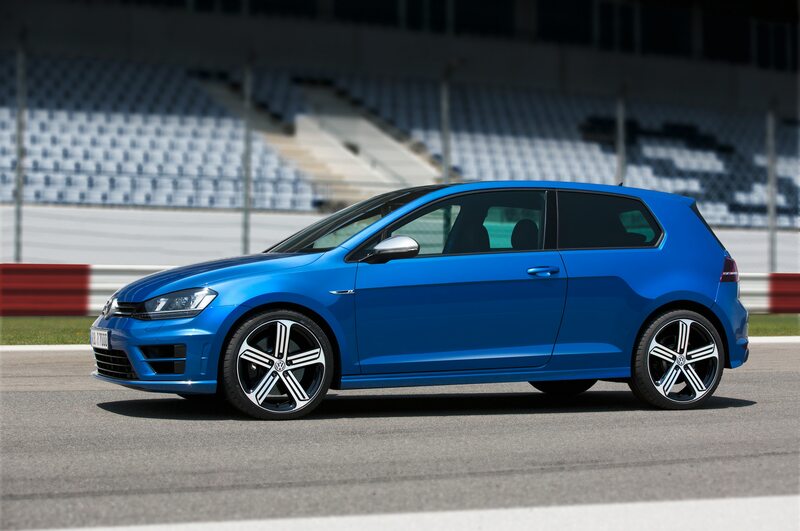 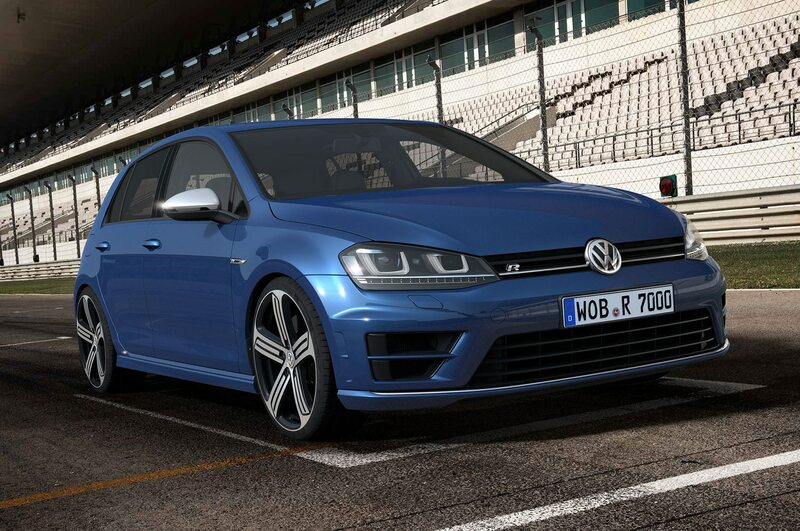 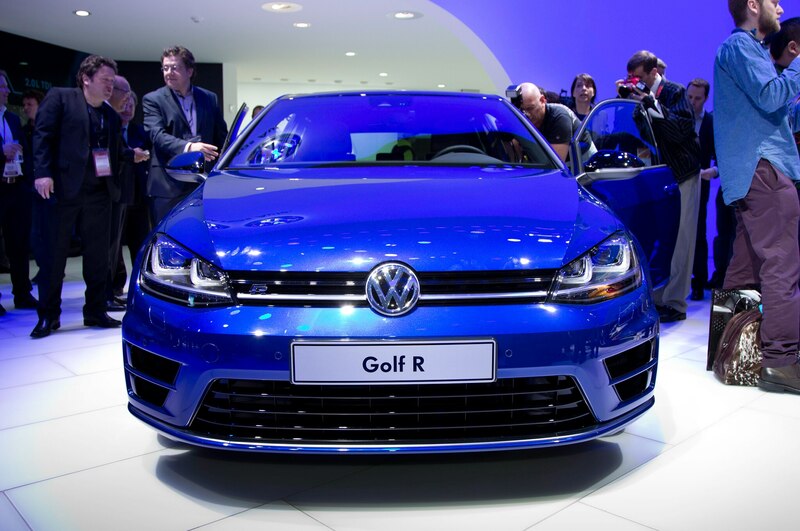 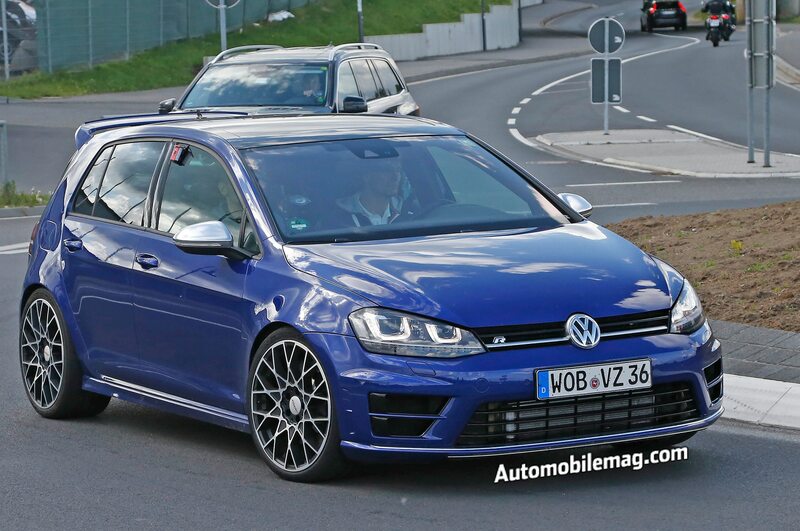 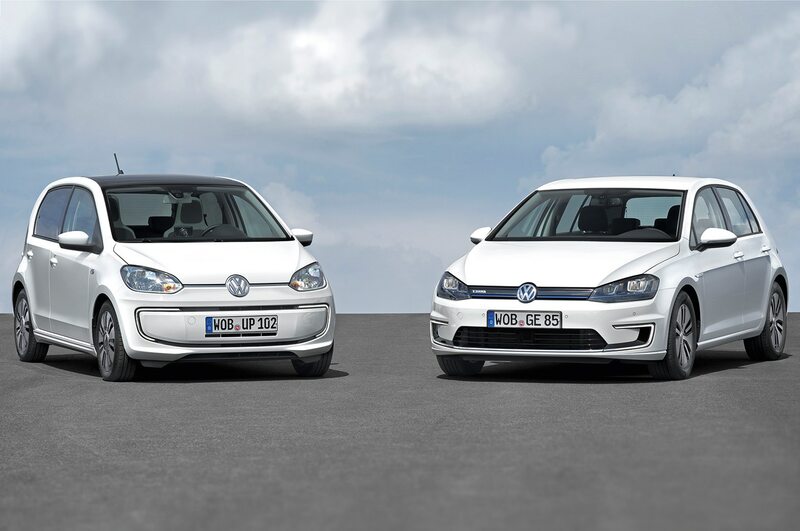 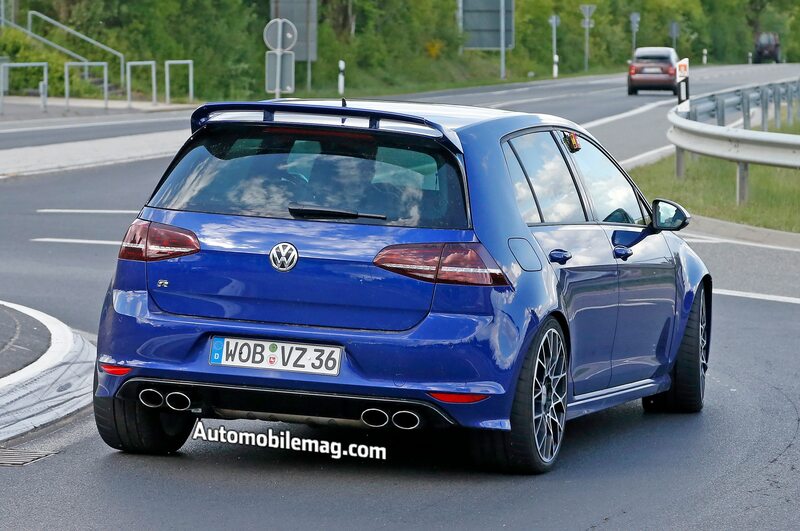 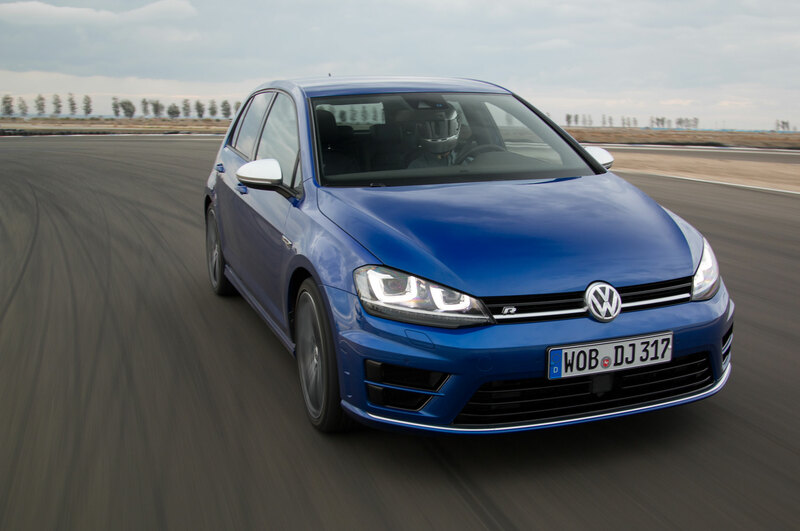 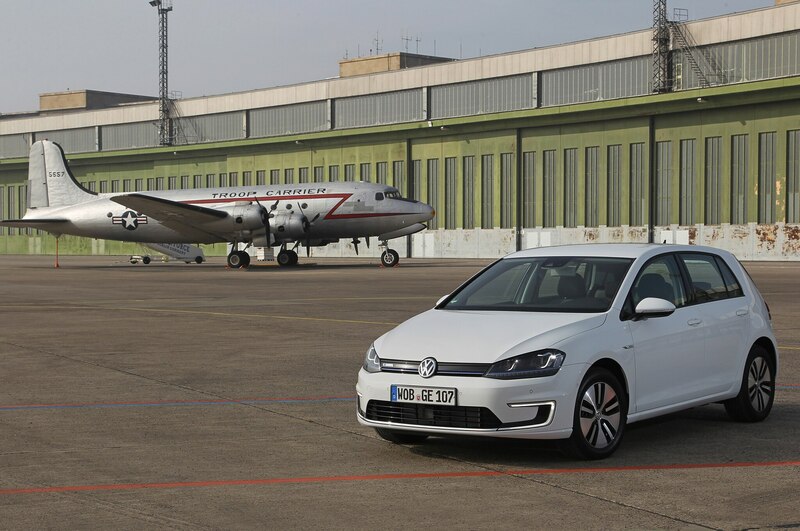 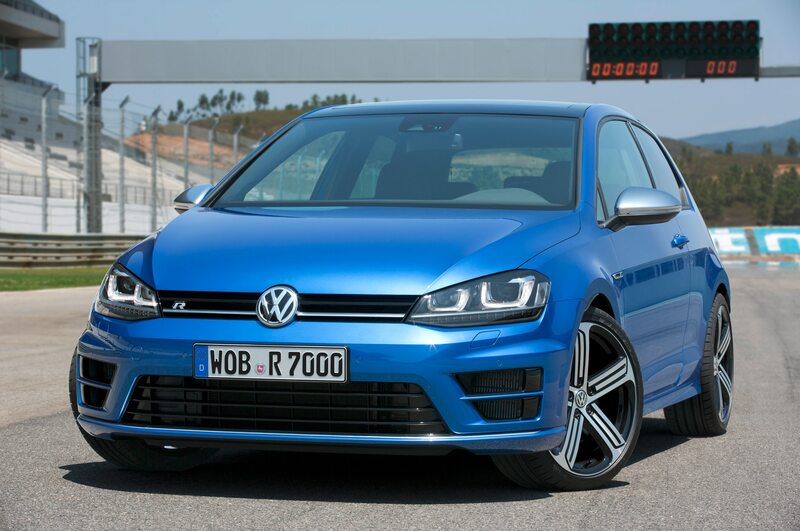 No, the Golf SportWagen is not a Golf GTI. 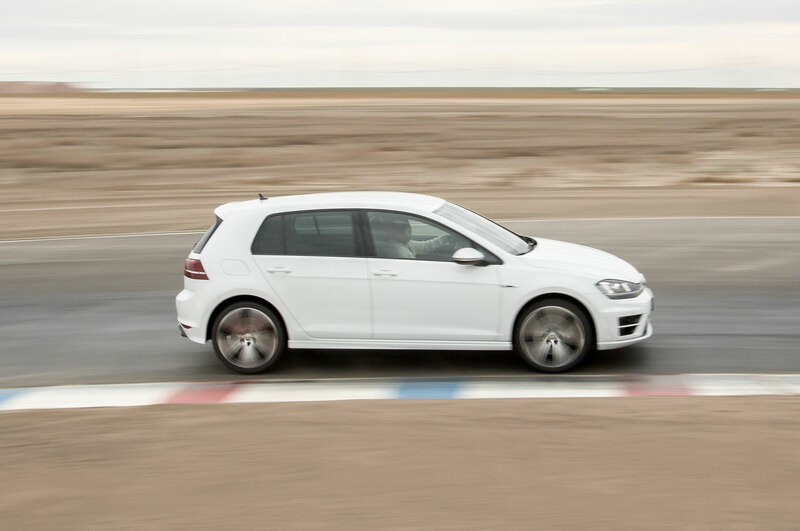 Its suspension setup is less aggressive, naturally, but it provides a good compromise between body control and ride comfort. 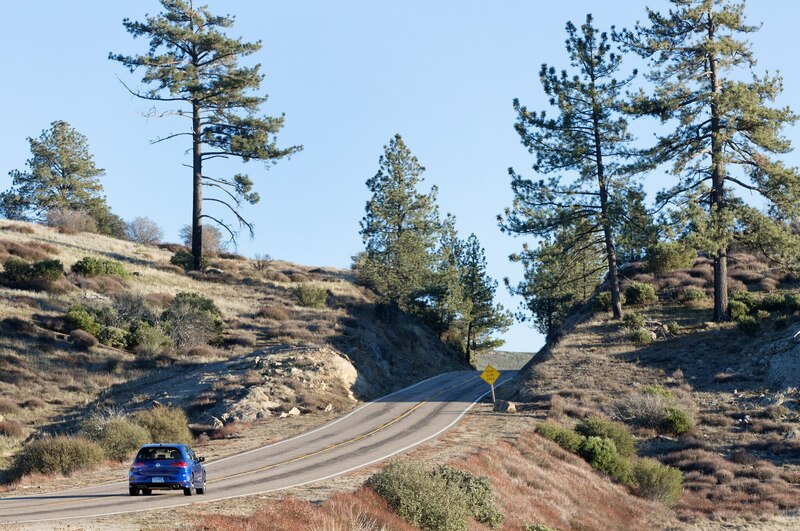 There is not a lot of harshness on good to mediocre roads, though there is a little bit of wallow in quick transitions such as abrupt lane changes and similar maneuvers, noticeable mostly over heaves and compressions. 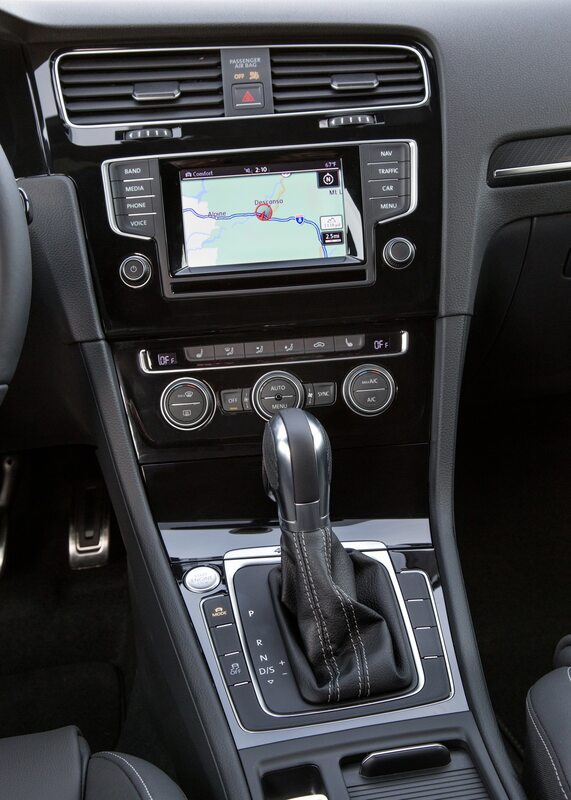 Ride quality overall is good, but on bumpy roads the damping feels a bit overwhelmed, transferring some of the bumpiness into the cabin. 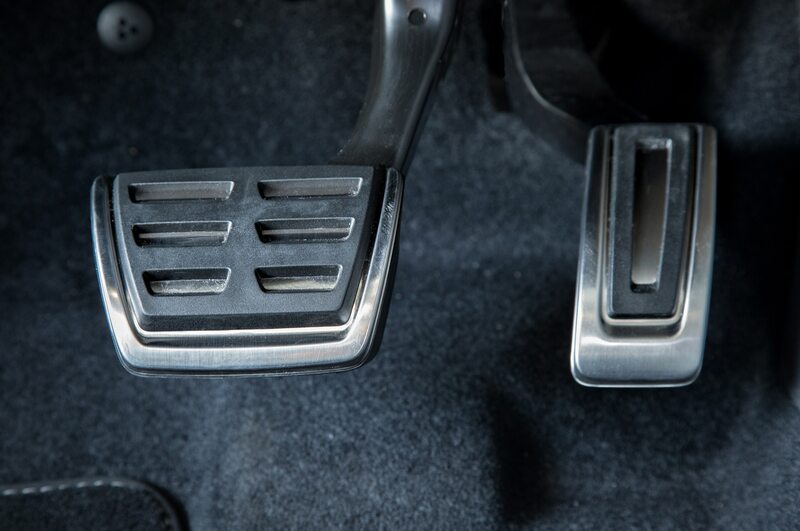 As for braking, I found it easy to be smooth even though you need to push the pedal a bit before the pads bite. 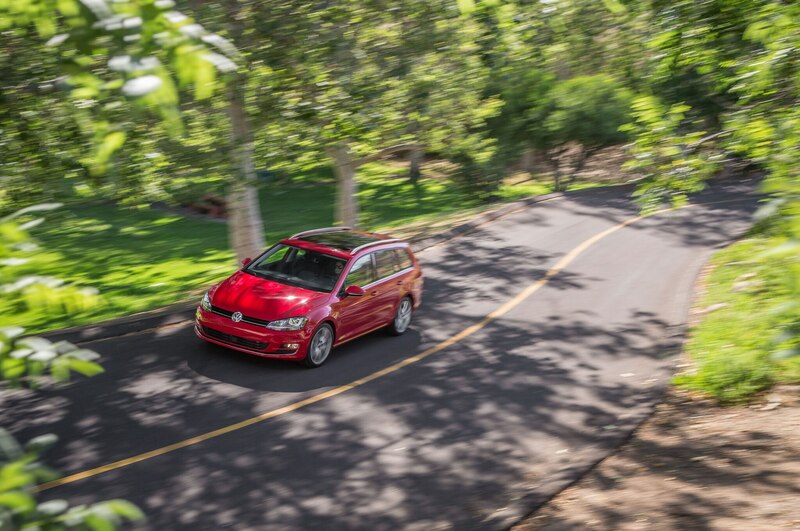 The 2015 Volkswagen Golf SportWagen is one of those “just right” cars that does a great job of blending practicality and utility with solid driving feel. 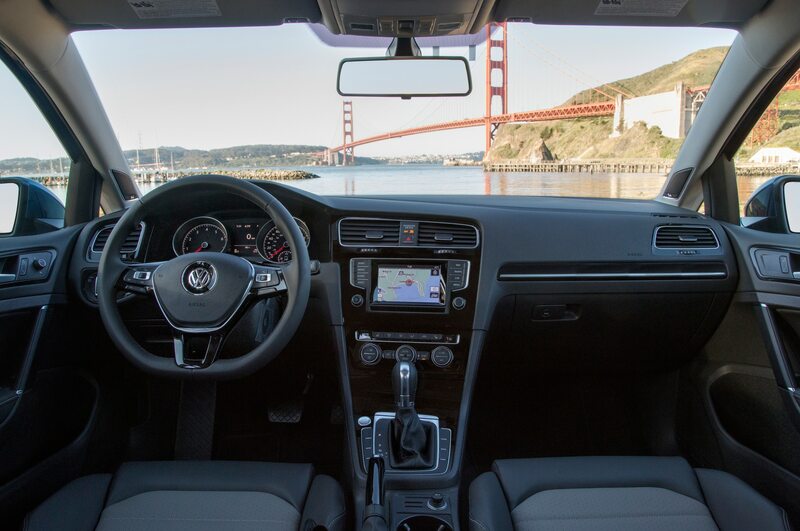 It’s so much better to drive than even the best small crossovers that there’s no question I’d rather have the Volkswagen. 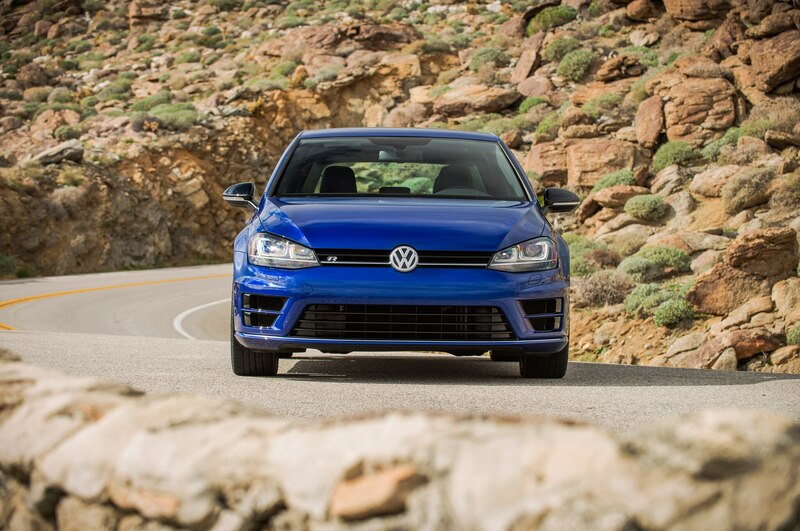 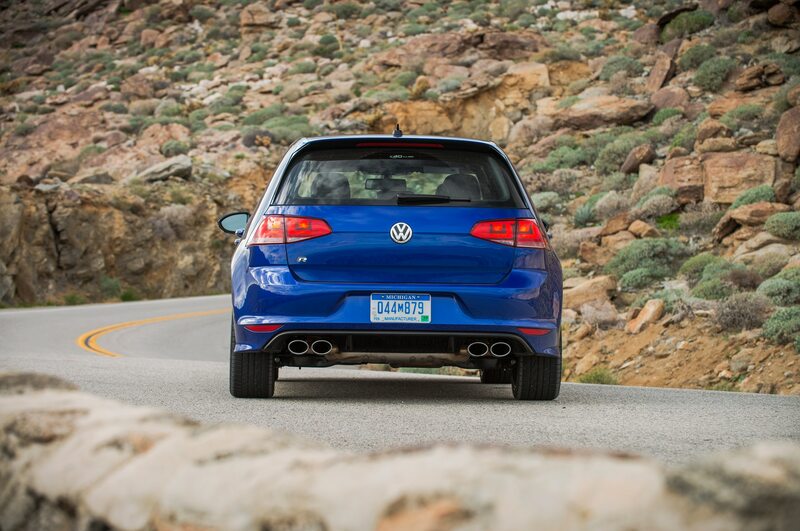 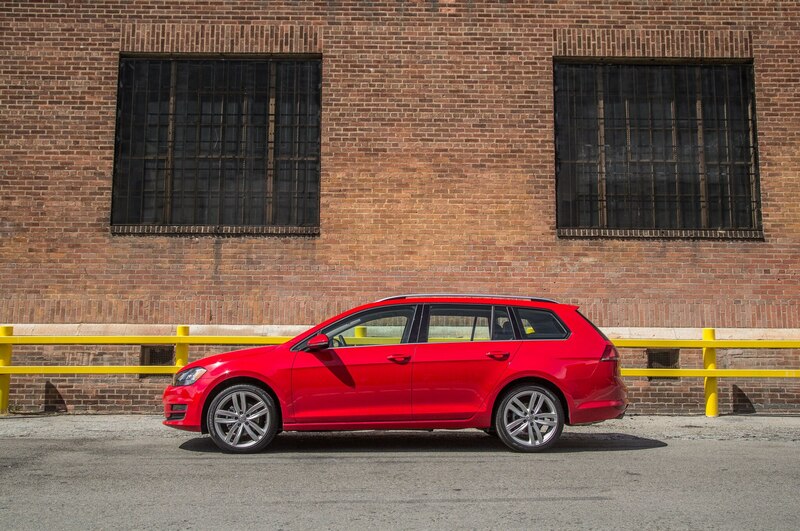 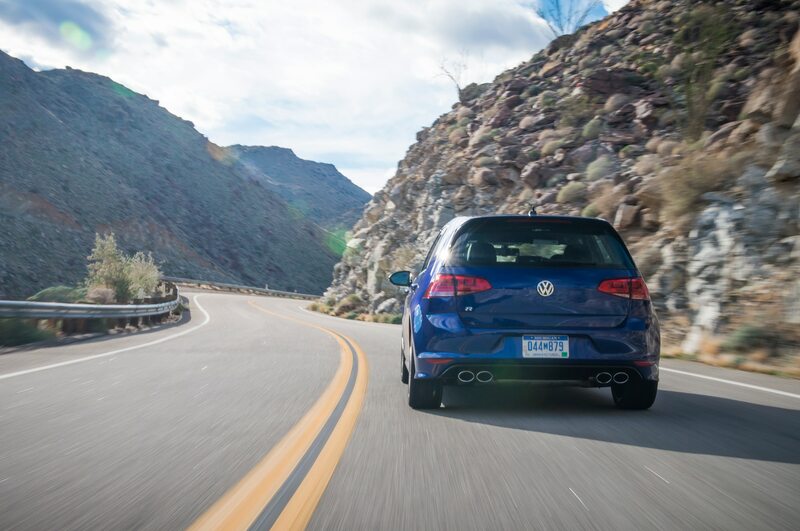 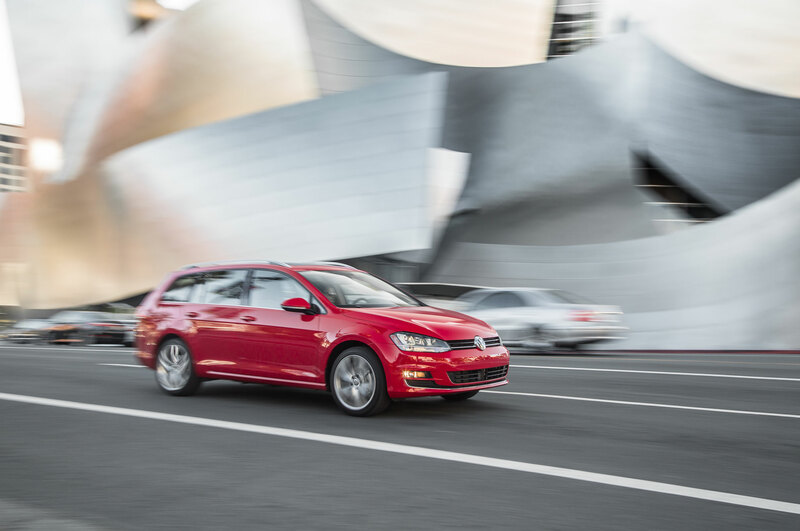 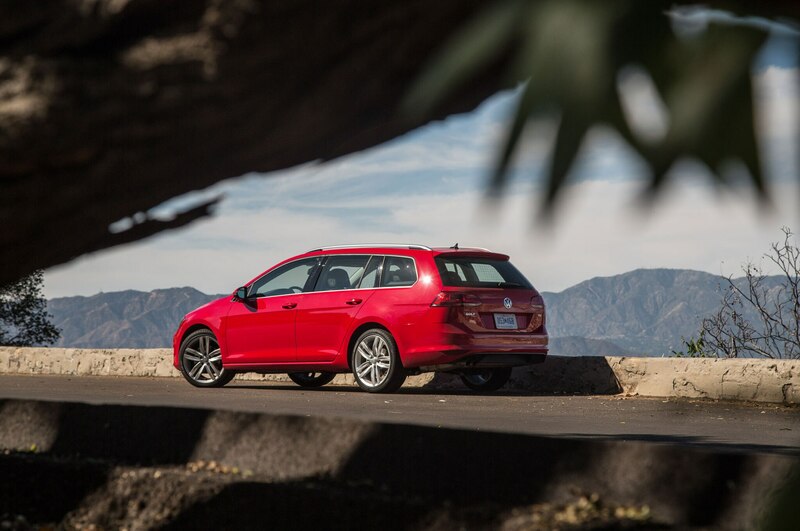 Just as with other versions of the seventh-generation Volkswagen Golf, the SportWagen makes every trip fun and easy. 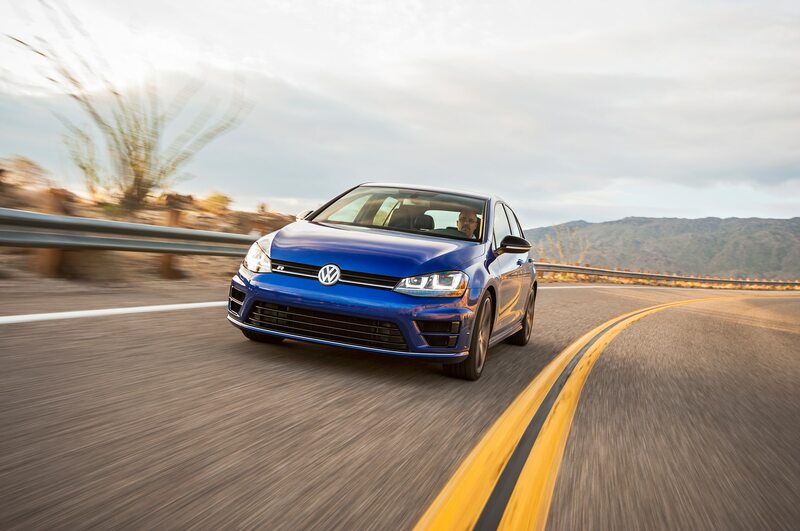 You enjoy ample visibility out of the large windows, a maneuverable chassis that belies the car’s length, great soundproofing that keeps the rumble of passing cars muted, and a really comfortable ride. 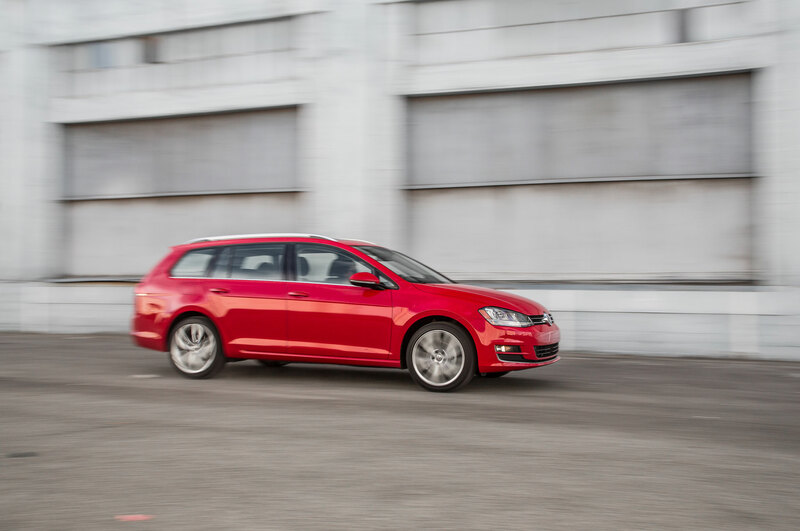 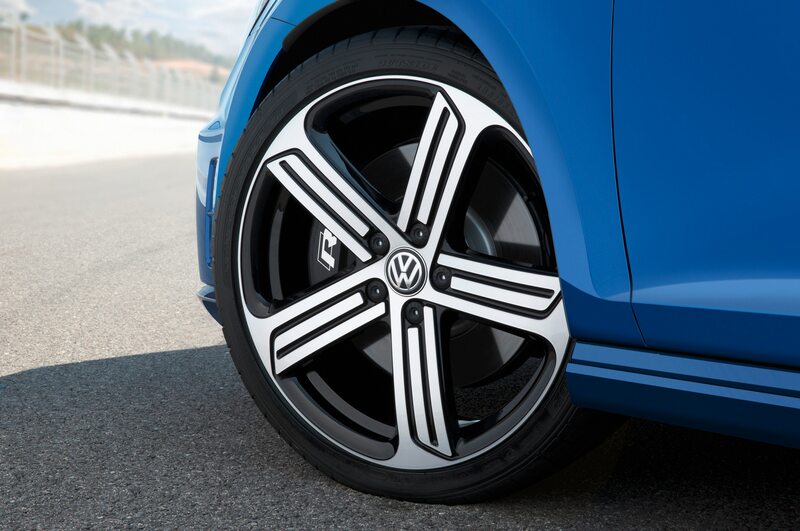 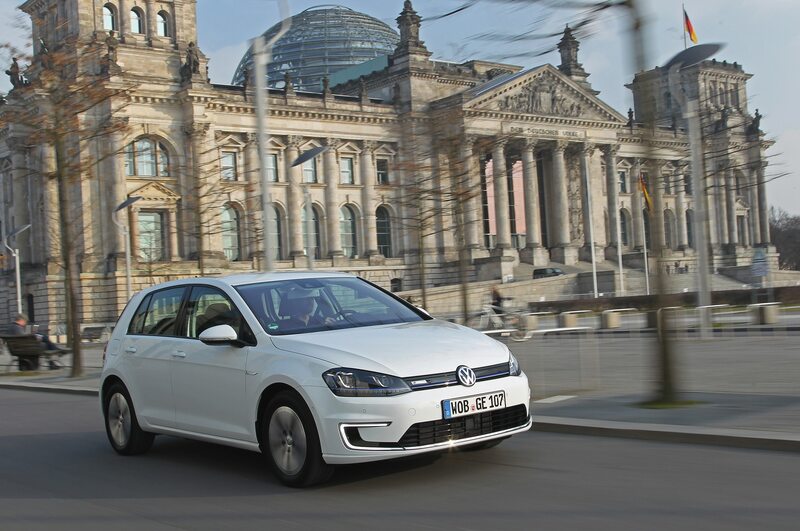 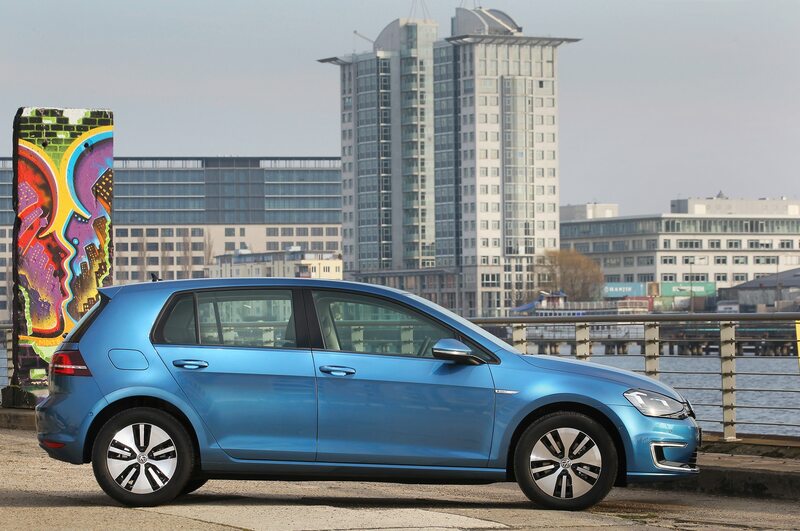 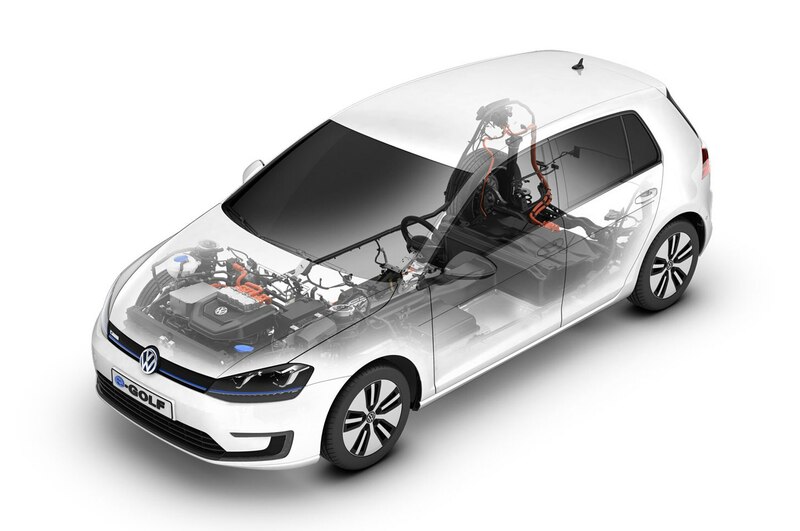 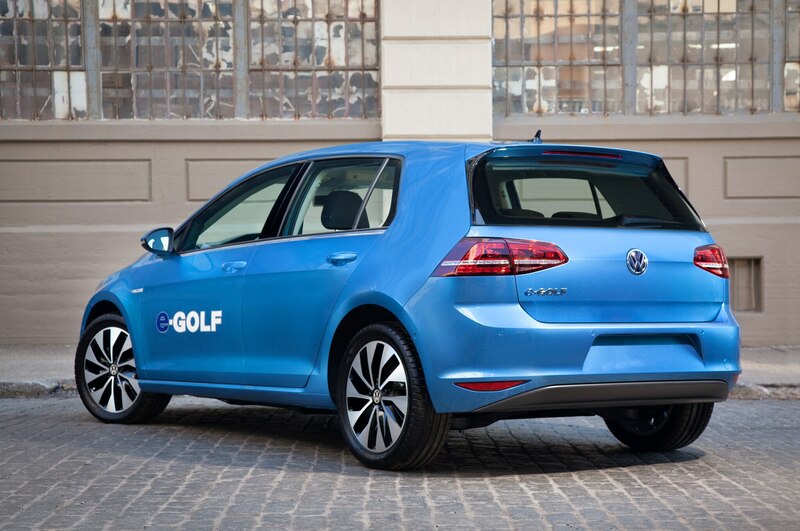 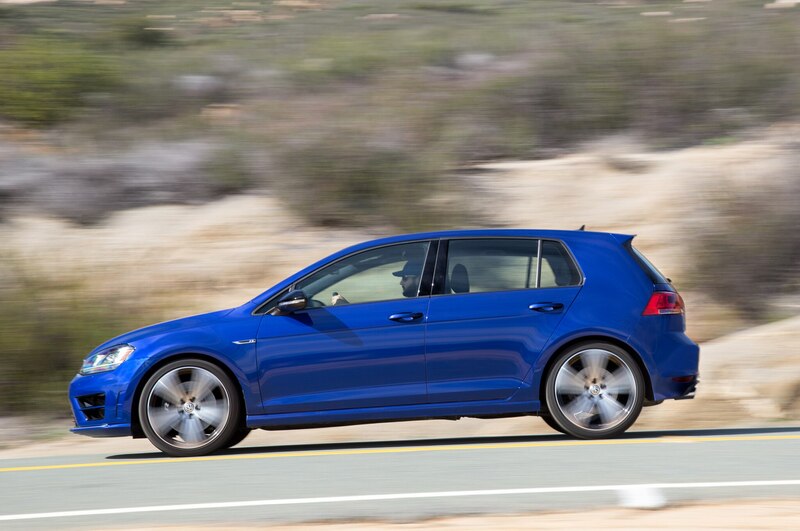 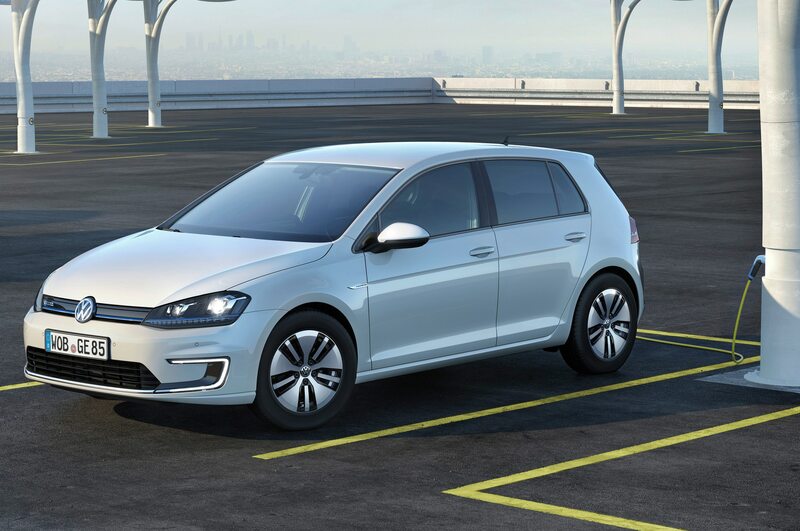 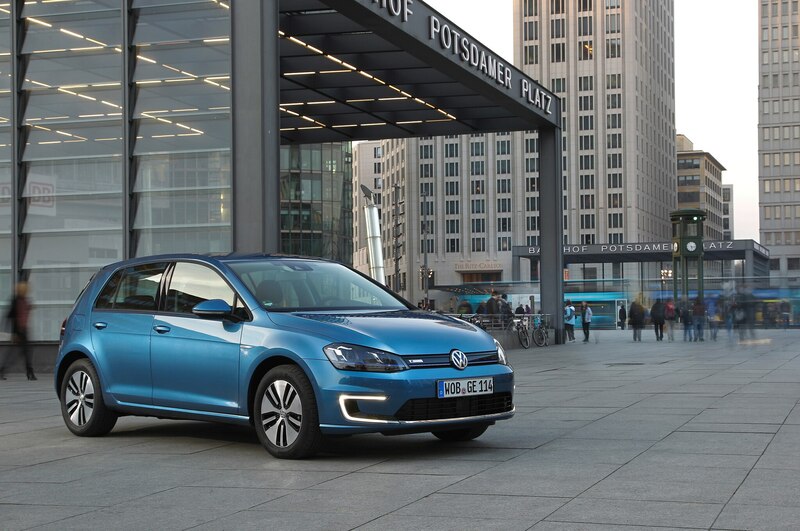 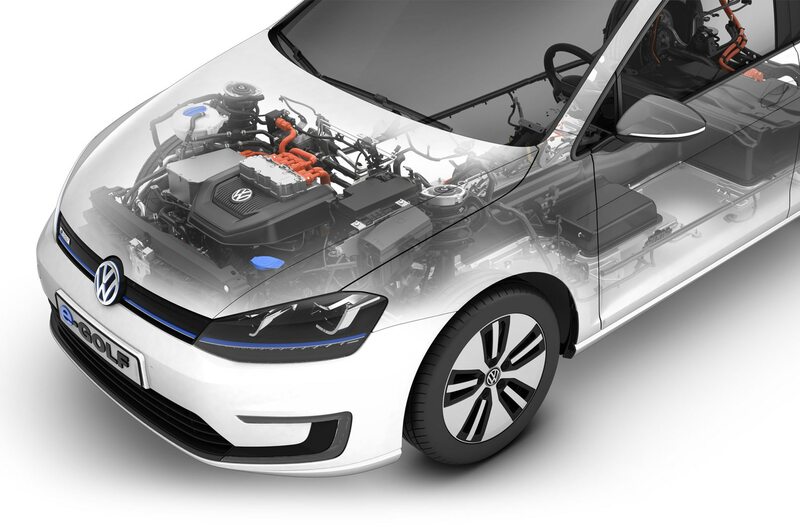 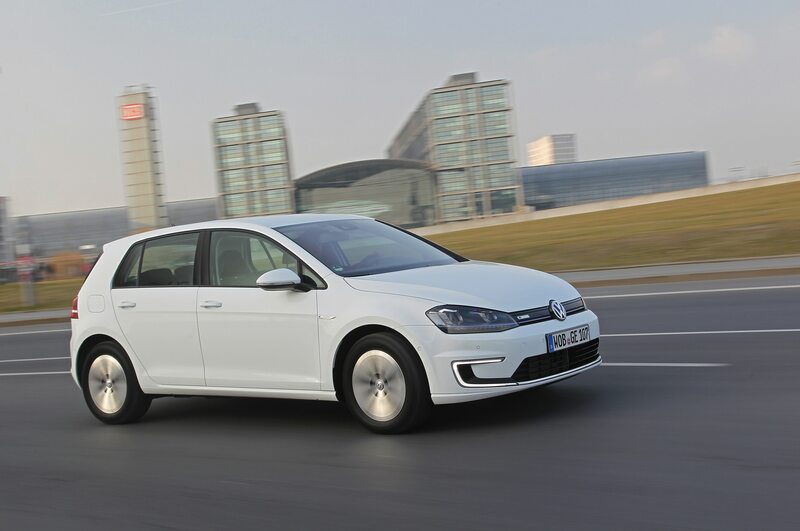 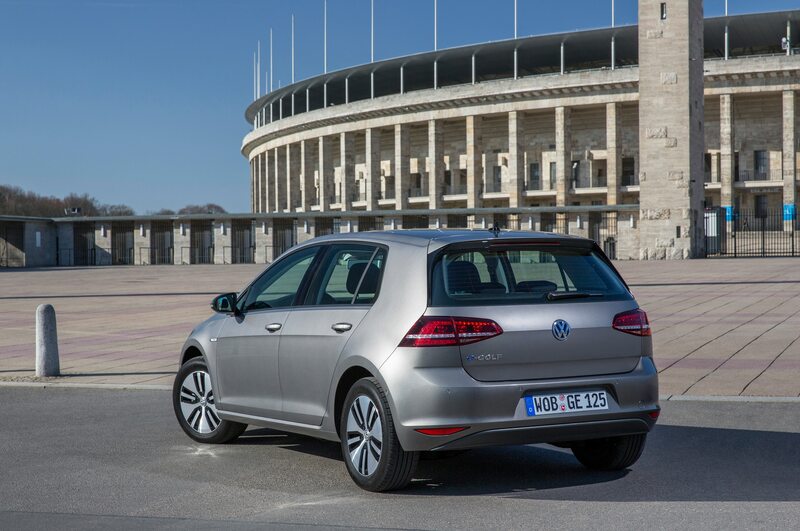 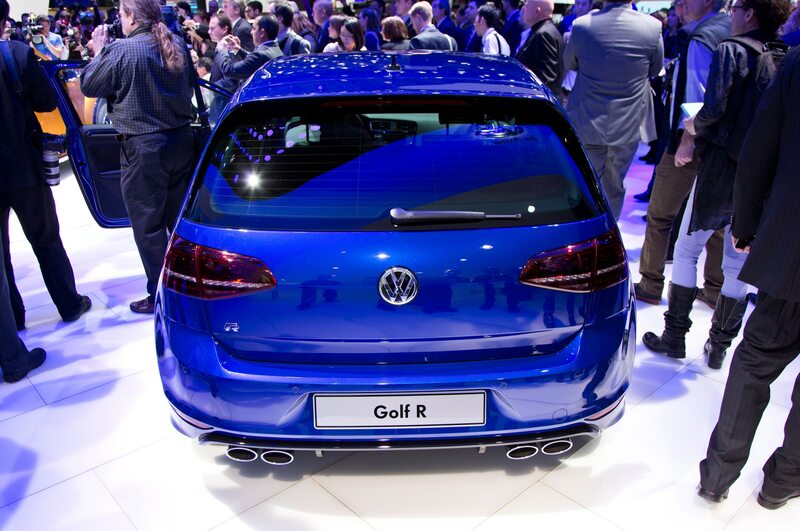 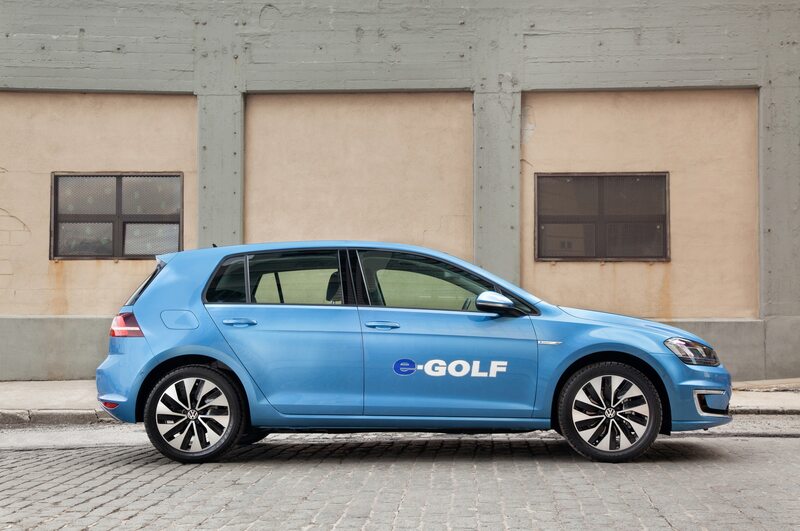 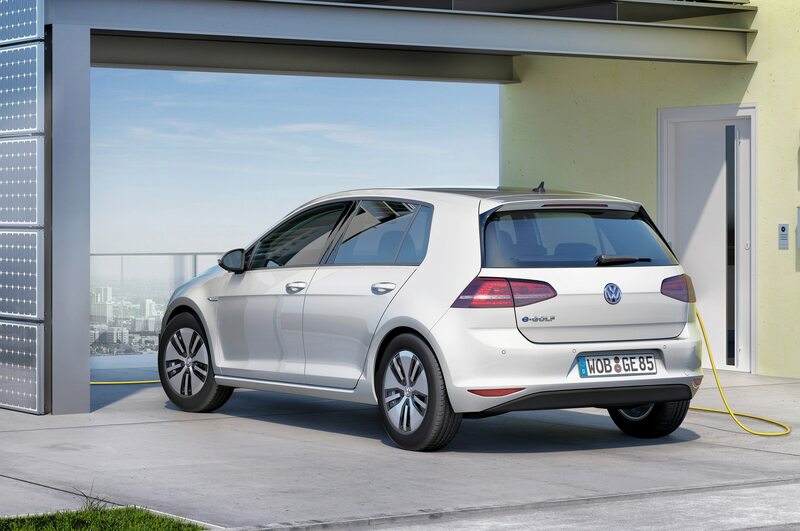 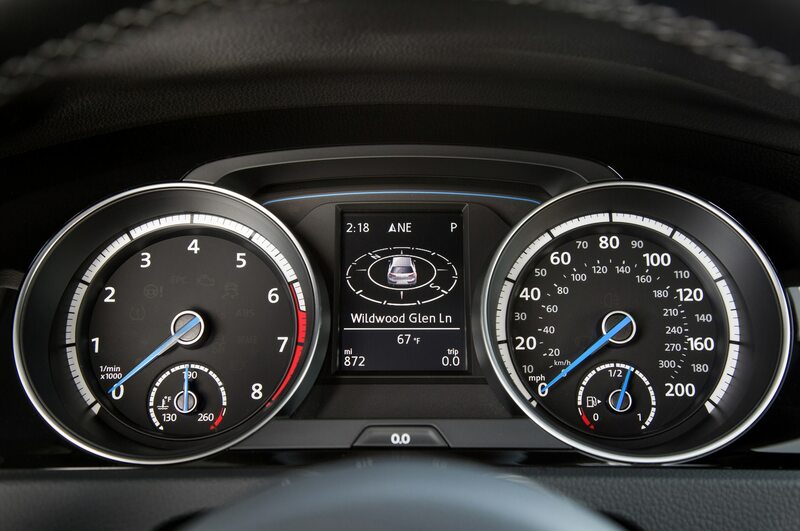 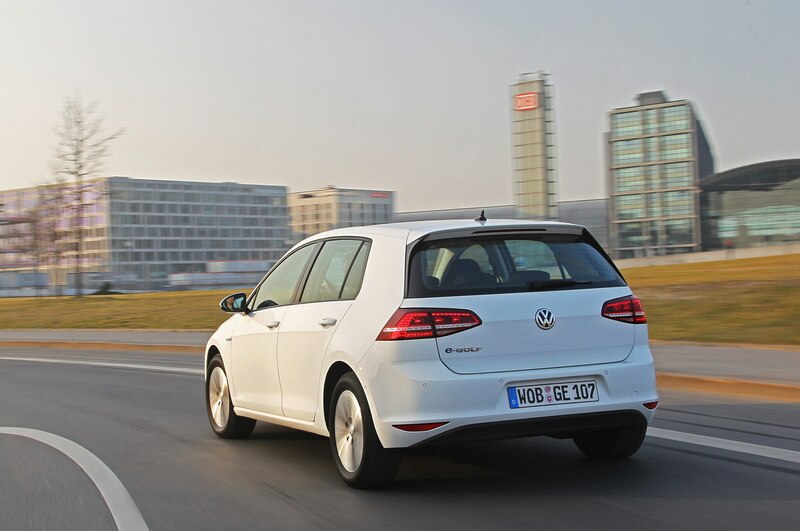 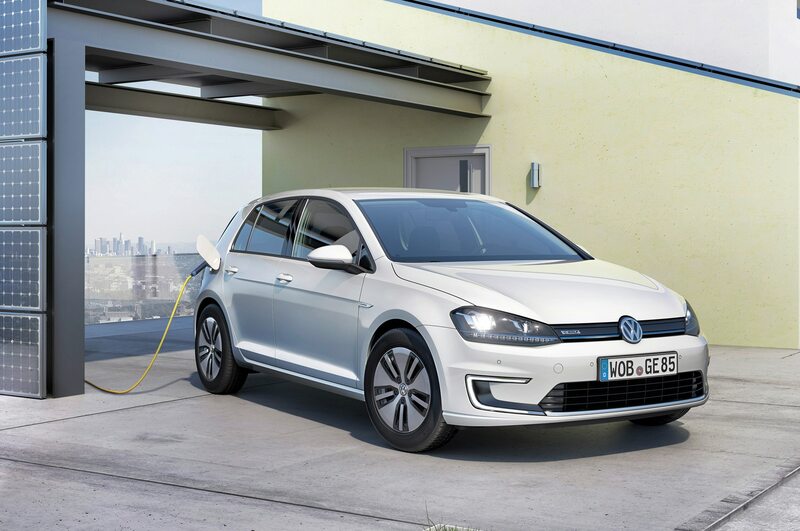 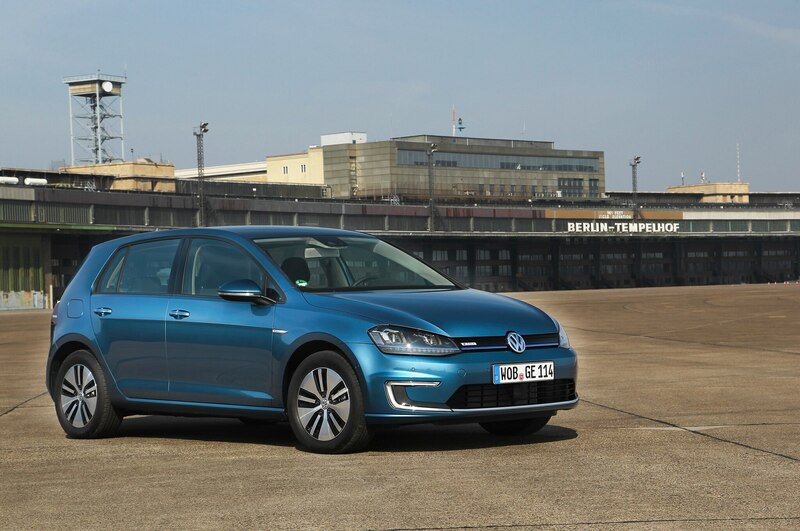 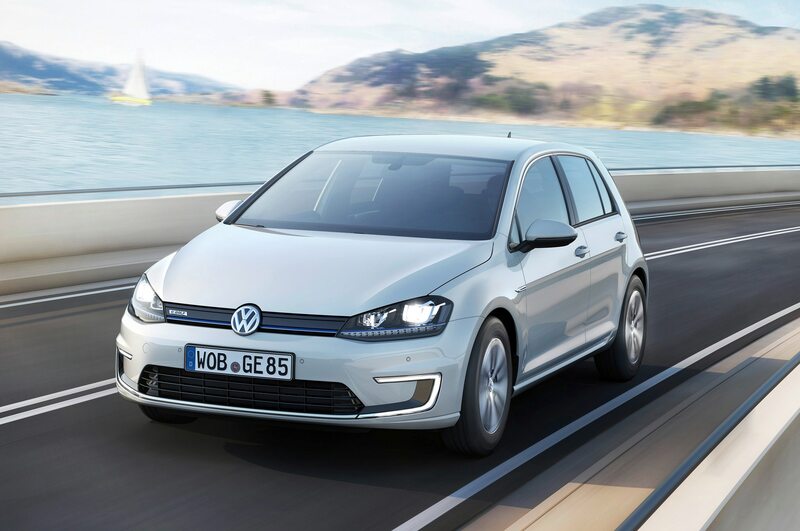 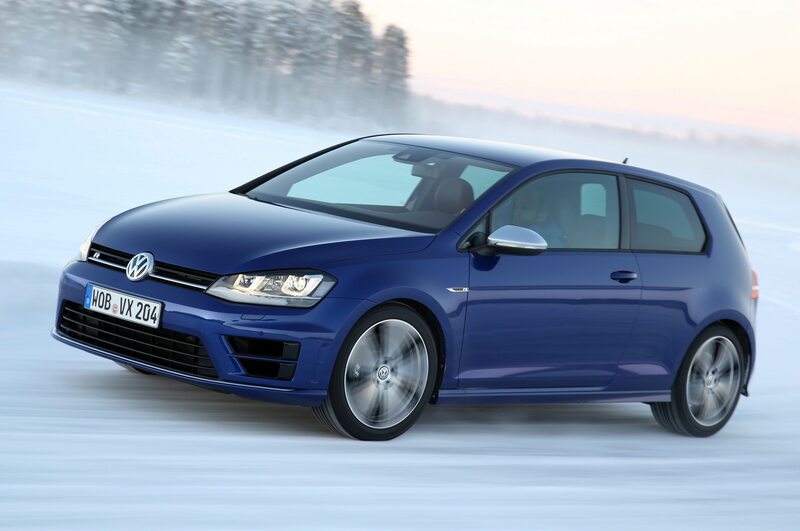 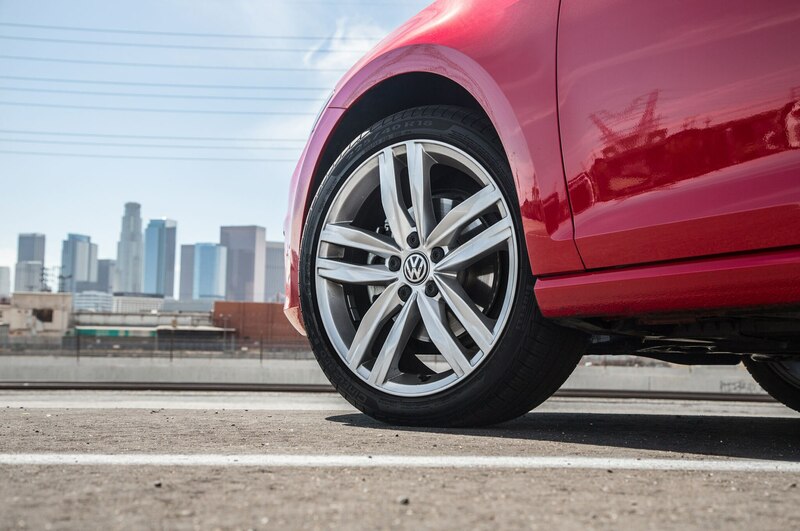 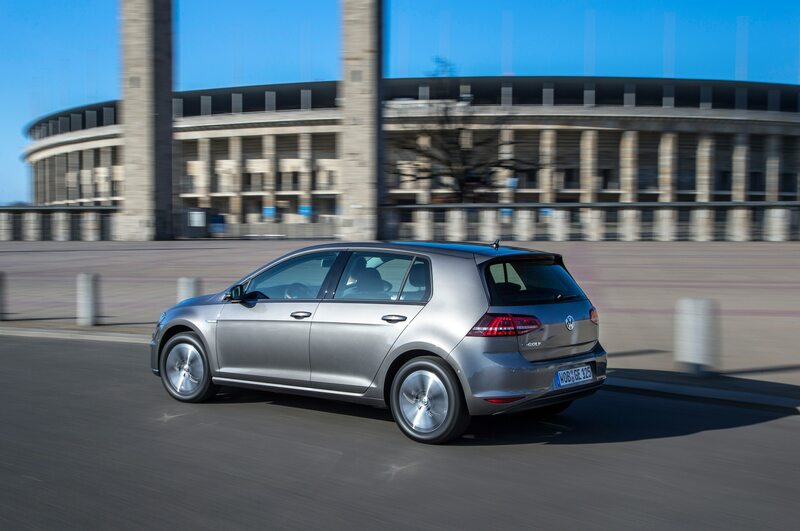 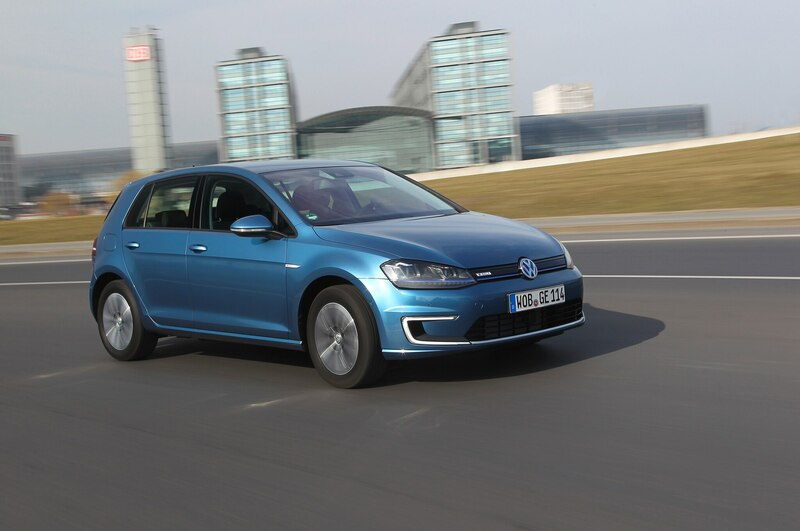 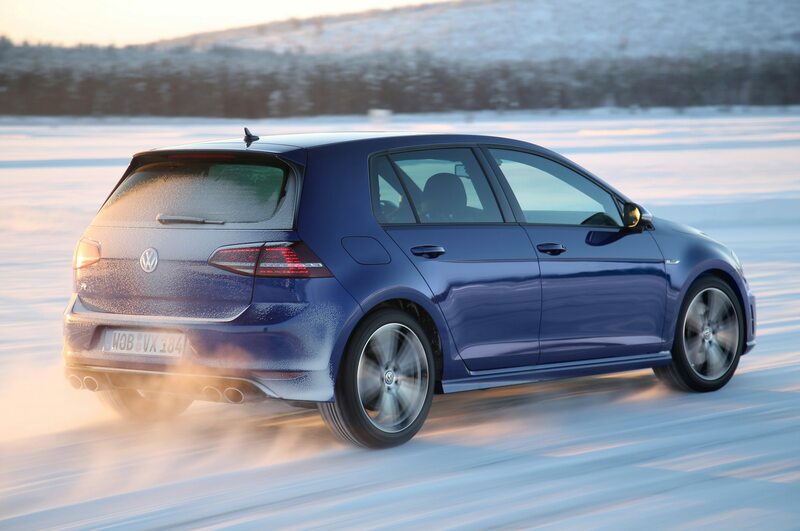 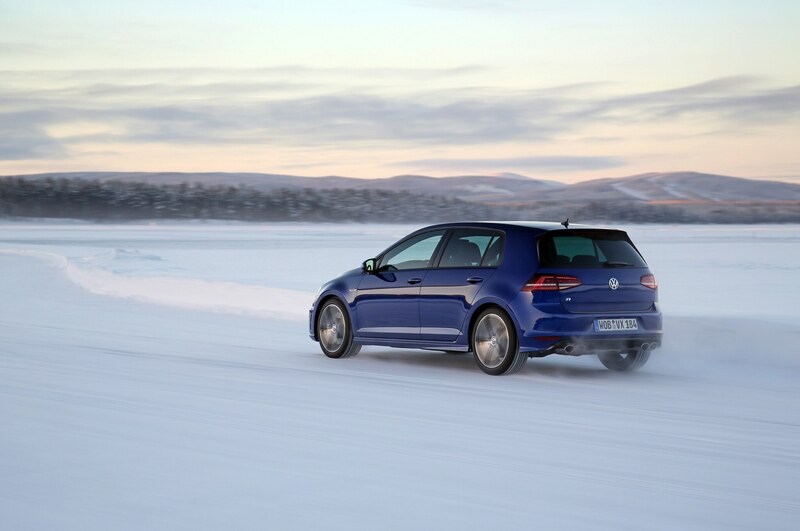 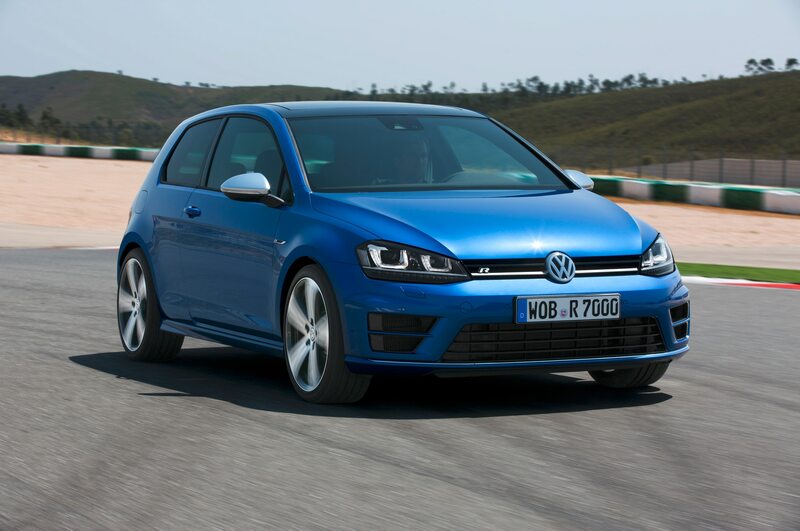 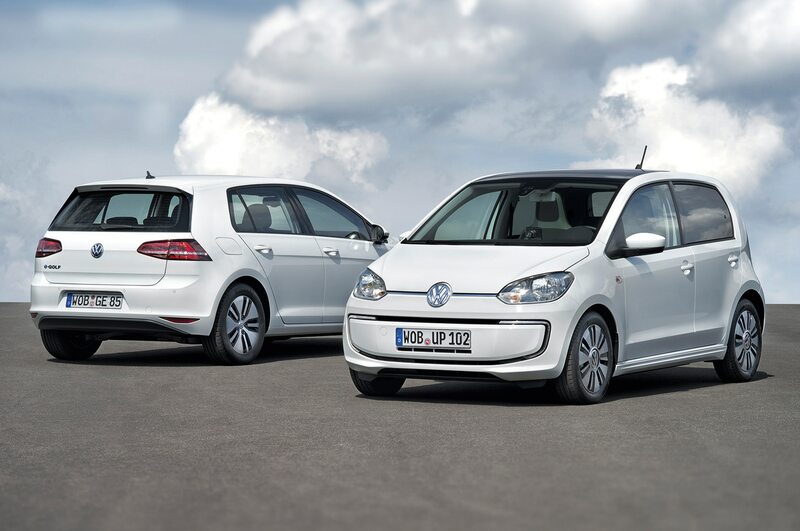 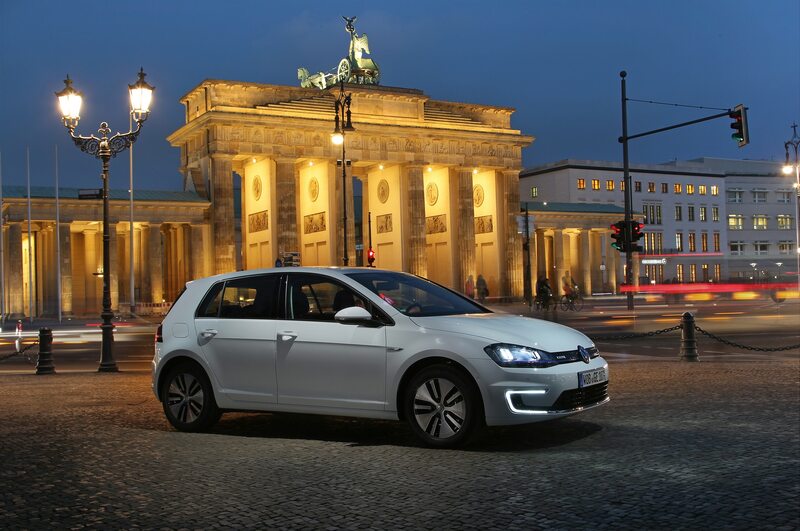 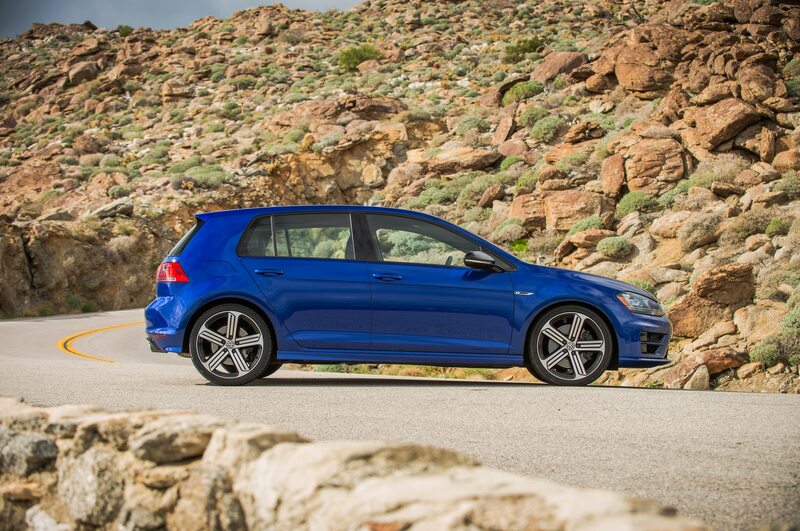 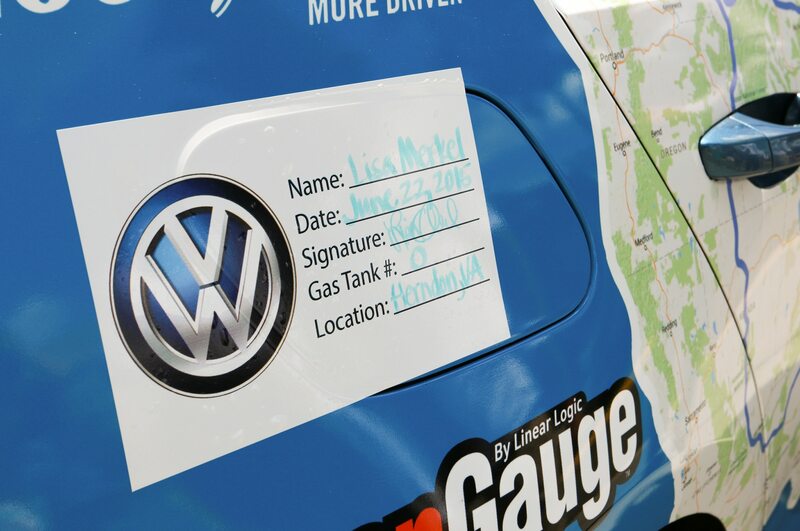 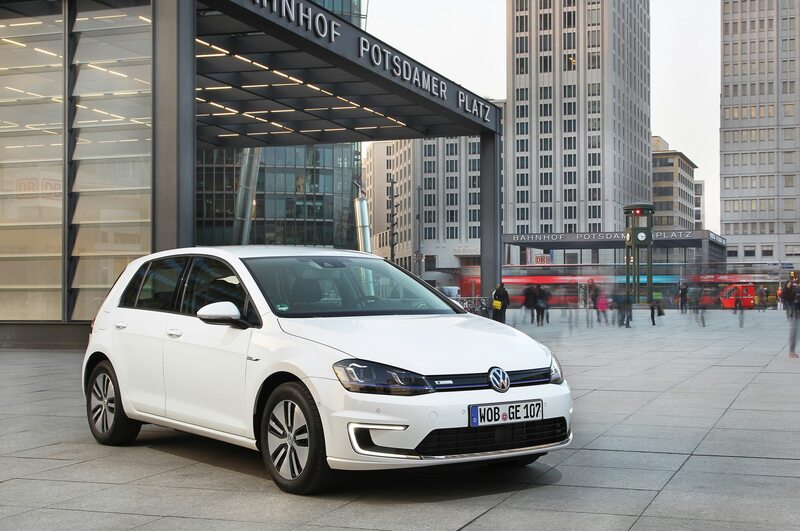 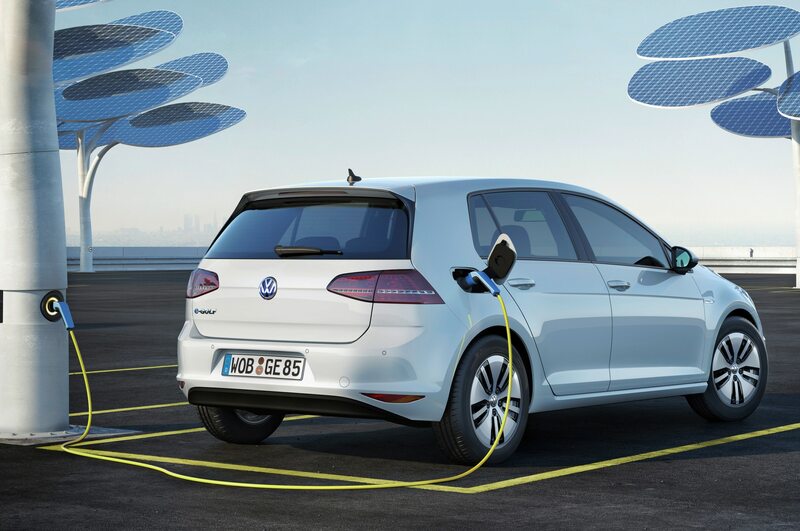 The Golf SportWagen does all this without floating or wandering around bends. 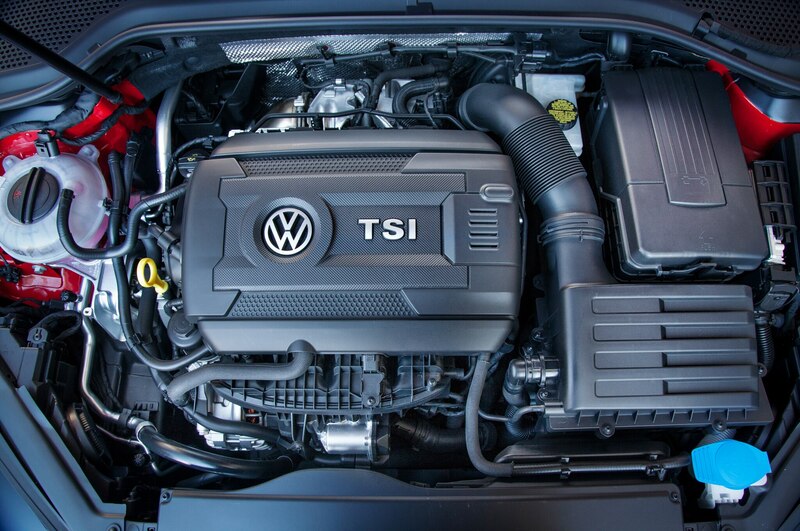 Its engine and transmission never whine or drone. 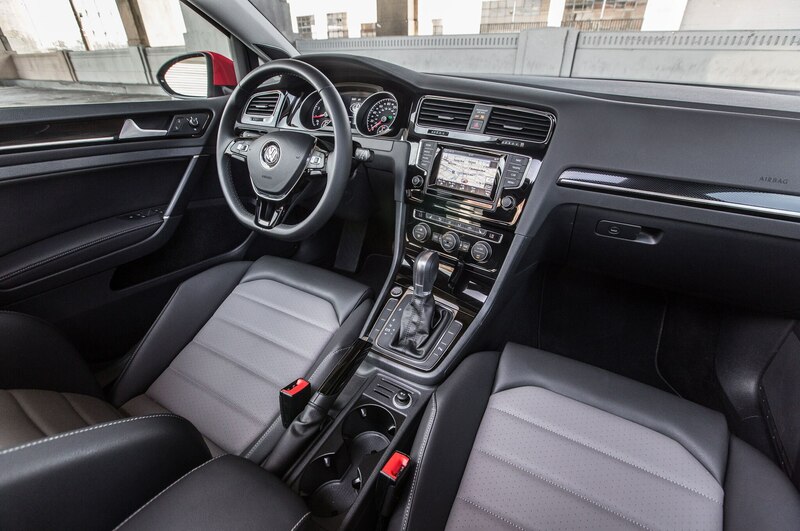 And its interior design and quality is unmatched in the compact crossover segment; the SportWagen’s cabin could almost pass for an Audi. 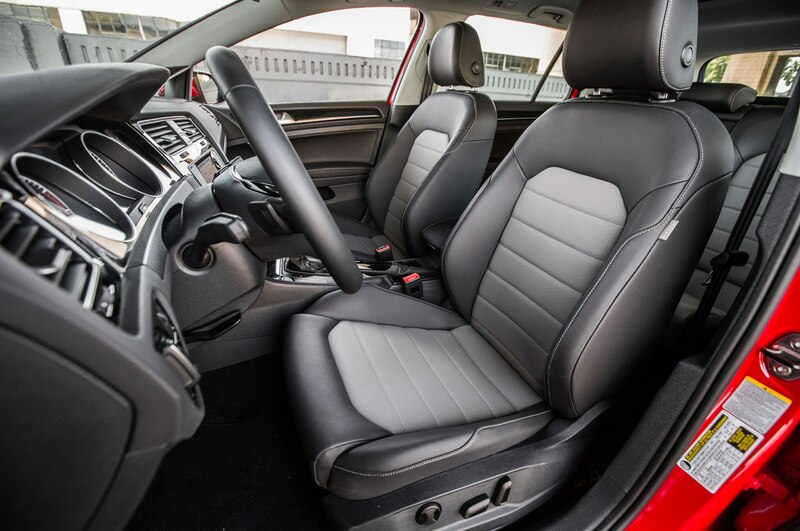 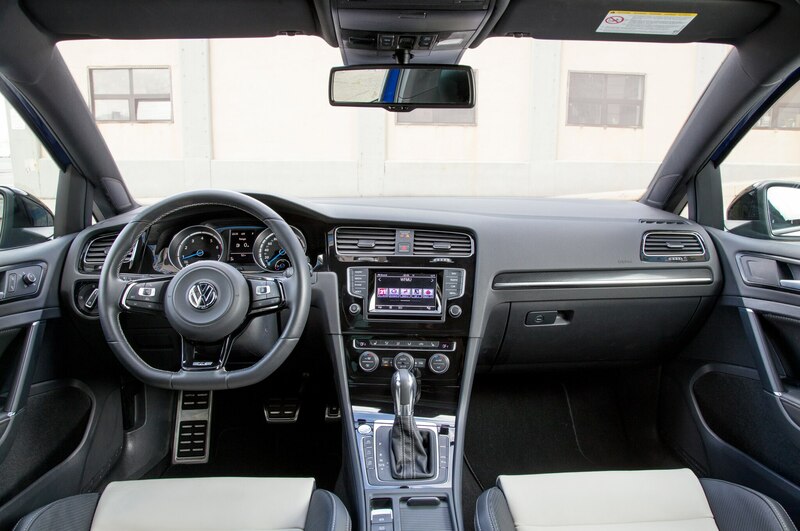 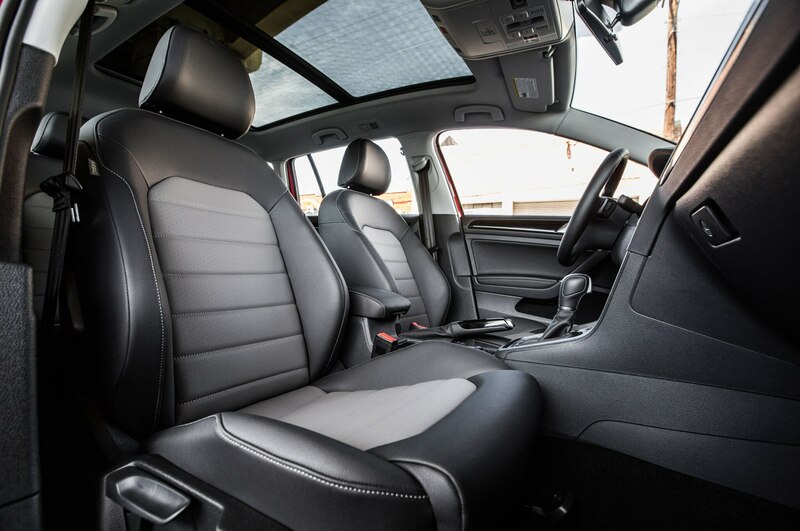 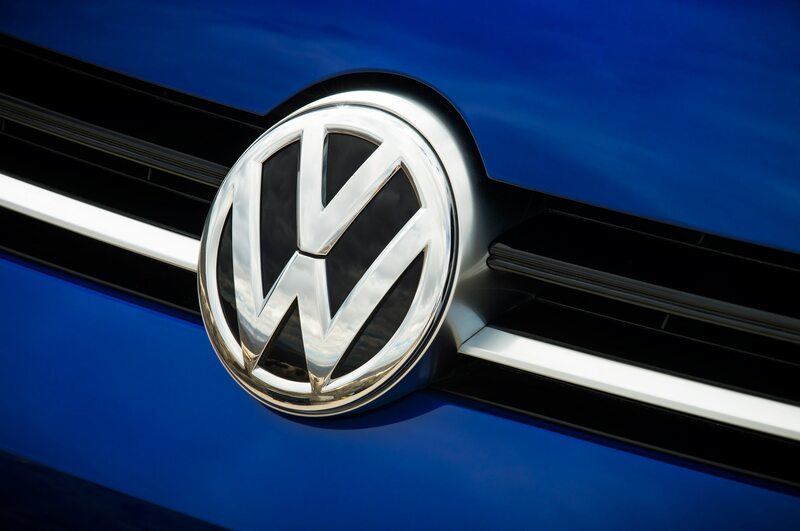 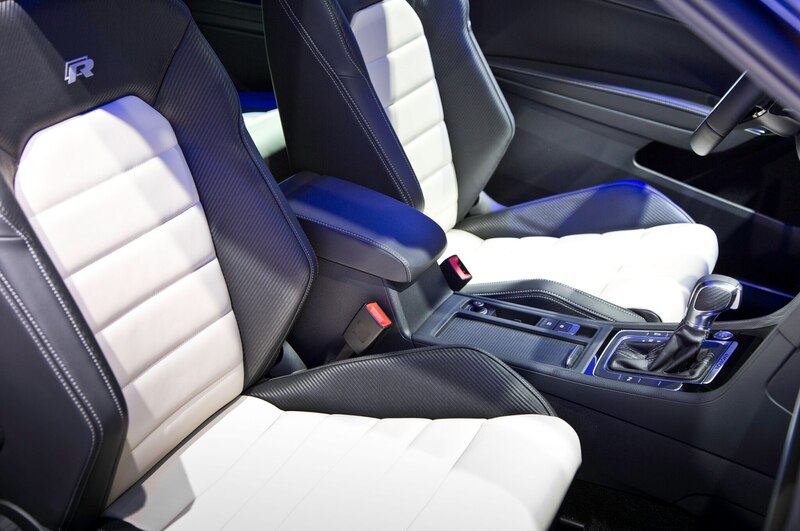 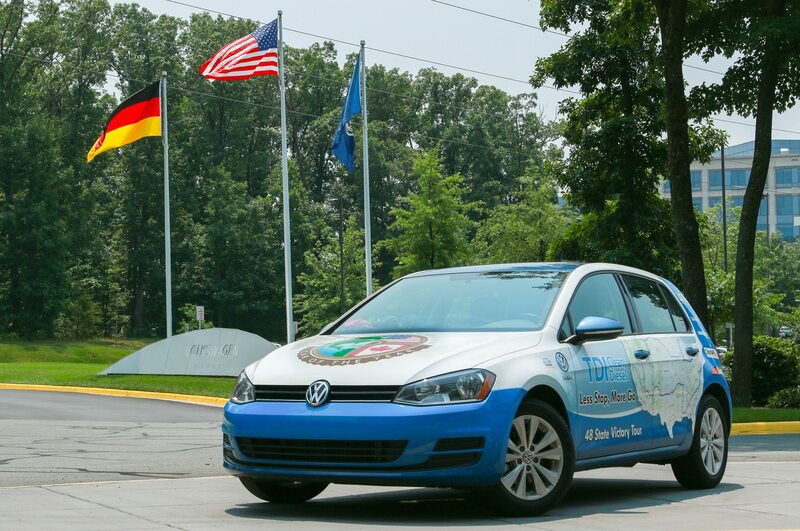 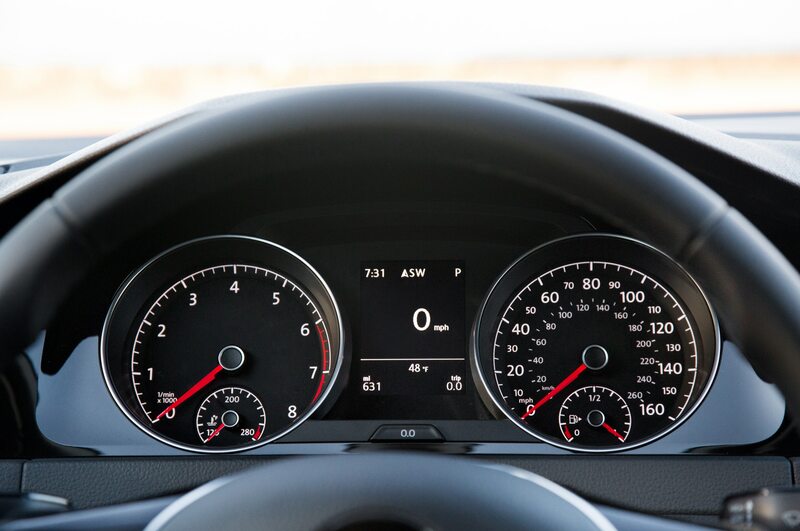 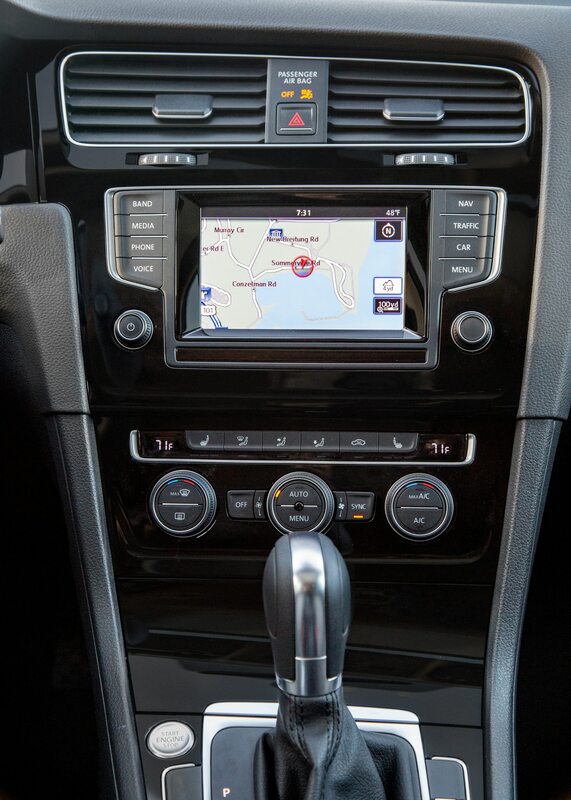 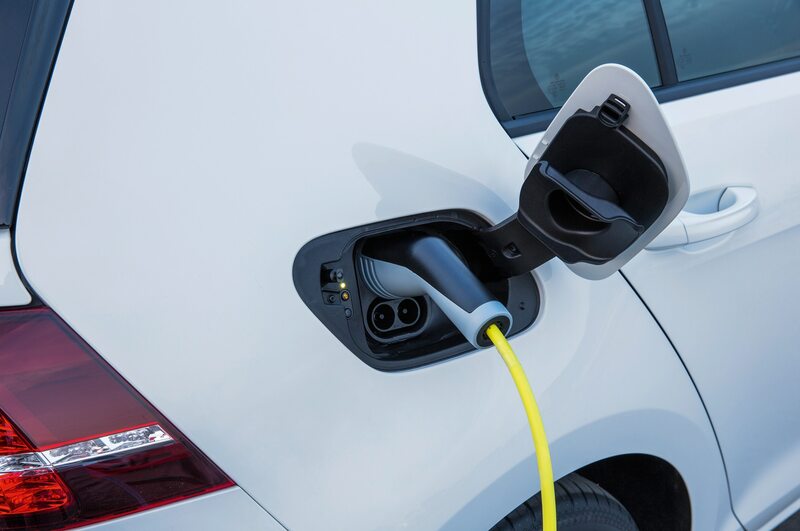 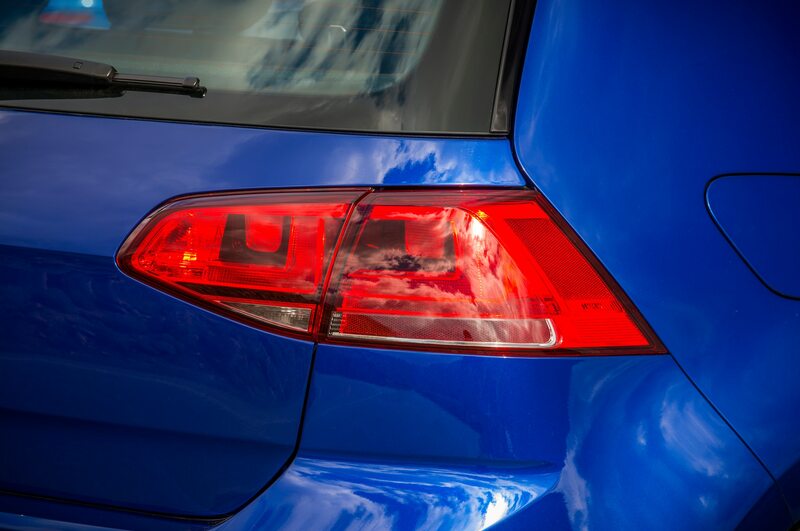 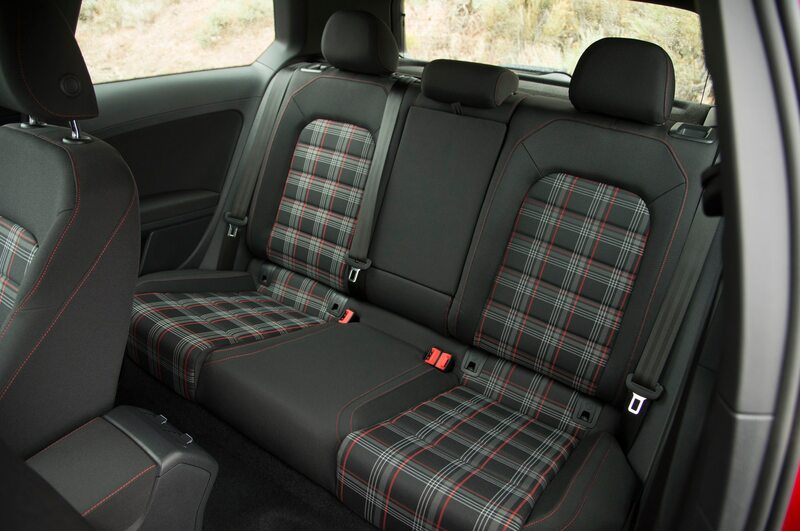 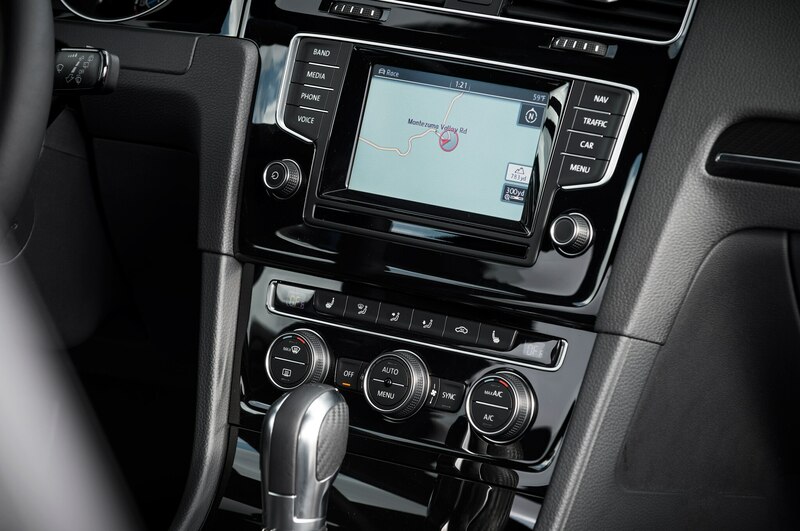 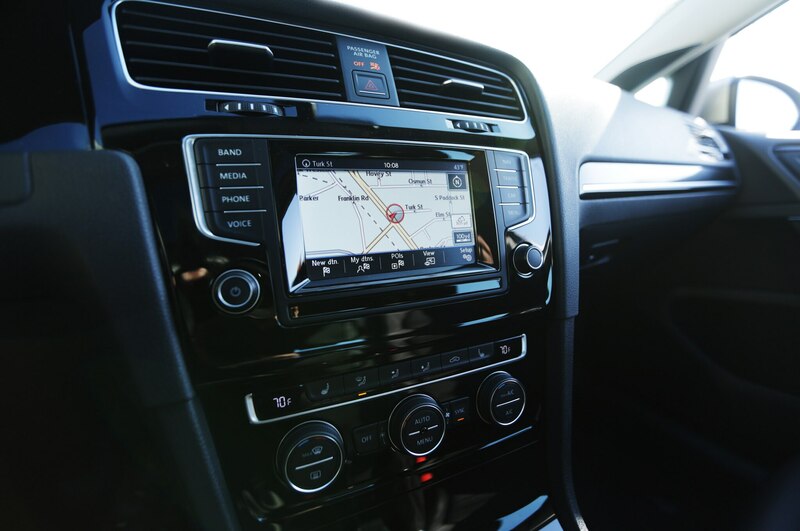 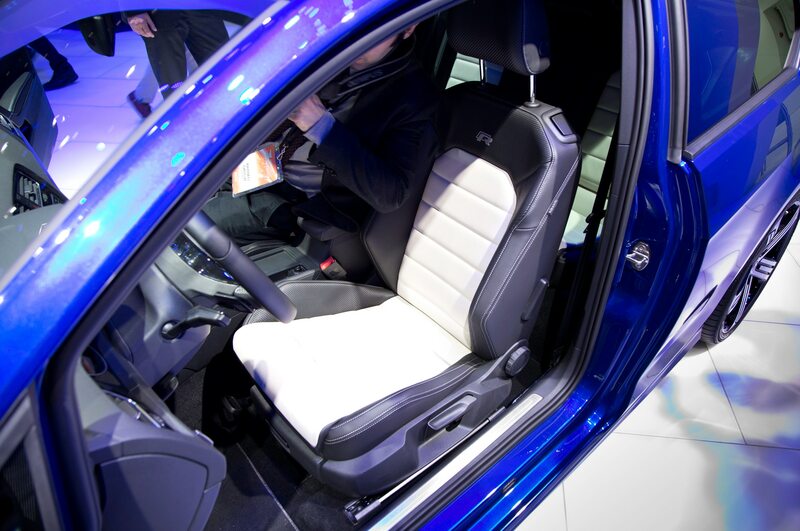 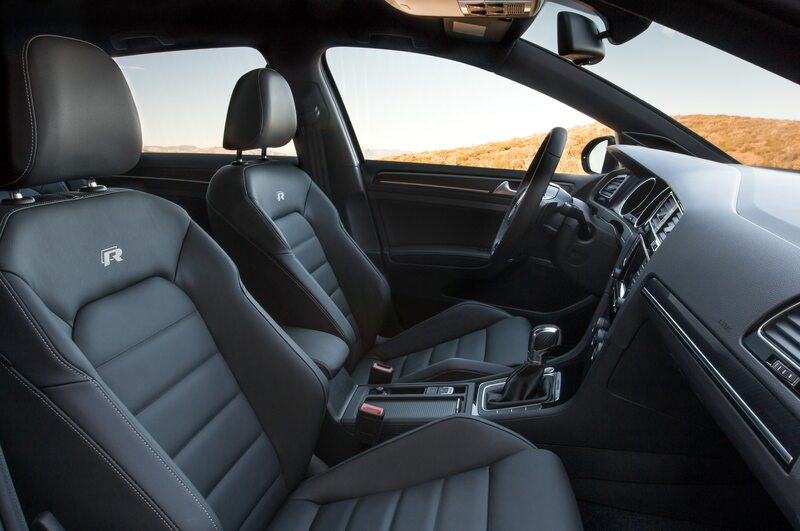 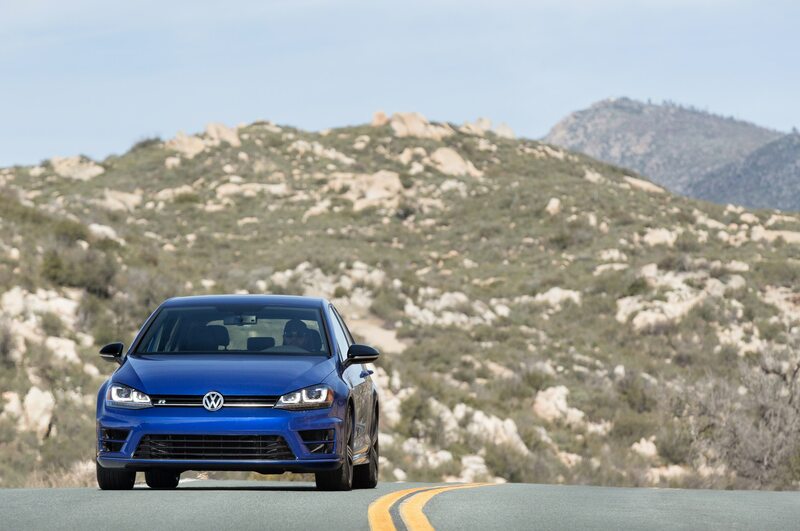 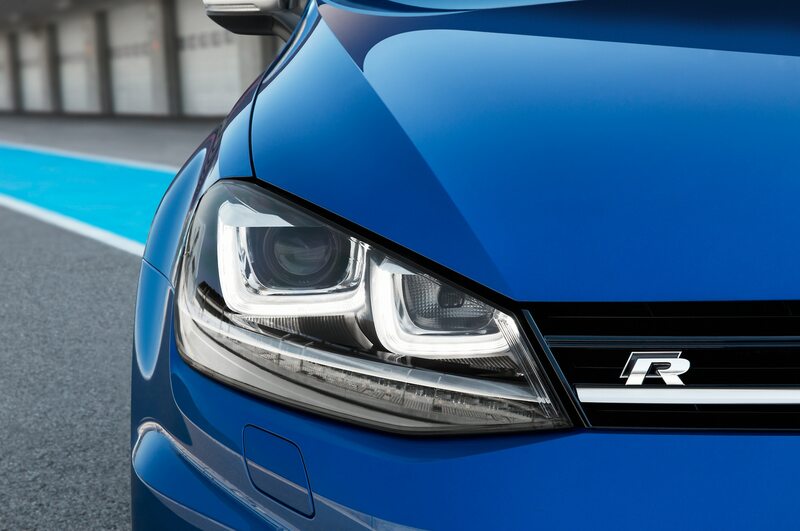 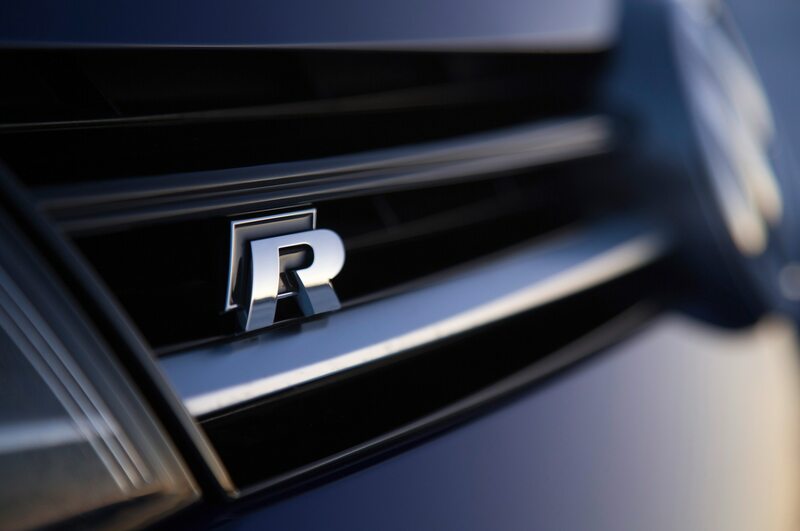 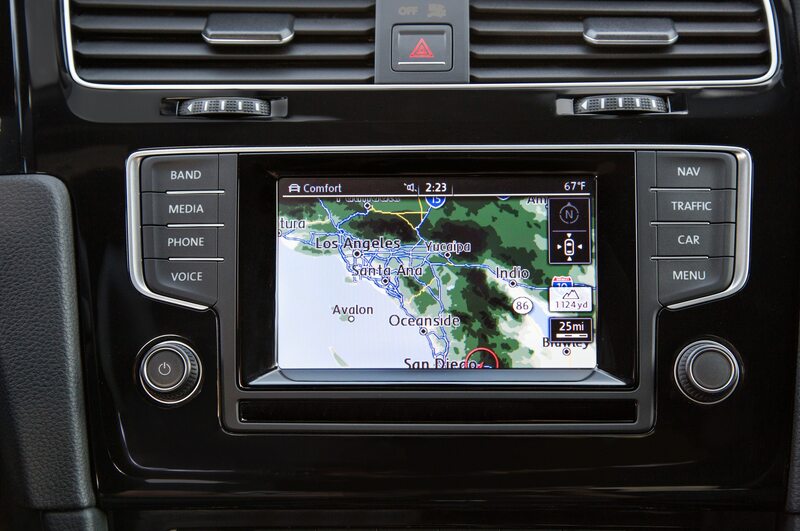 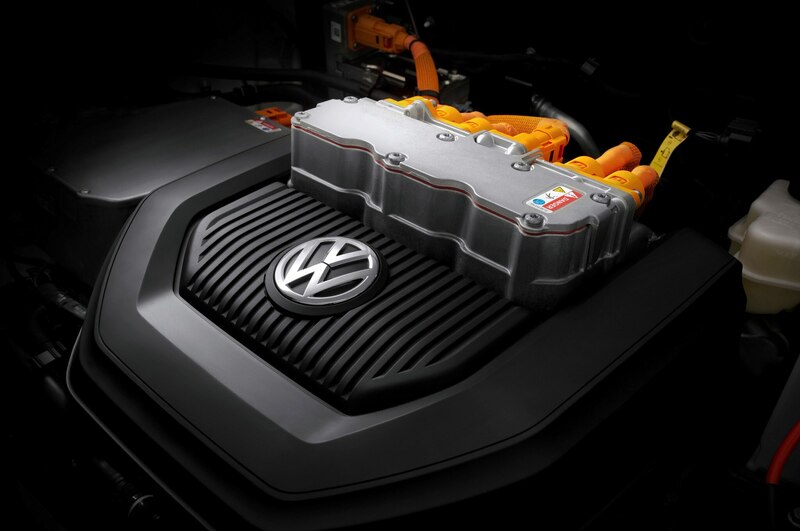 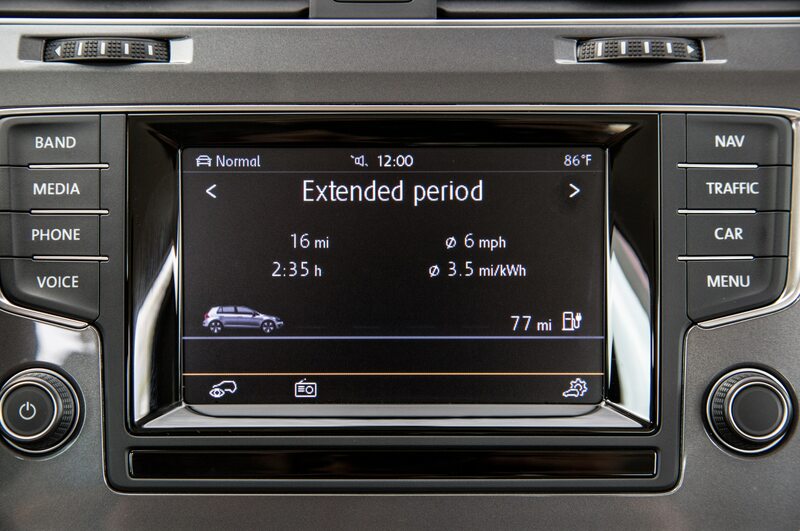 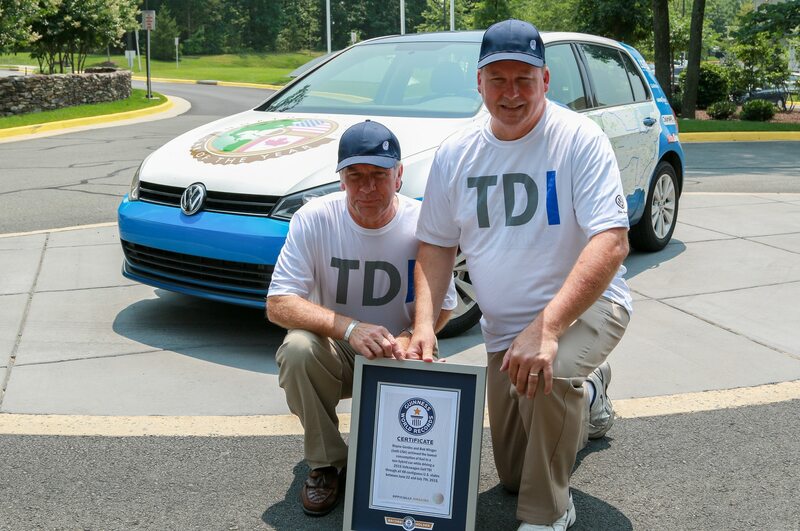 Other perks include rear seats that are extremely easy to fold (they don’t even pinch the seatbelts when you raise them again), a very intuitive touchscreen infotainment system, and outstanding fuel efficiency in the TDI diesel model. 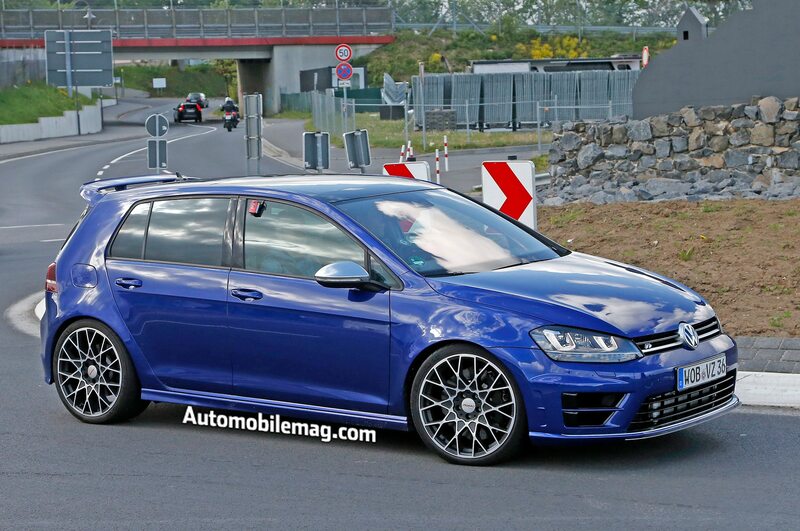 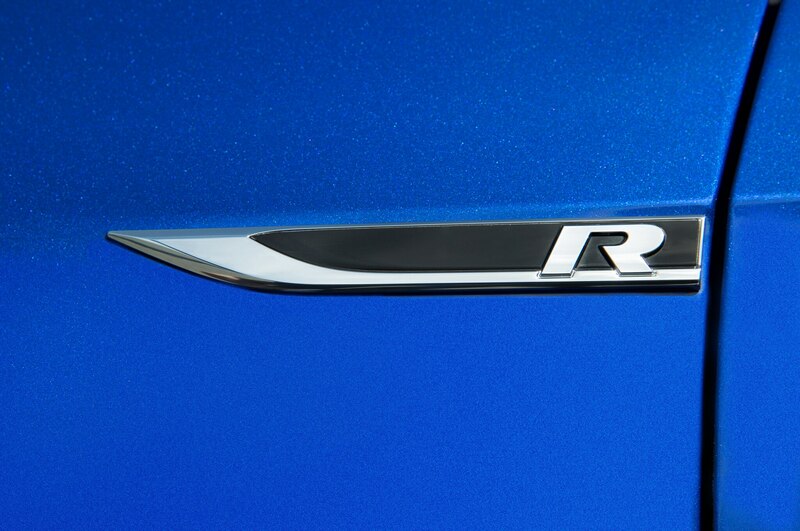 Of course, the things that have always hurt station wagons’ success in the U.S. will still hamper this model’s sales. 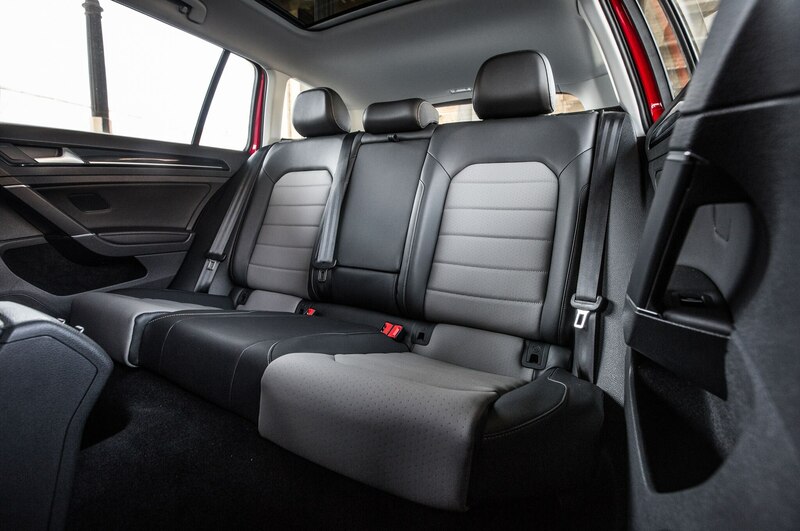 Because it’s a car rather than a crossover, you don’t sit six feet off the ground, which will perturb drivers who grew up in Explorers and Grand Caravans. 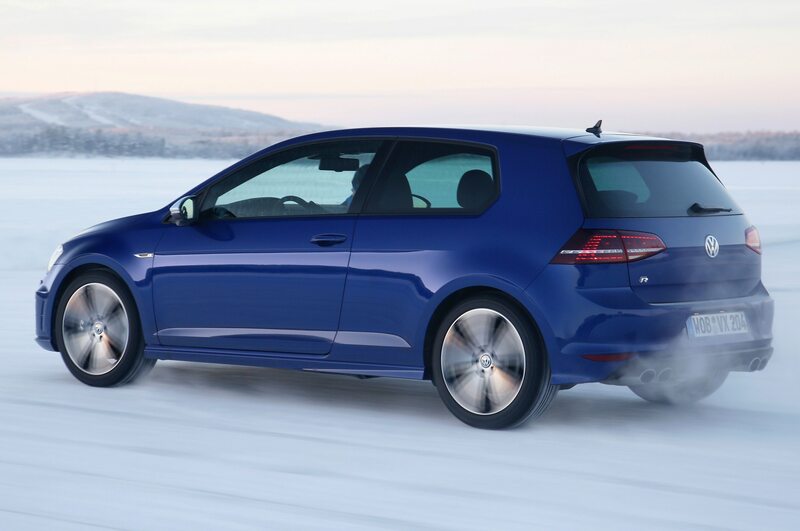 You can’t get all-wheel drive (yet — it’s coming soon to the U.S. market), which is apparently a necessity even for crossover buyers who live outside the Snowbelt. 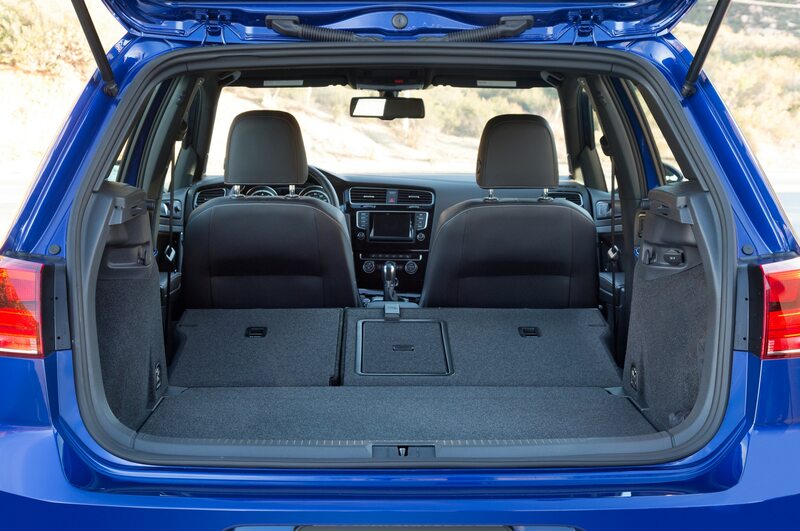 And although the cargo area is extremely spacious with the rear seats raised or lowered, you still don’t get the load height afforded by taller crossovers. 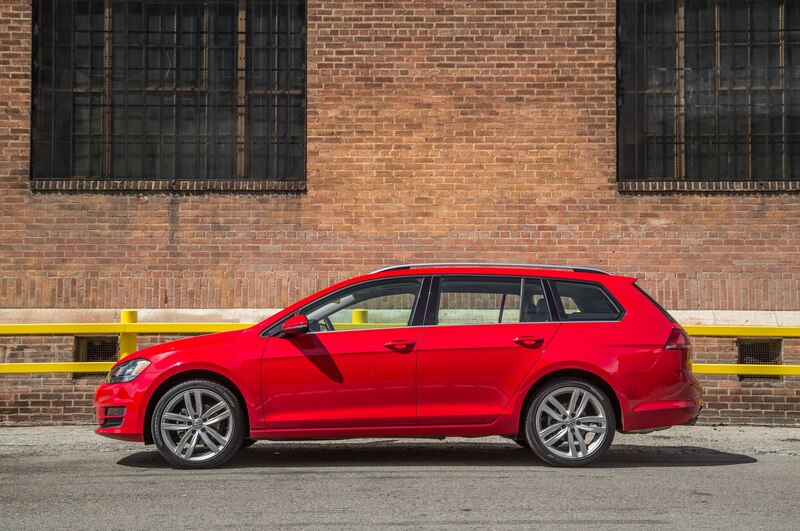 In other words, good luck fitting a La-Z-Boy in your SportWagen’s hatch. 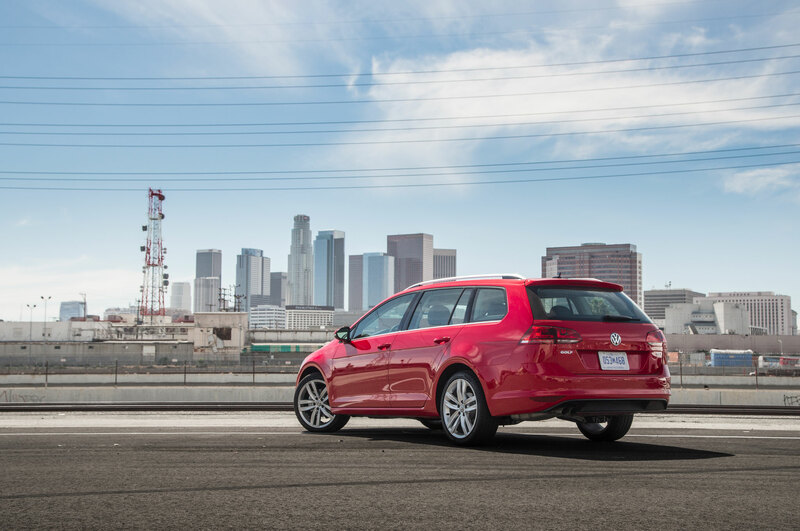 In practical terms for many people, the 2015 Volkswagen Golf SportWagen is just about all they will ever need when it comes to personal transportation. 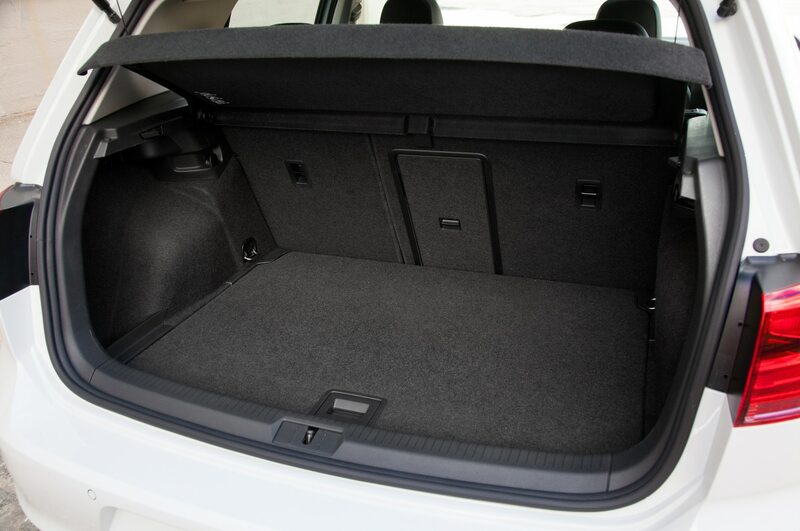 I folded down the rear seat and stowed my bike easily in back — in fact it was easier to load than a crossover because of the low rear bumper. 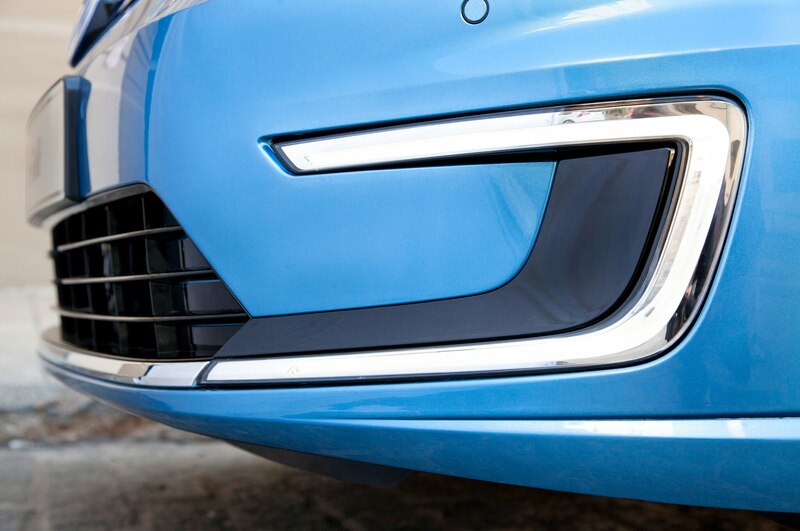 Outward visibility is better than any new car I’ve driven recently, thanks to thin A-pillars and upright C-pillars. 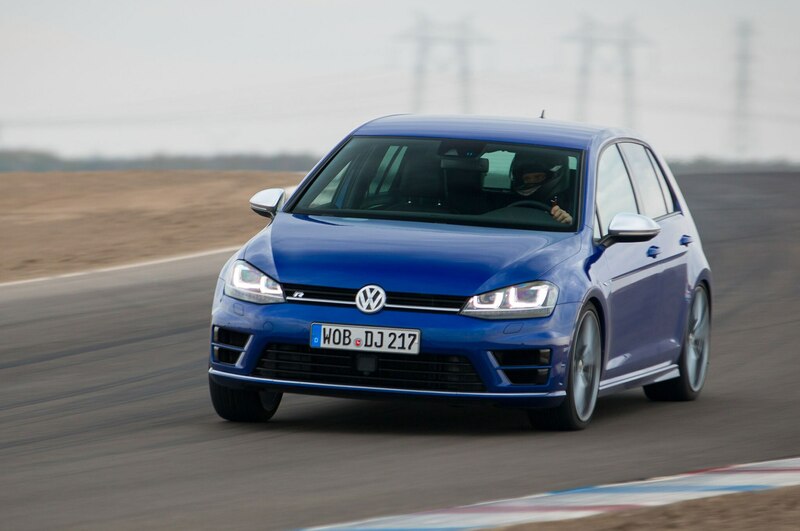 I like the steering’s weight and found the car easy and enjoyable to chuck into corners. 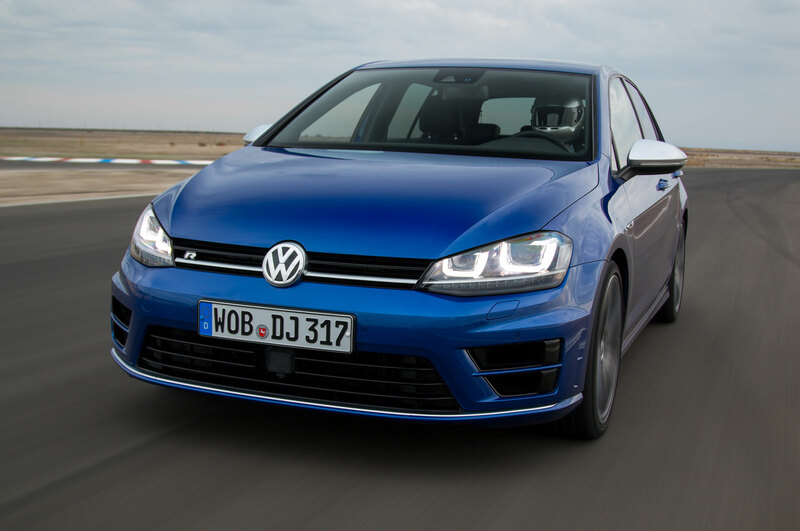 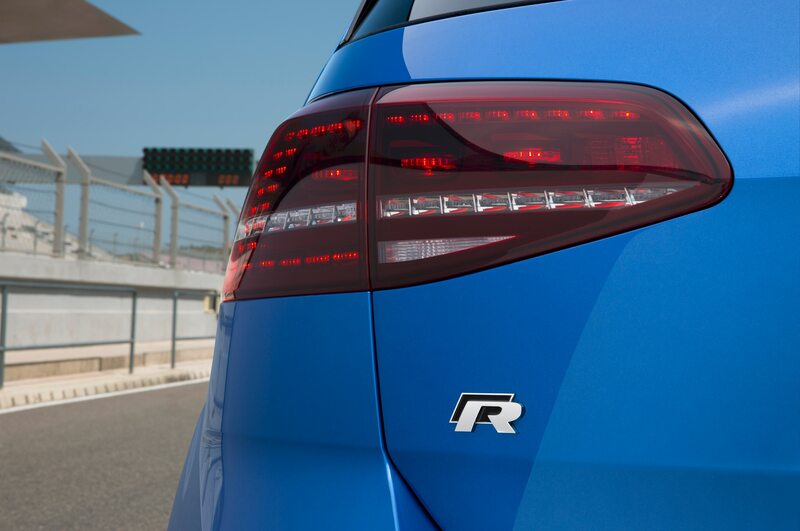 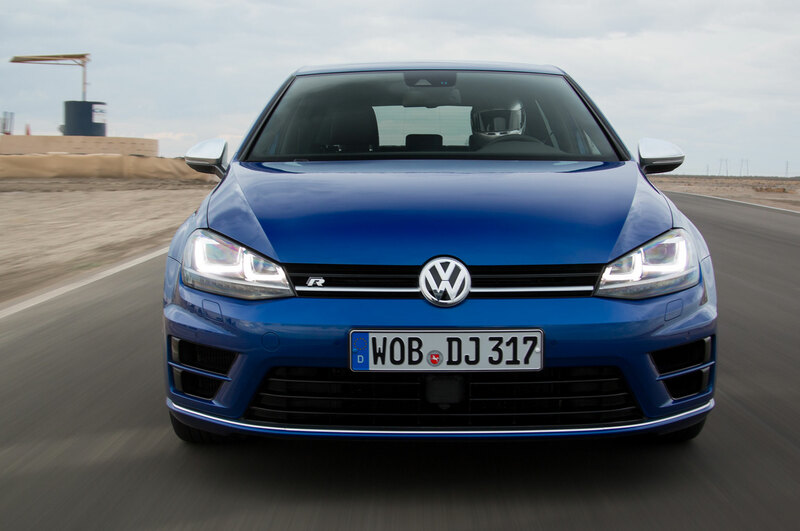 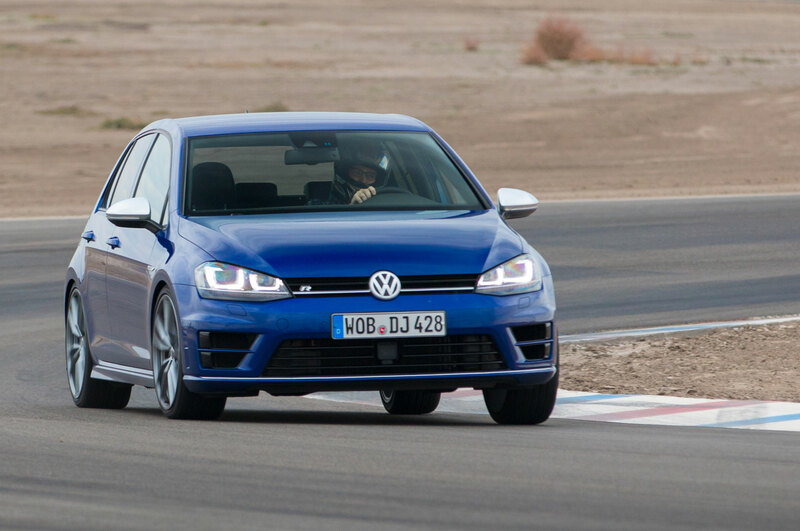 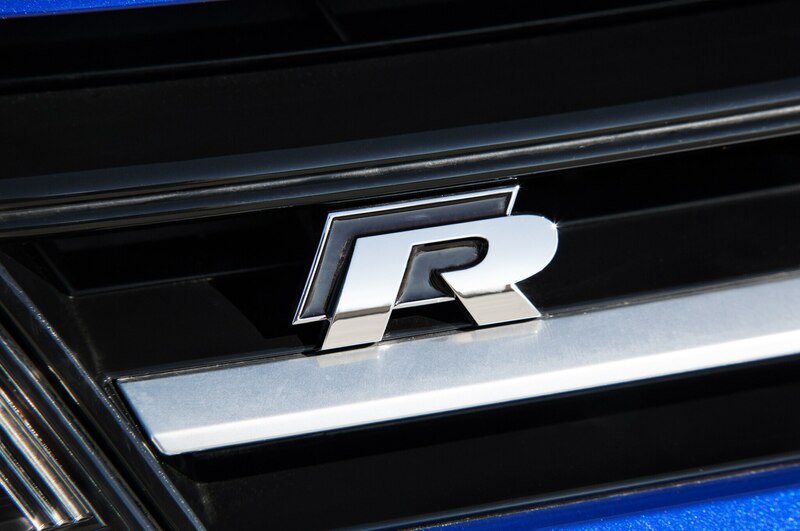 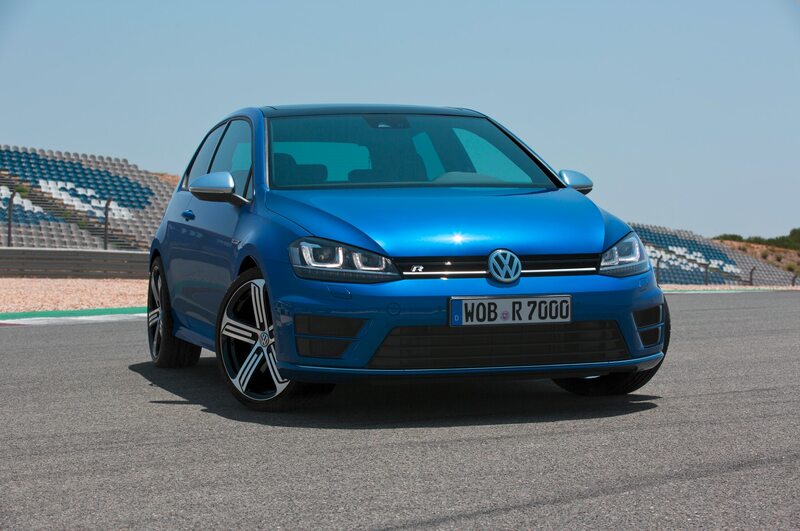 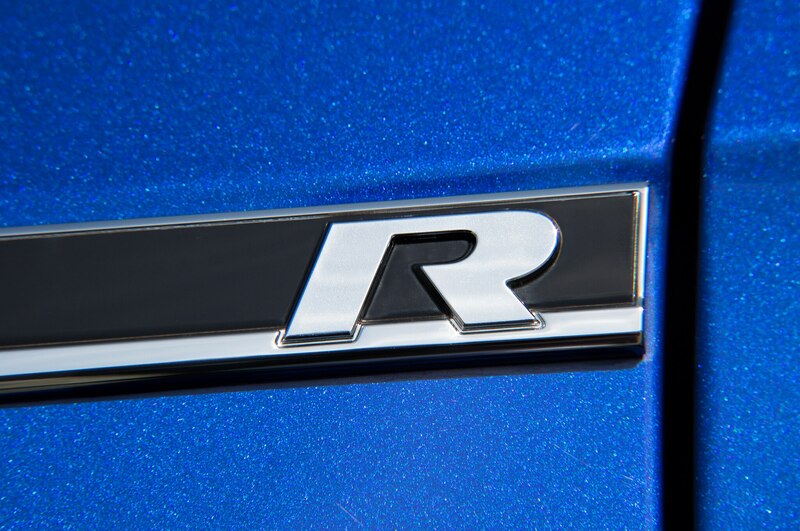 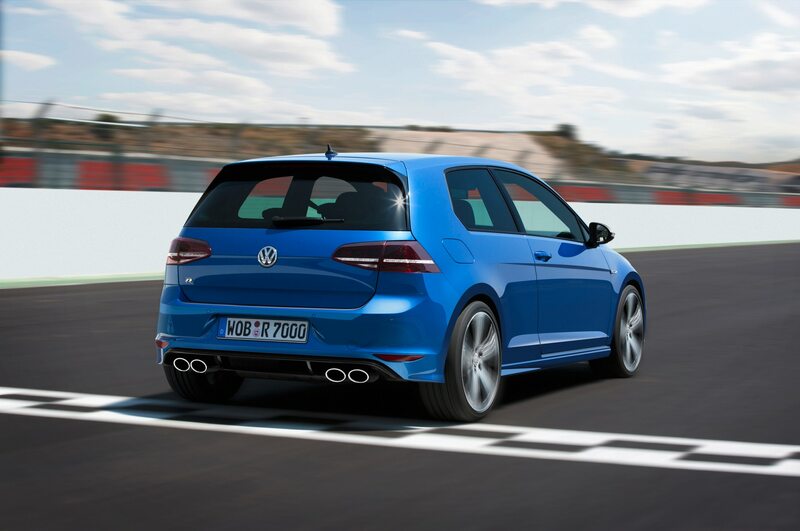 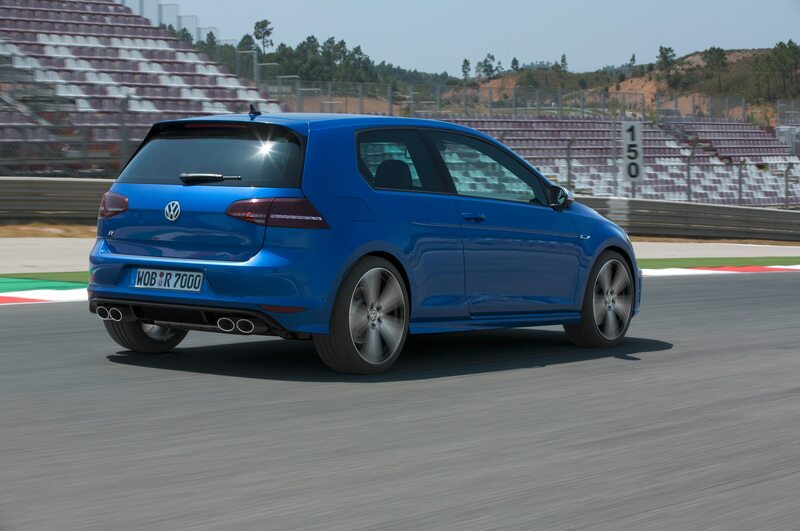 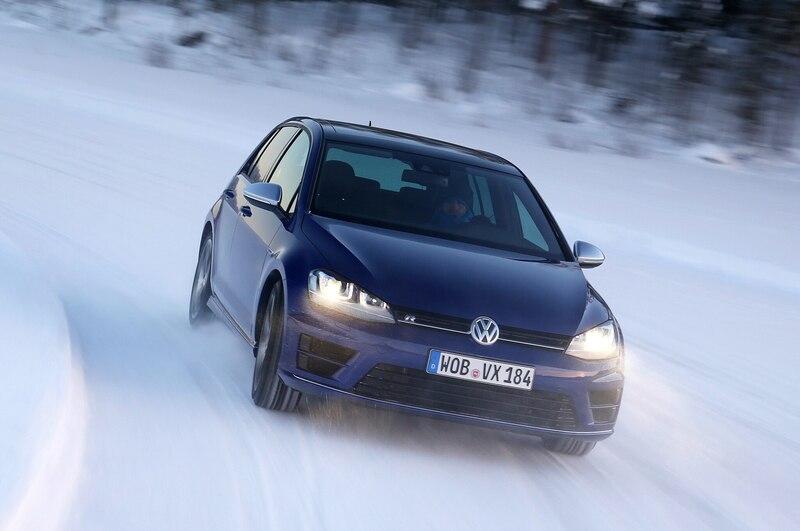 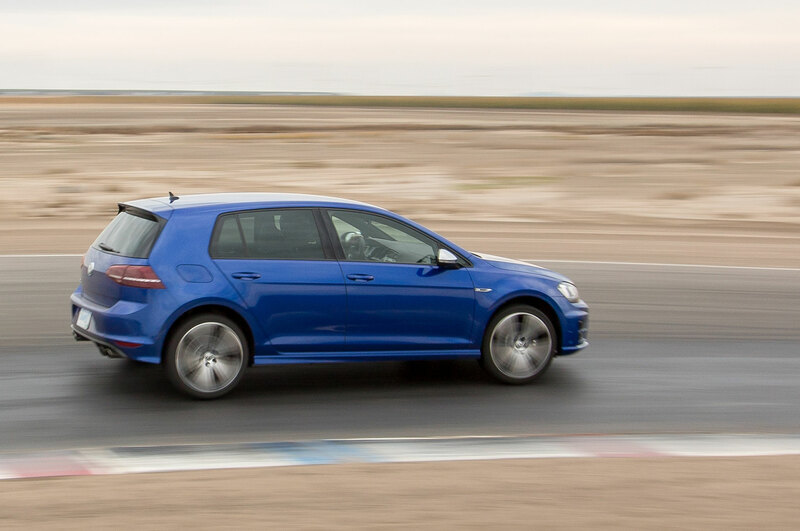 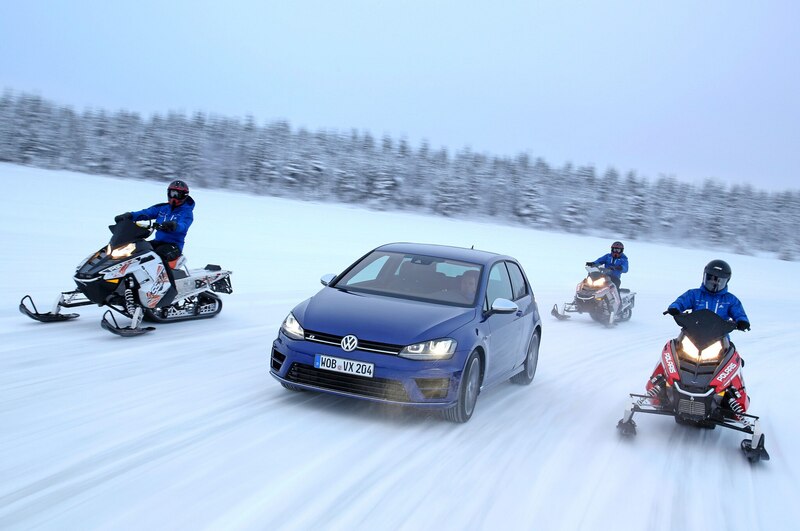 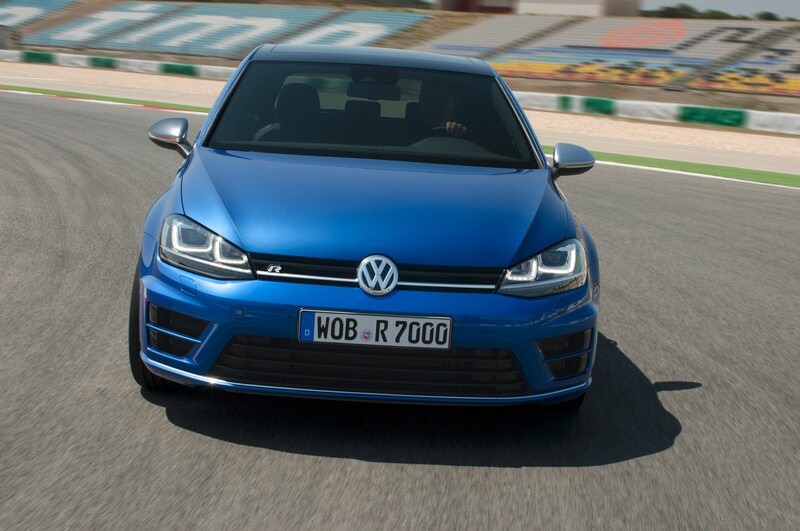 There’s a decreasing radius ramp I like to tackle, and many front-wheel-drive cars and crossovers understeer over it; in the Golf, I just breathed off the throttle for a second and it tucked-in perfectly. 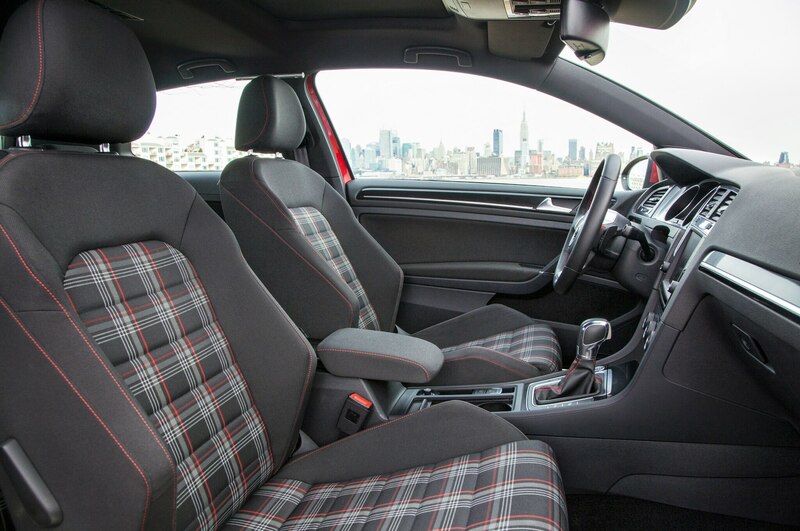 No, as mentioned, it’s not a GTI wagon — enthusiasts will have to keep asking for one — but it’s far more enjoyable to drive than most vehicles with this much space inside. 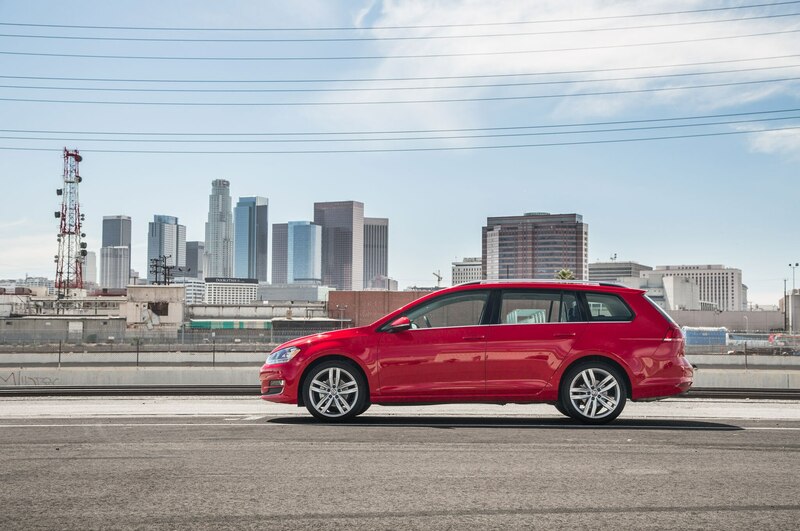 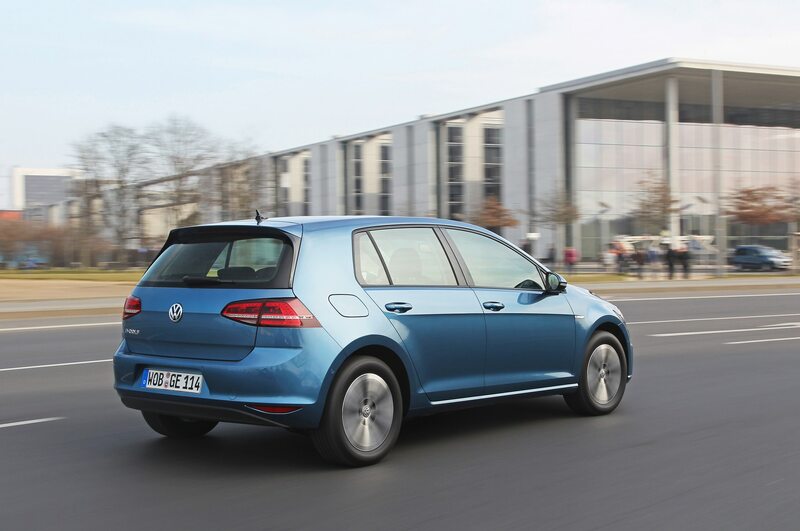 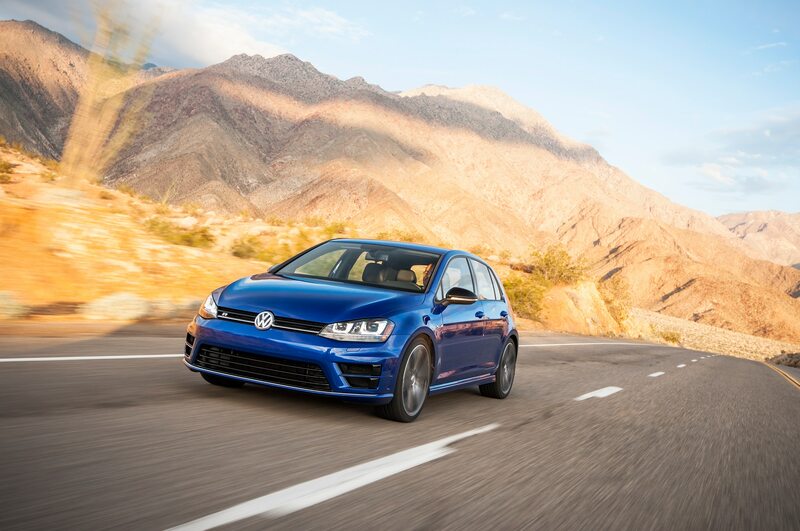 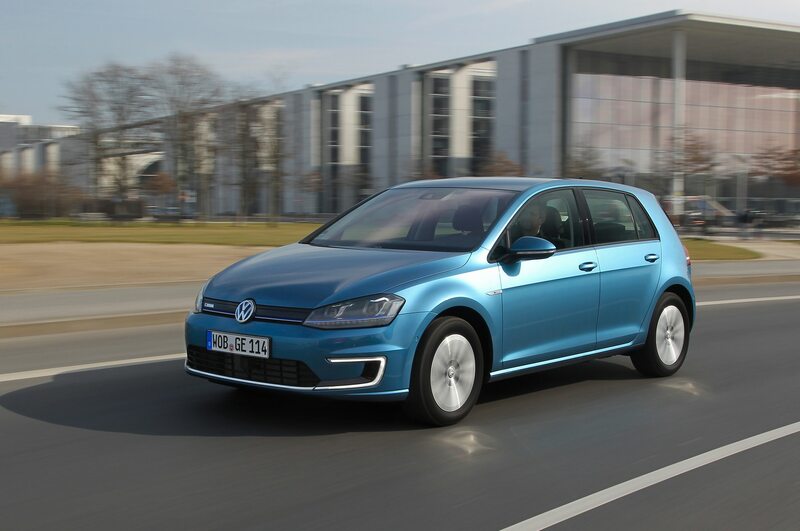 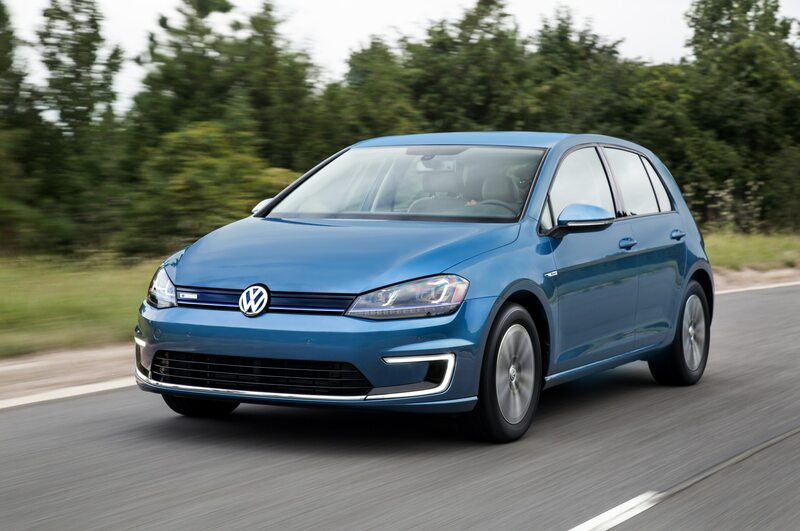 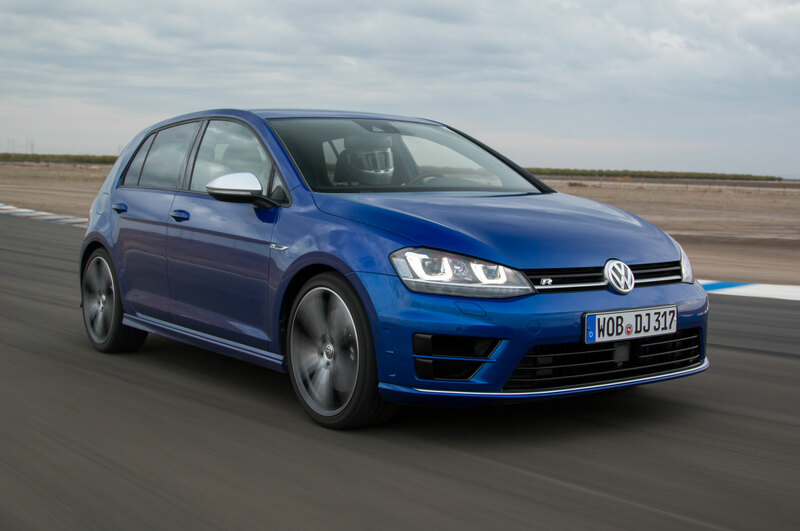 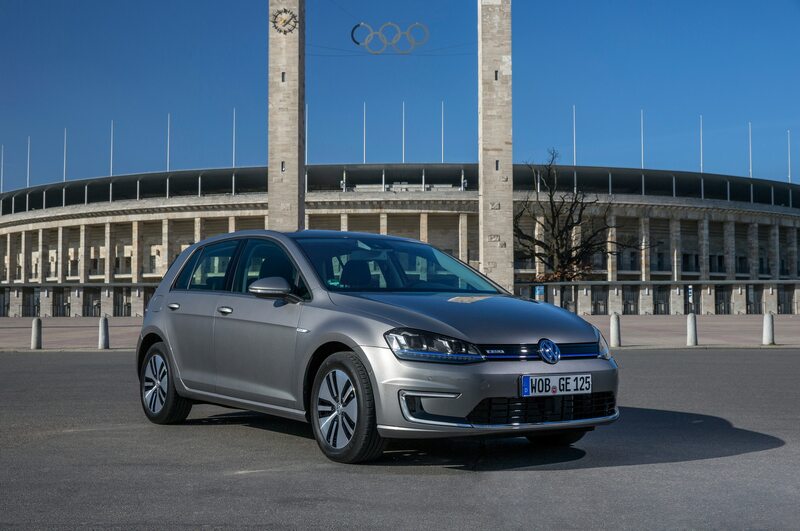 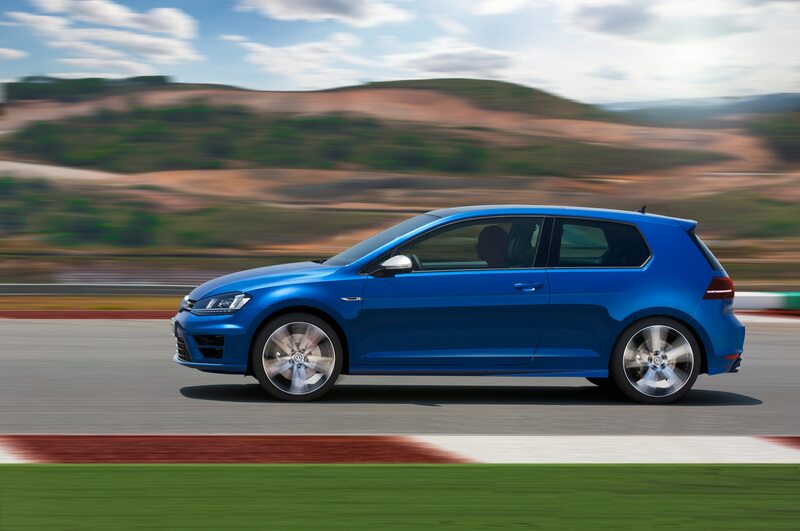 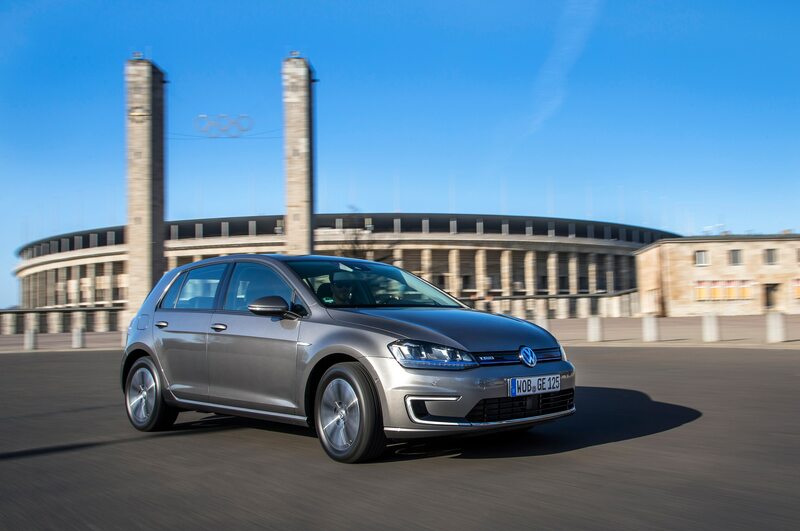 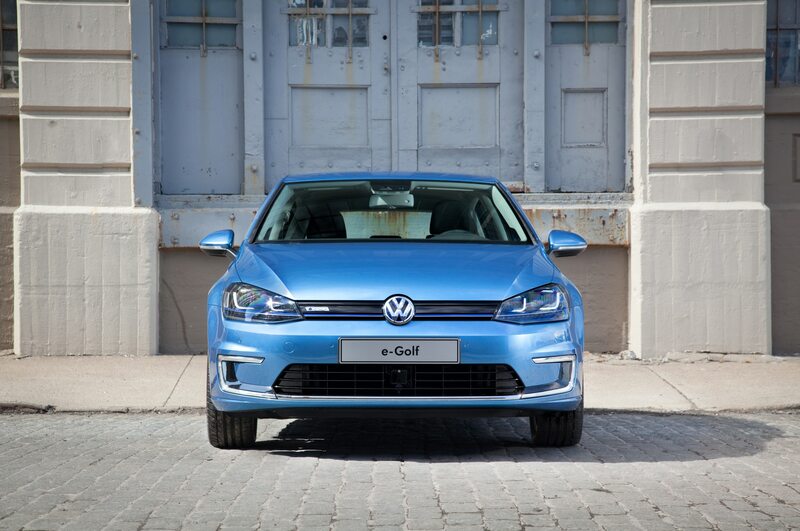 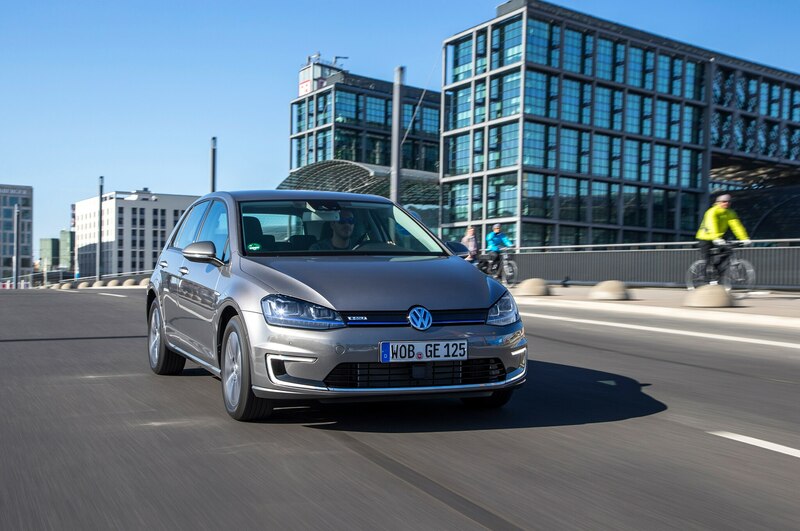 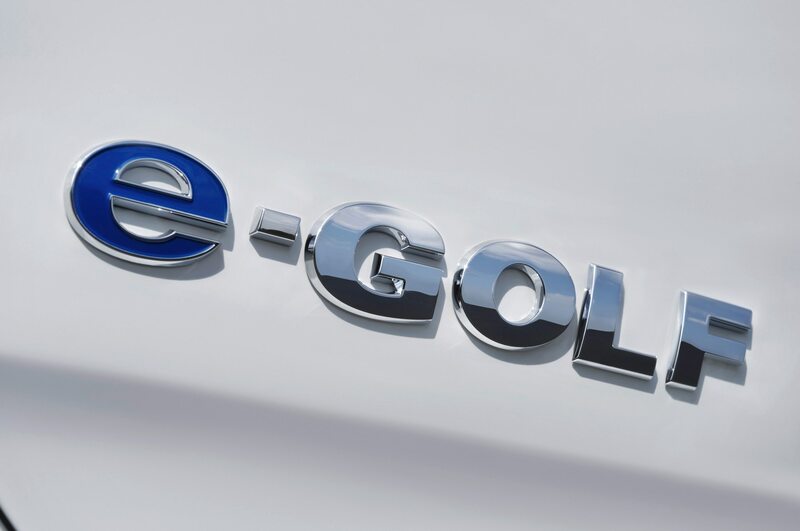 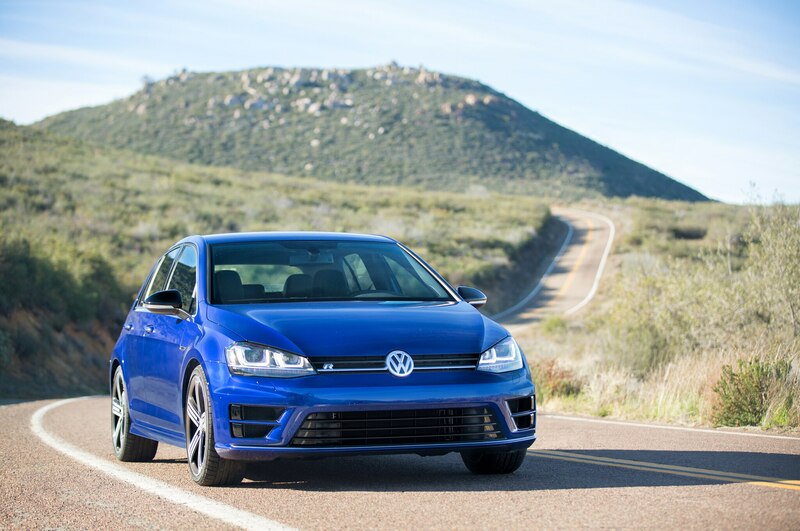 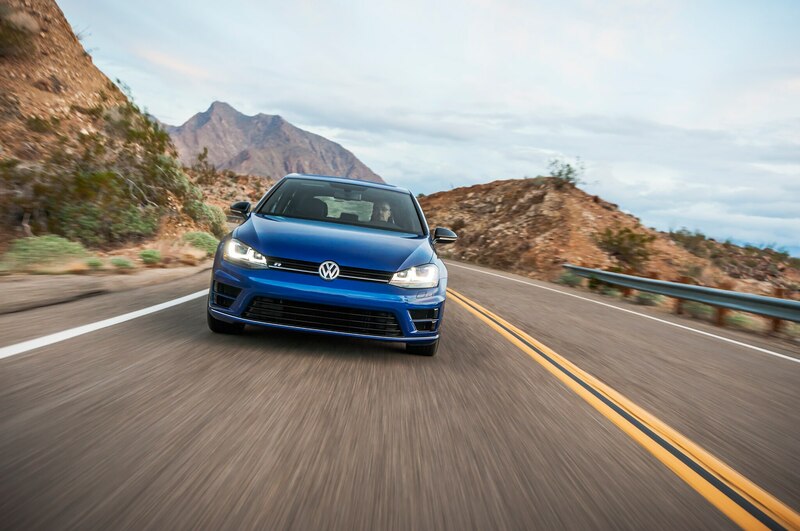 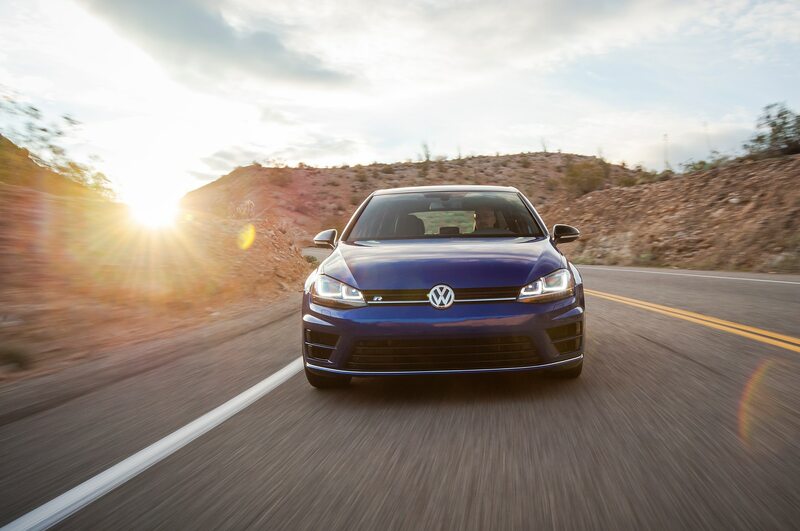 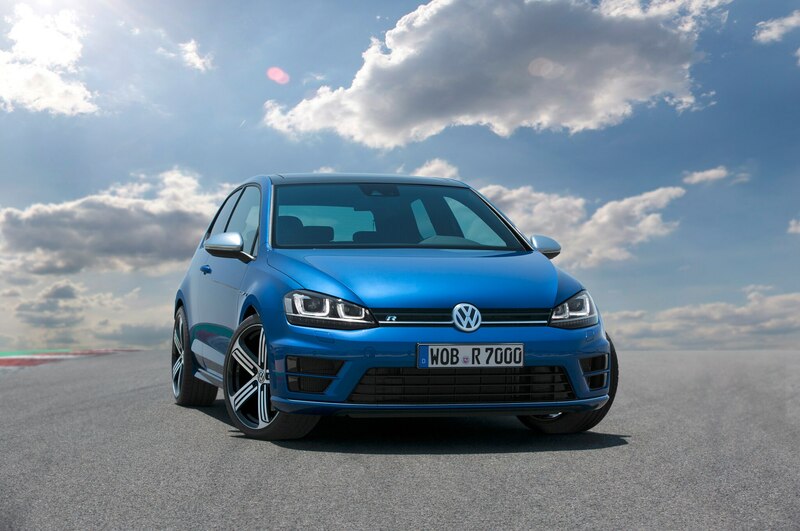 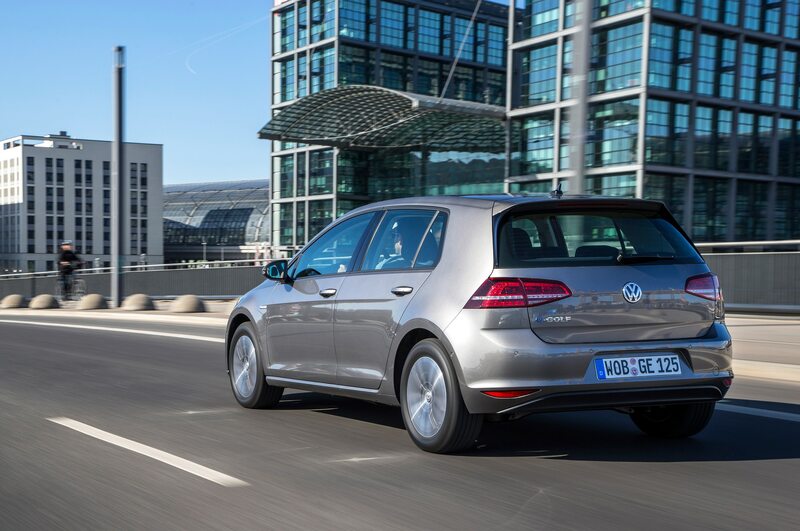 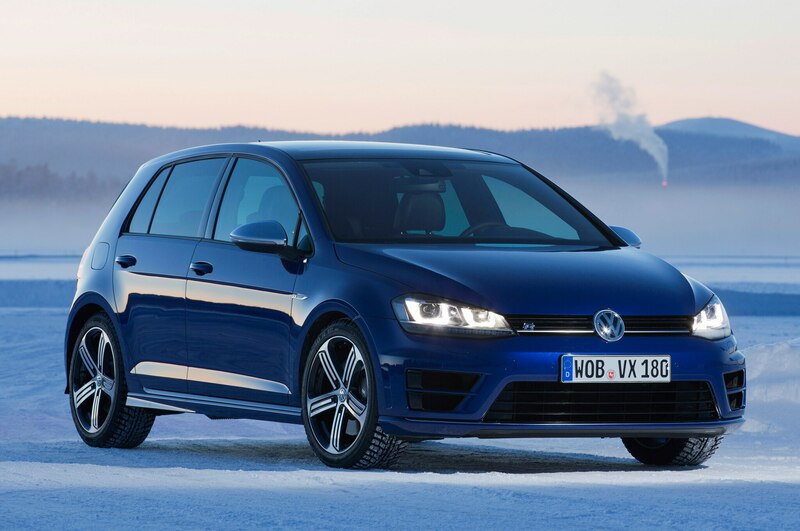 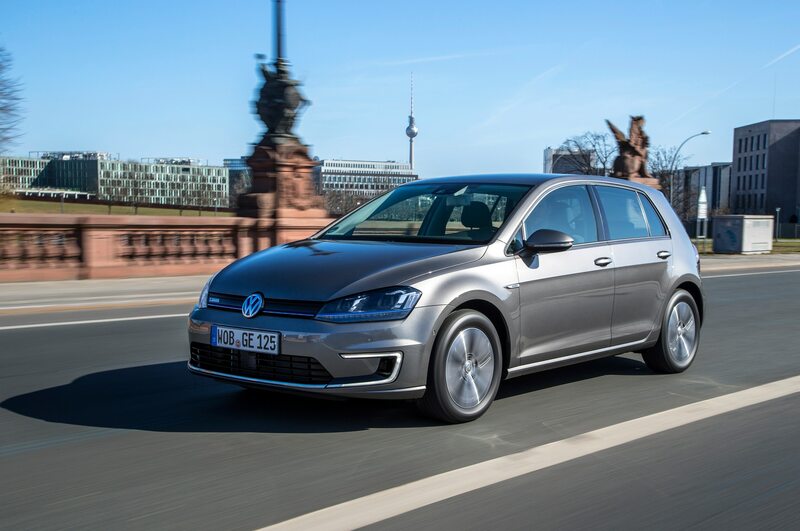 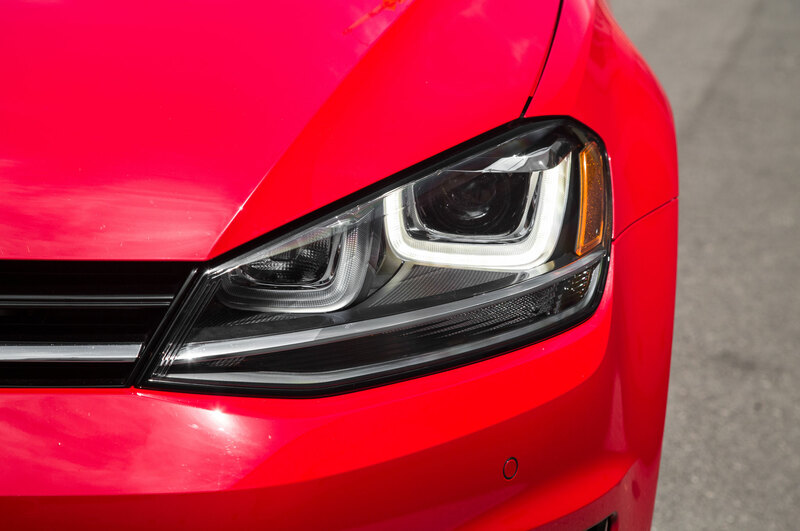 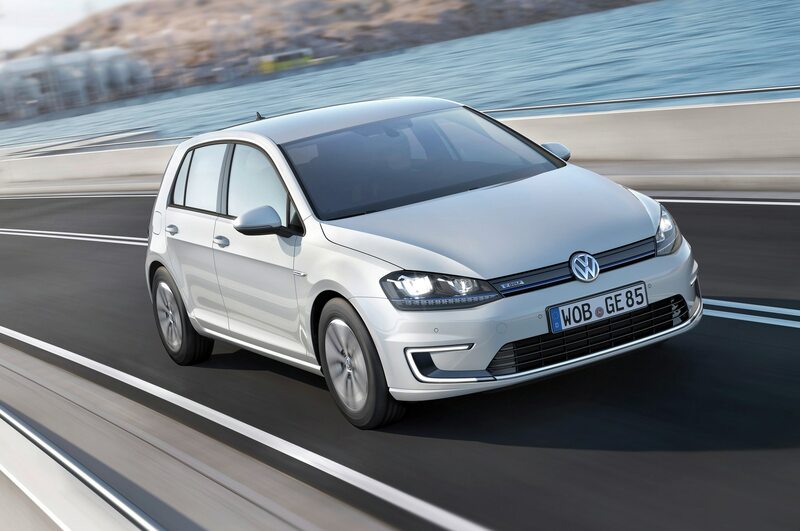 Like the standard Golf, there’s a lot to love about the larger Golf Sportwagen — a very simple and well-built car that drives confidently and comfortably. 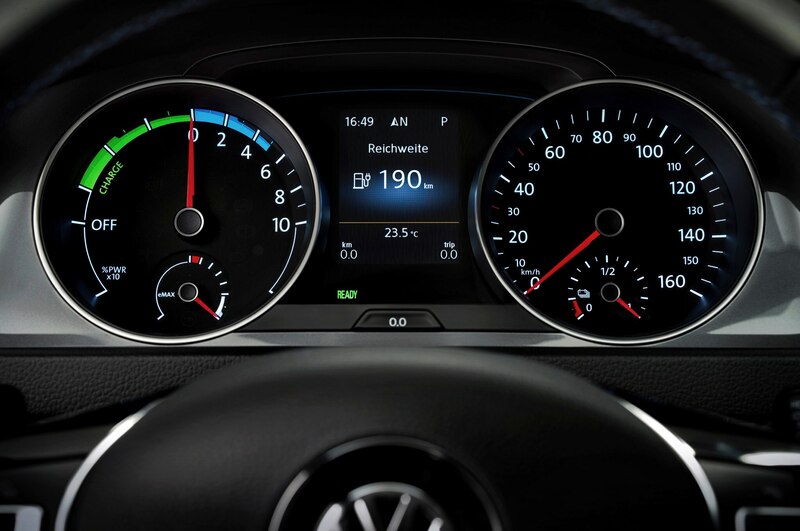 I like the thick rimmed and flat-bottomed steering wheel, the easy-to-read gauges, and the supportive seats, especially. 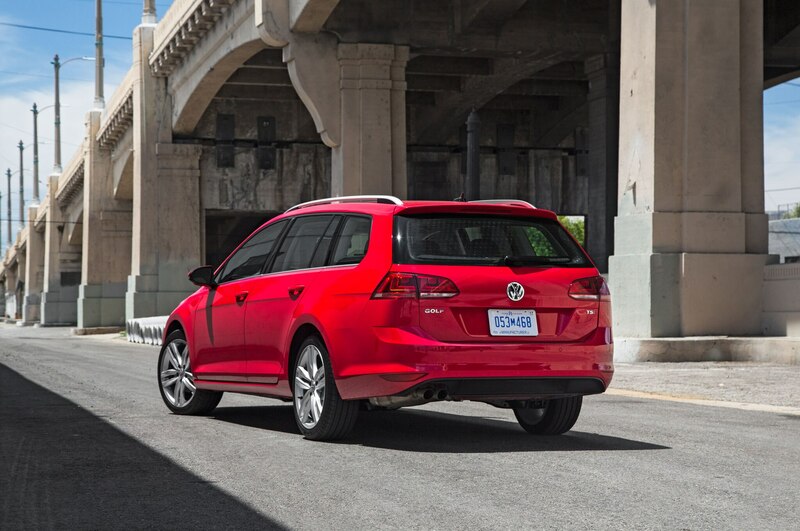 And for all the extra cargo space you get compared to the standard Golf (7.6 cu ft more in the trunk and 13.5 cu ft more with the seats folded), the Golf Sportwagen feels almost exactly the same to drive. 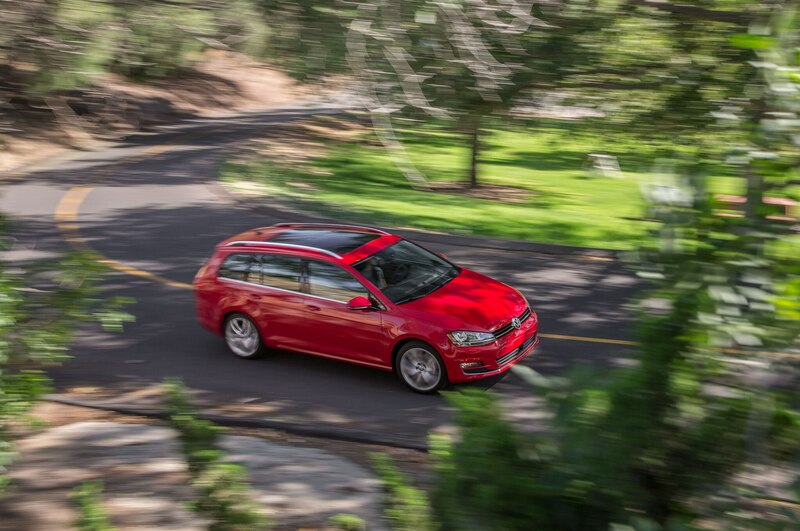 Once or twice I actually forgot I was driving the wagon until I looked in the rear-view mirror. 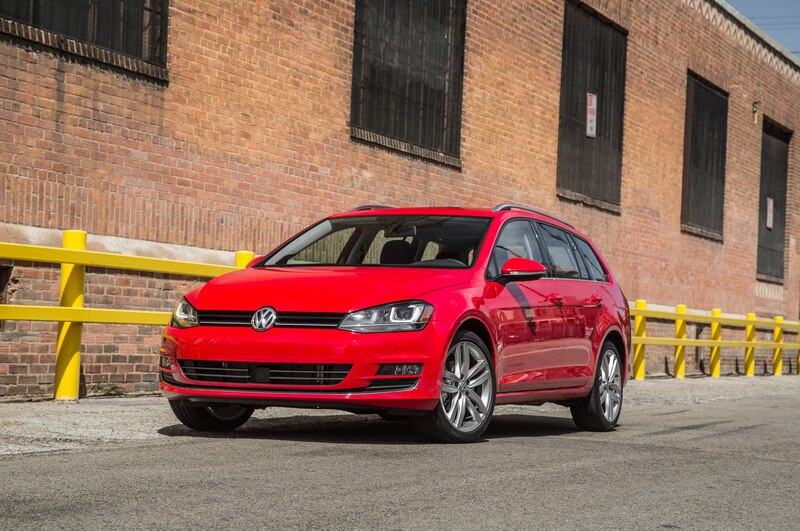 There aren’t really any cars out there at this price point that are quite like it. 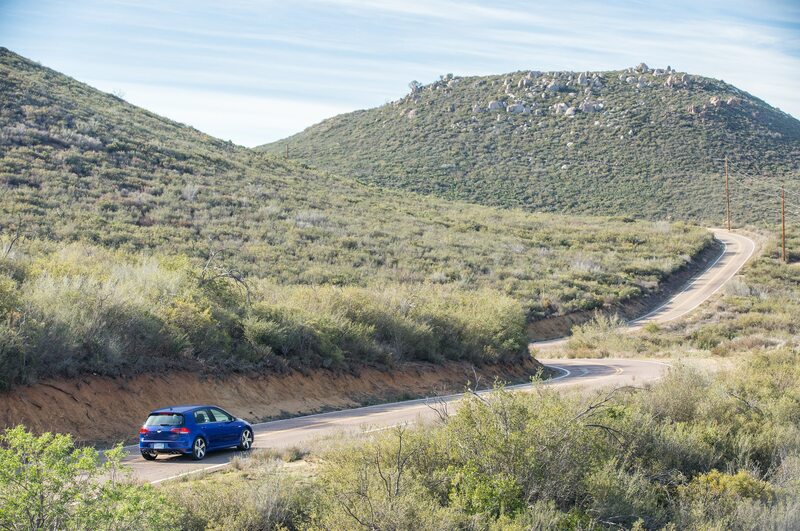 You’ll have to shell out a lot more money for a BMW 3 Series wagon, or Volvo V60, and even the Subaru Outback and XV Crosstrek have much more crossover-like proportions and attitude. 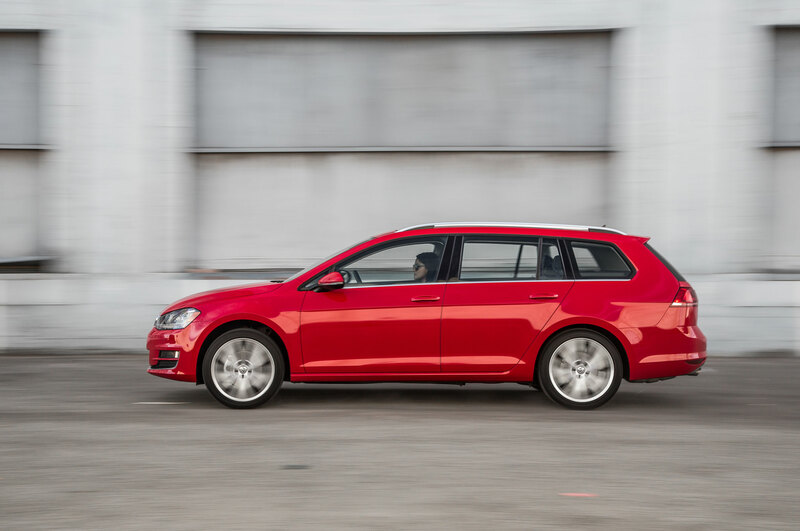 I would always prefer the wagon to any kind of crossover for daily use, but realistically, VW will probably have a lot more success with the upcoming Golf Alltrack. 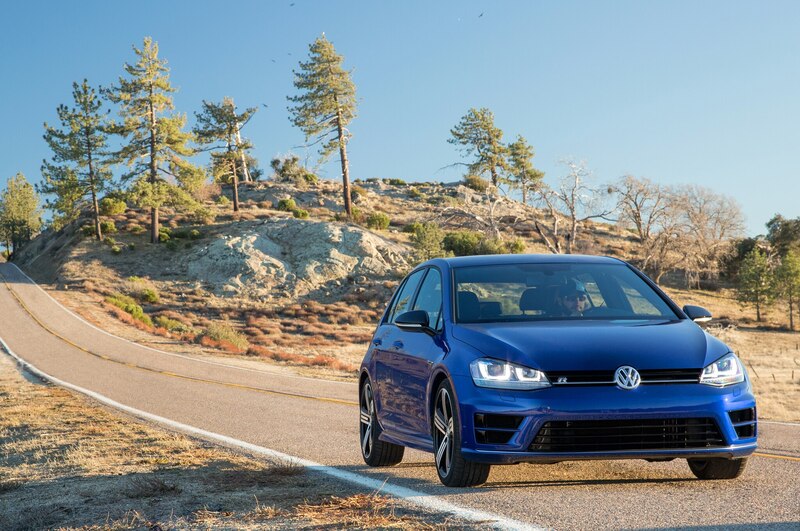 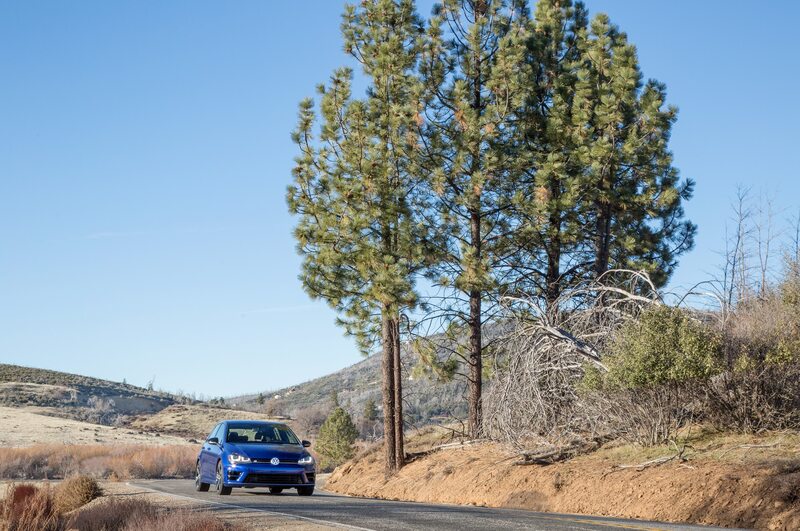 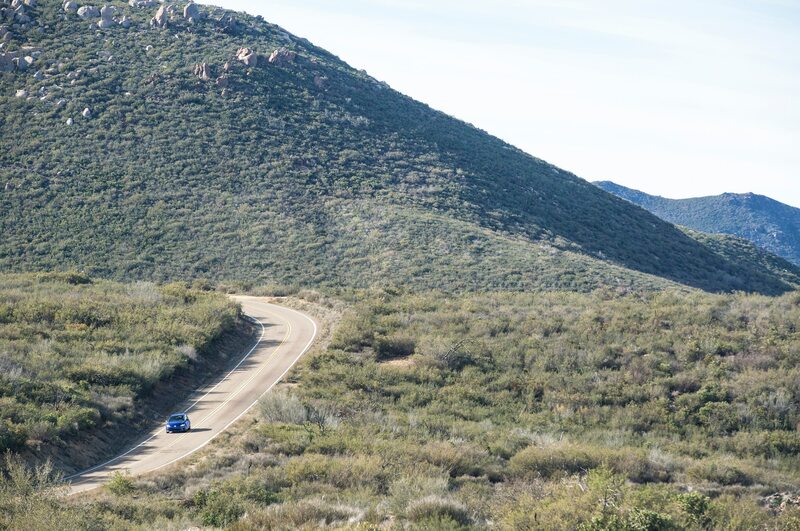 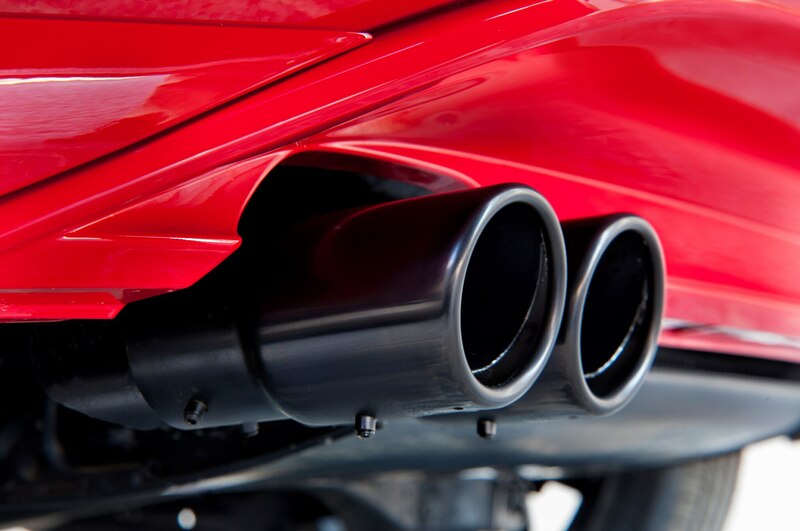 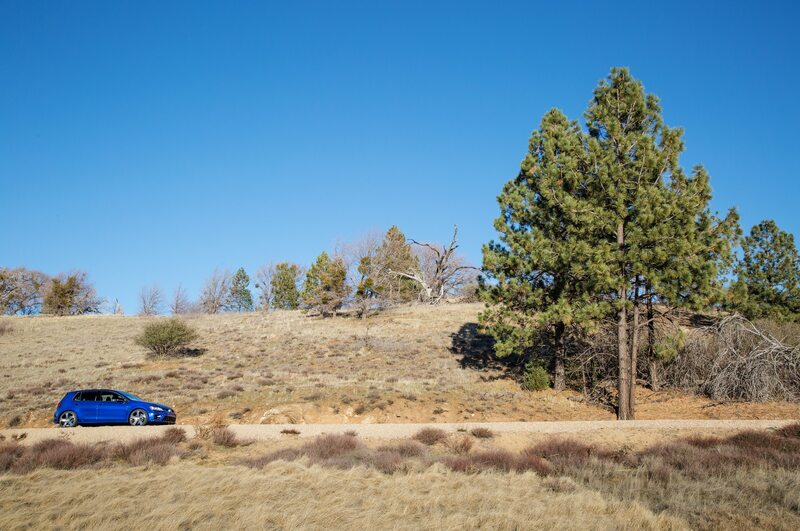 That car, as incapable as it is of actually off-roading, is a much more enticing option because of its standard all-wheel drive and more striking, tougher looks. 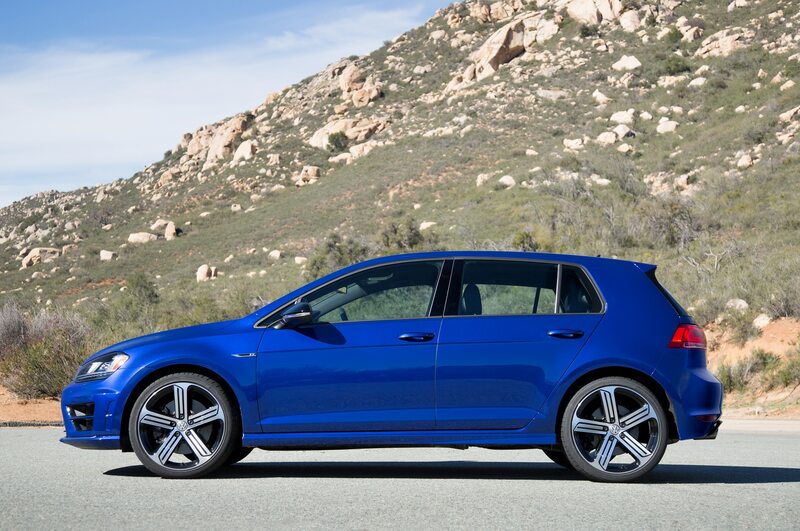 As good as the Sportwagen is, it looks like it easily could have come out 5 years ago, and that tells me it isn’t going to knock anyone’s socks off in a showroom. 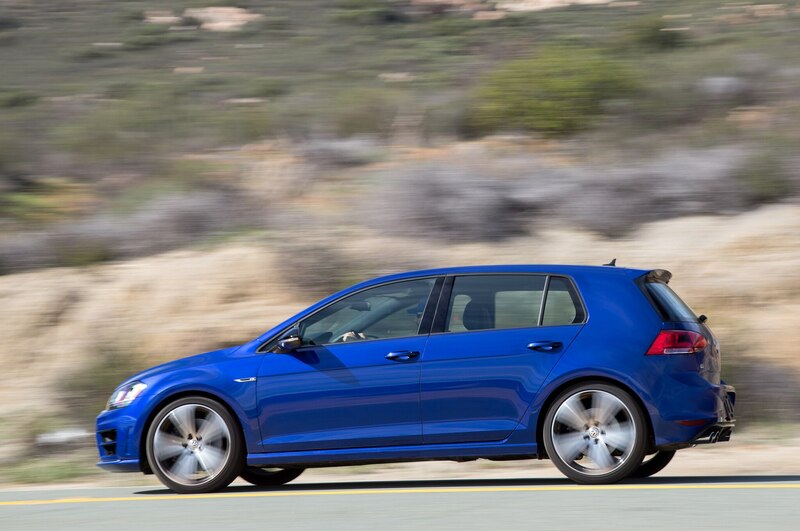 The Golf SportWagen’s packaging is possibly this Volkswagen’s greatest asset. 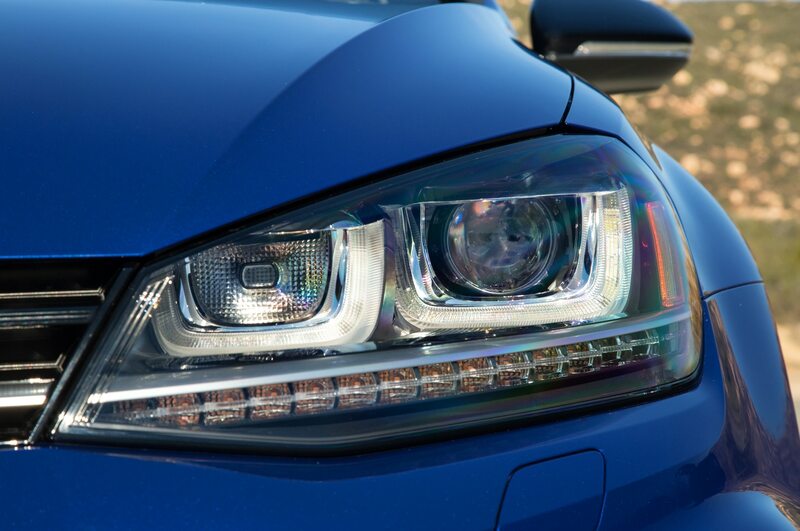 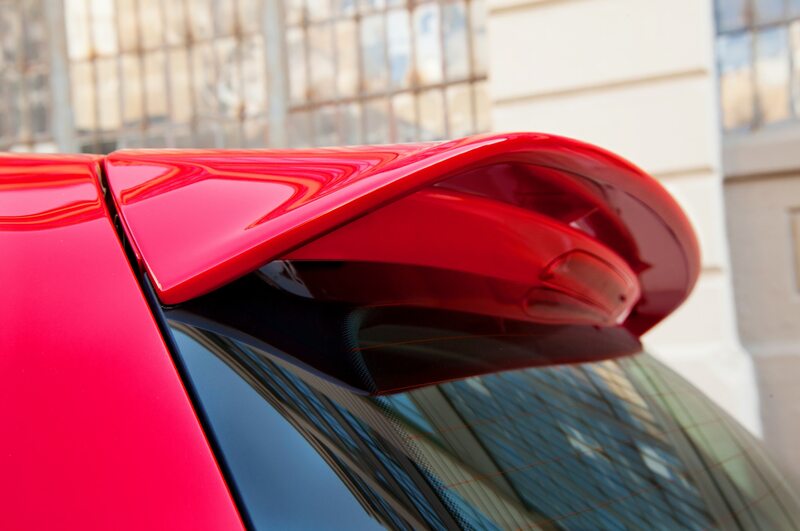 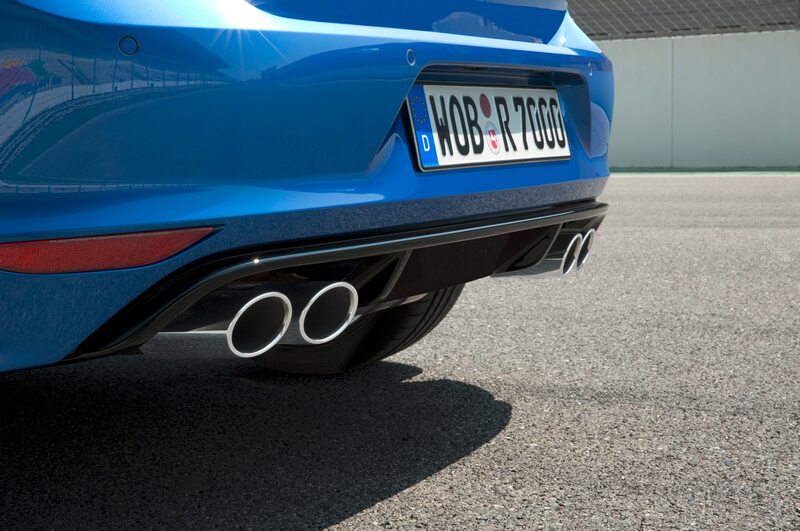 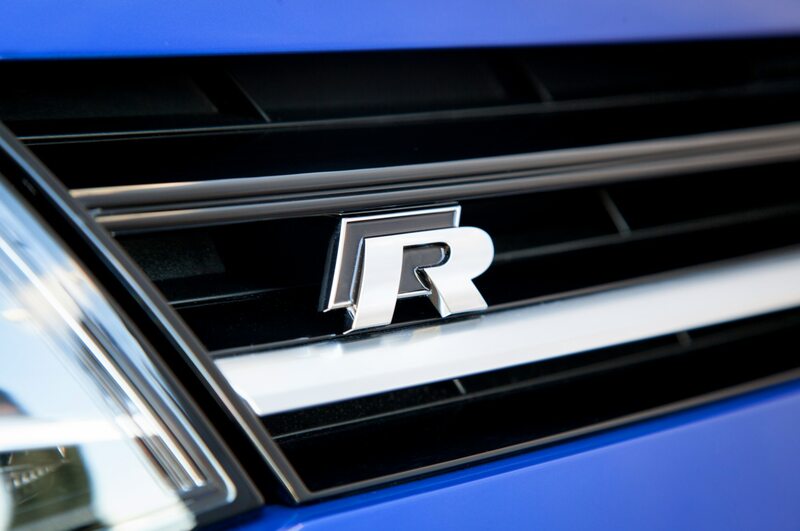 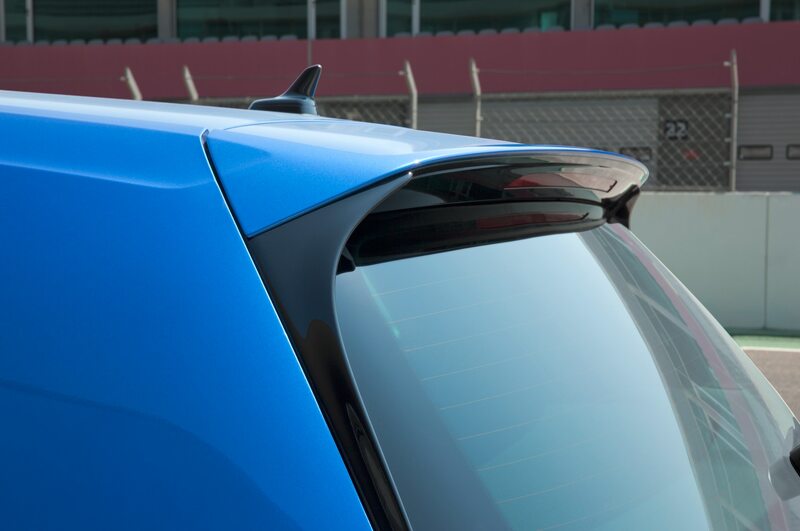 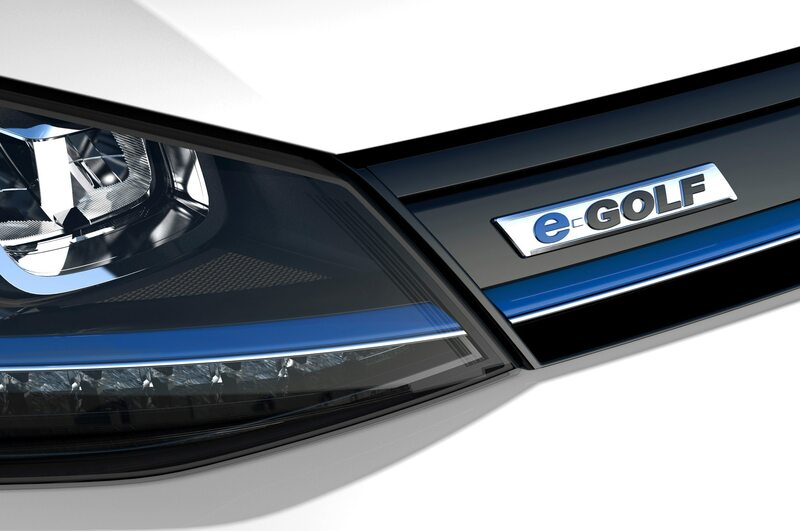 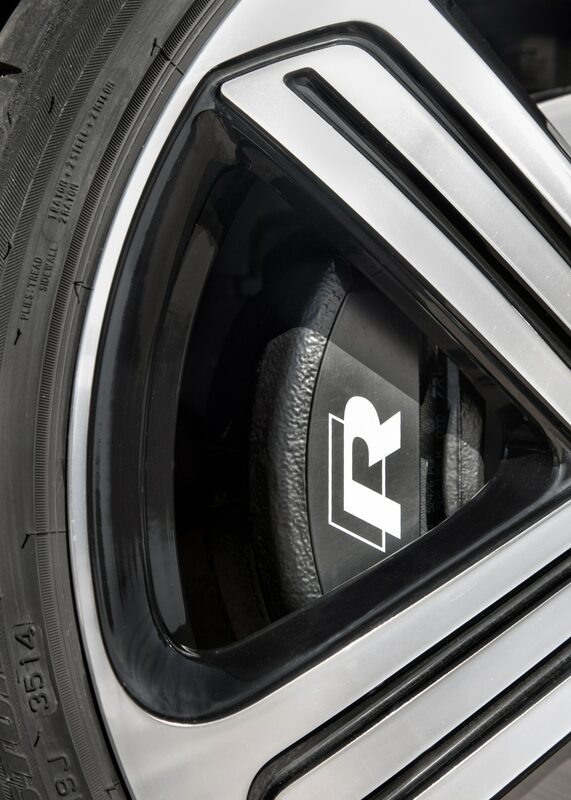 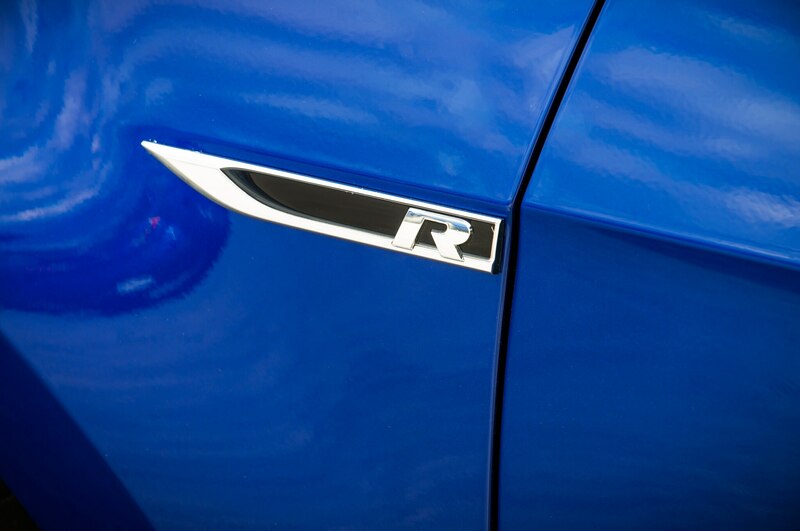 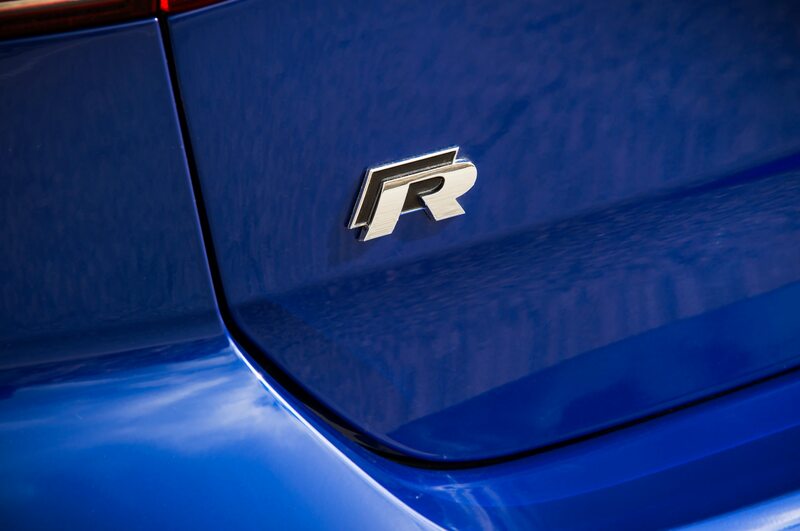 The low cowl combines with big glass areas to make this car exceptionally easy to see out of. 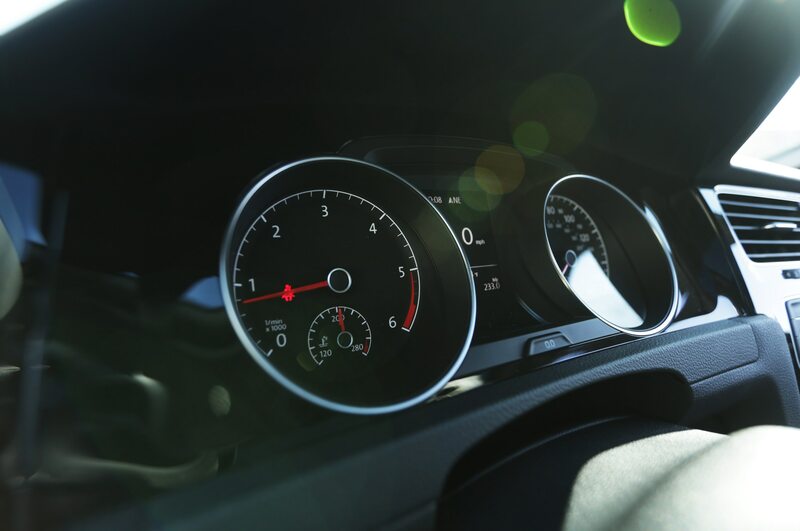 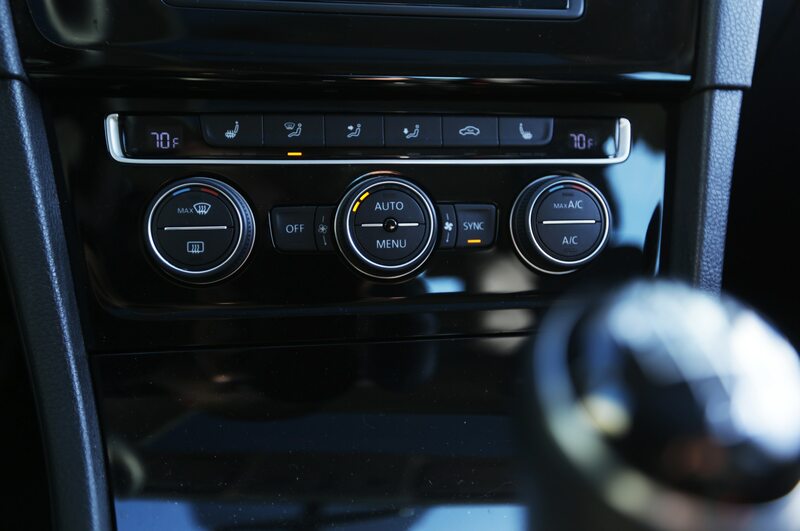 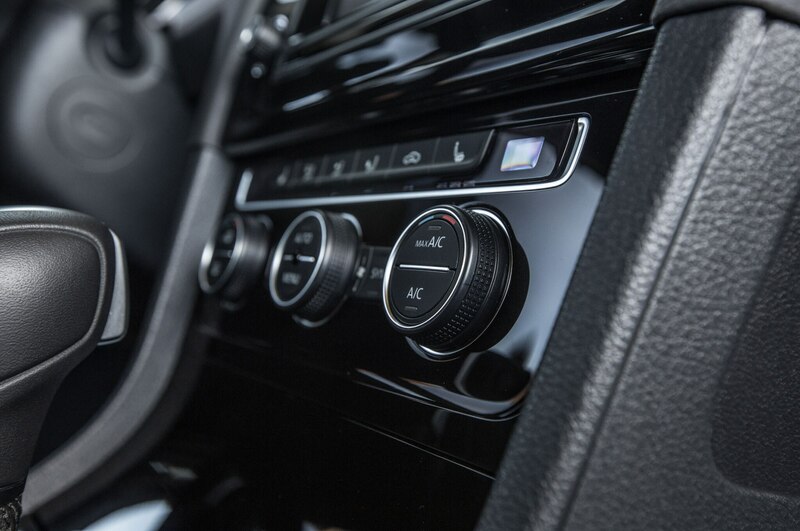 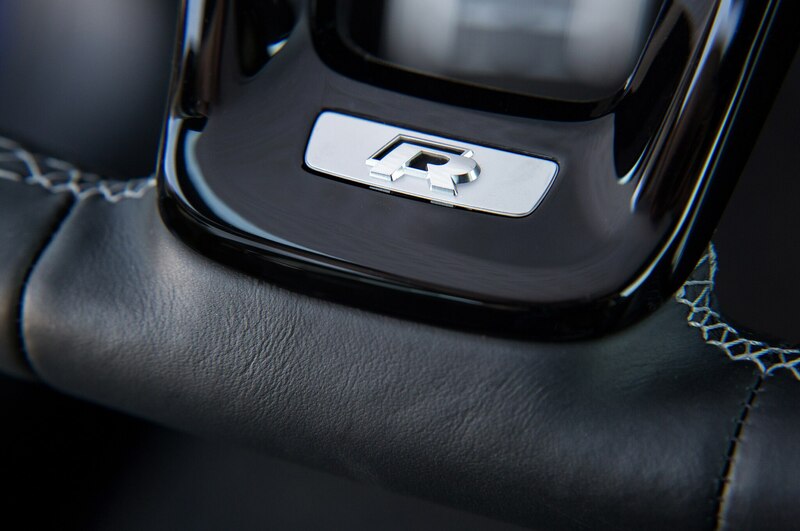 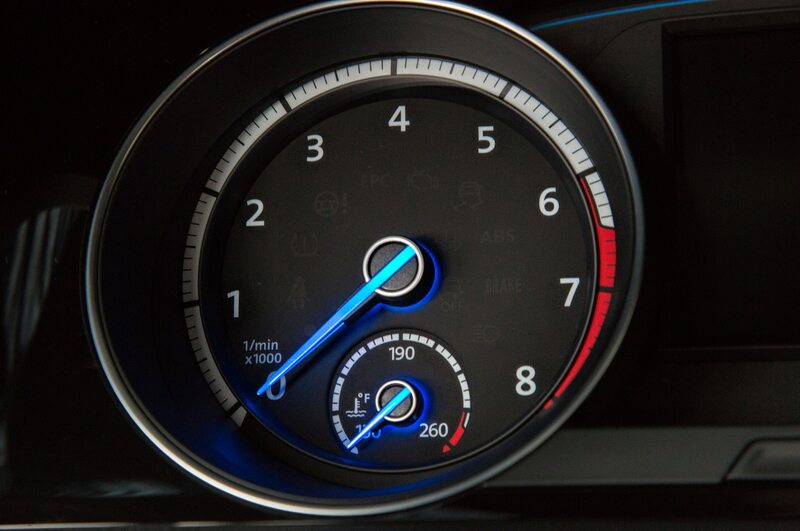 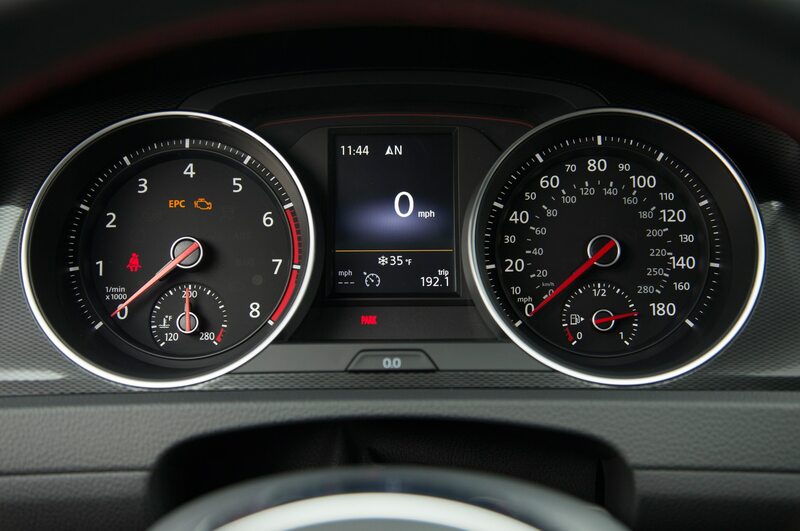 And everything just feels like it’s in the right place, from the climate controls to the shifter to the pedals. 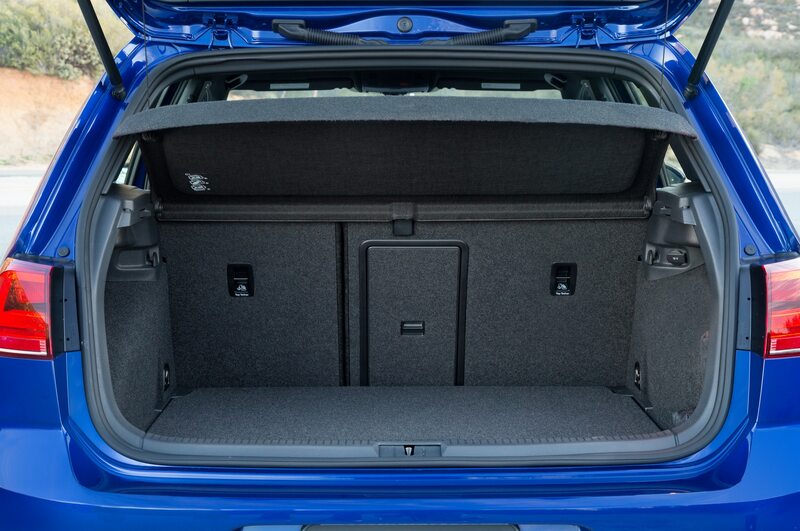 I also think that the cargo area is more usable than many crossovers, because it has such a low, flat floor and a wide liftgate opening. 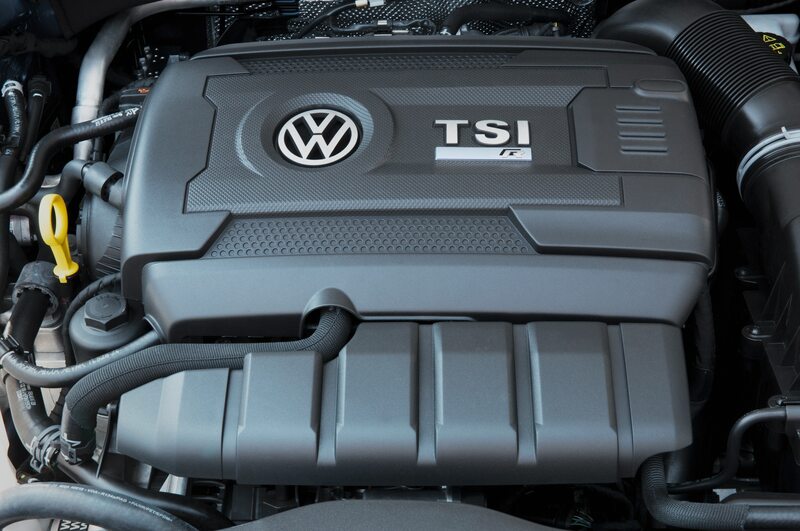 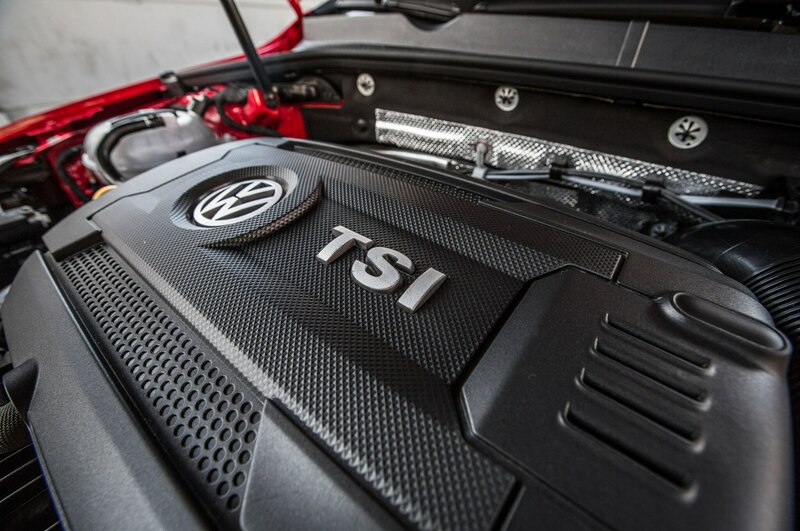 After driving both the 1.8T and TDI engines, I think the diesel is the way to go. 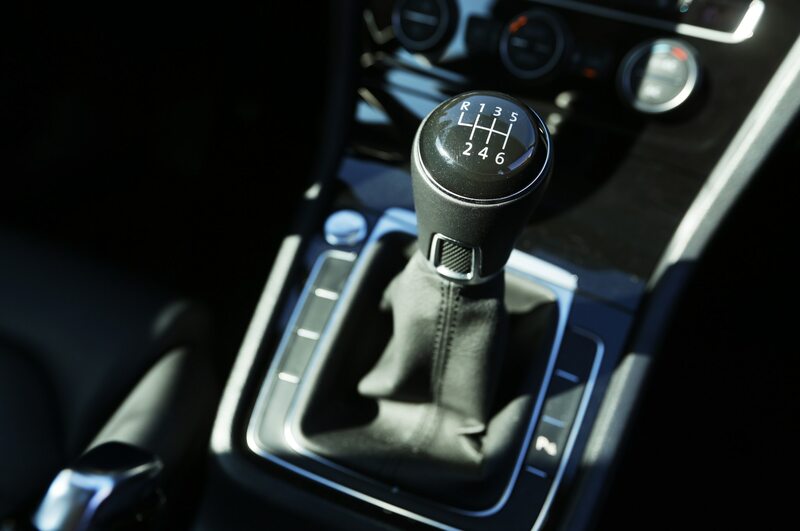 It just makes the car so effortless to drive, as the torque delivery is smooth and linear and the manual shifter and clutch are forgiving. 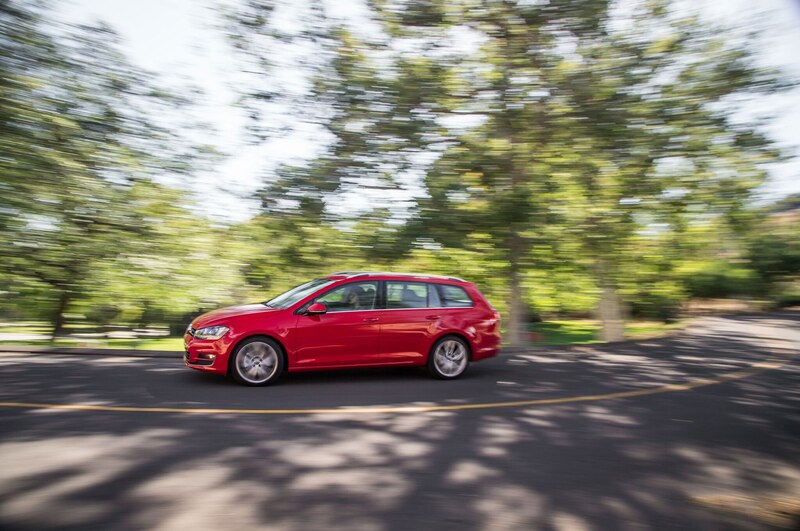 Yes, $30,000 is nothing to scoff at, but the Golf Sportwagen’s great execution makes it feel worth it. 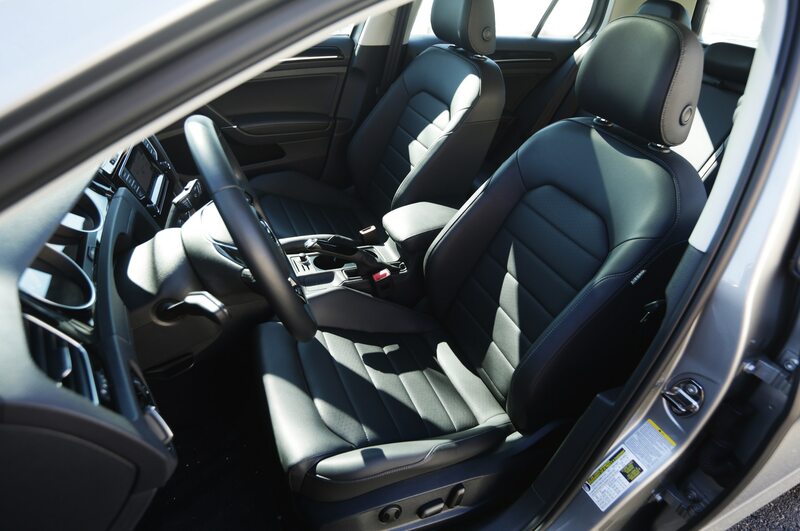 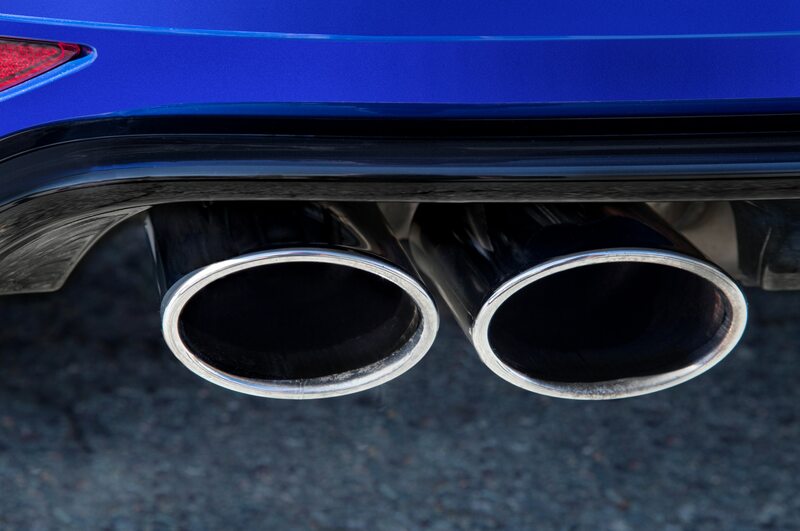 It’s hard to come up with downsides for this car — it gets great fuel economy, has tons of space inside, looks relatively stylish, and has a very well-built interior. 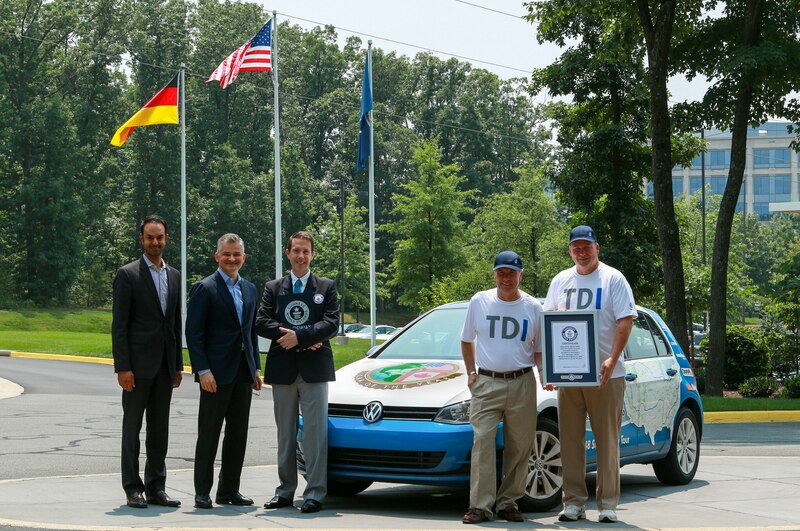 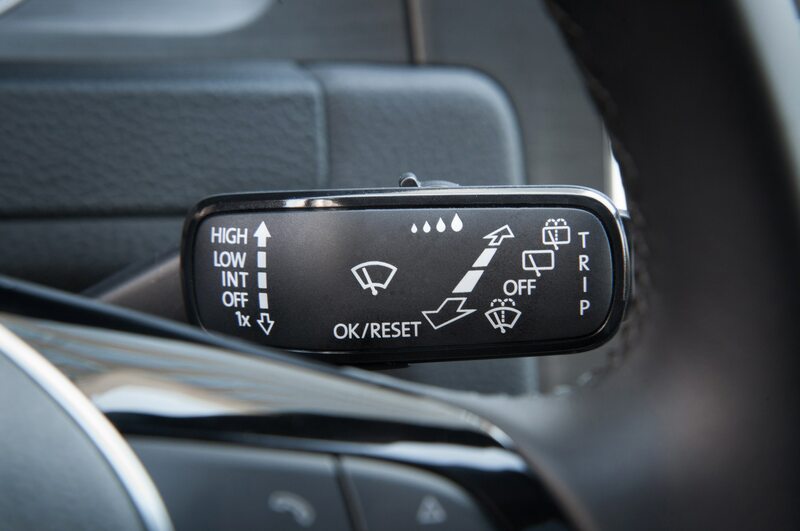 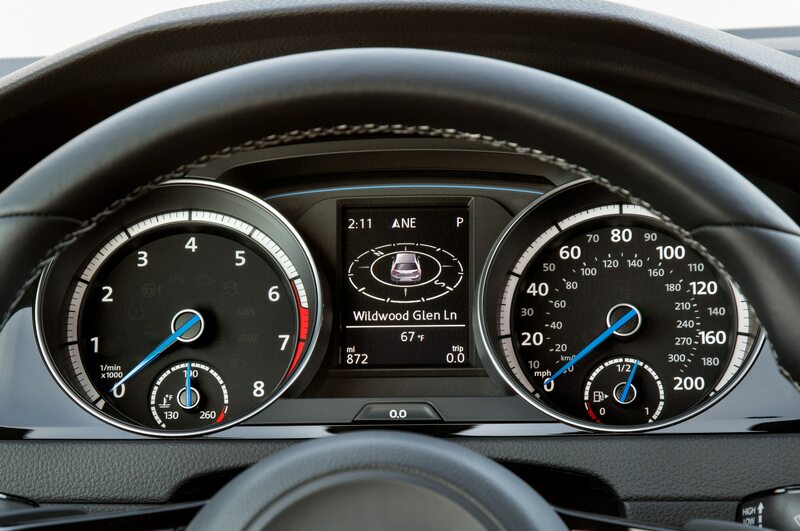 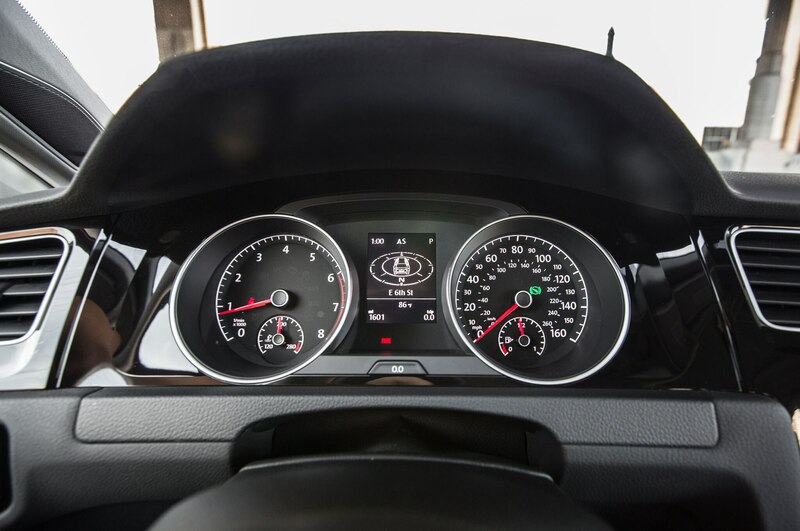 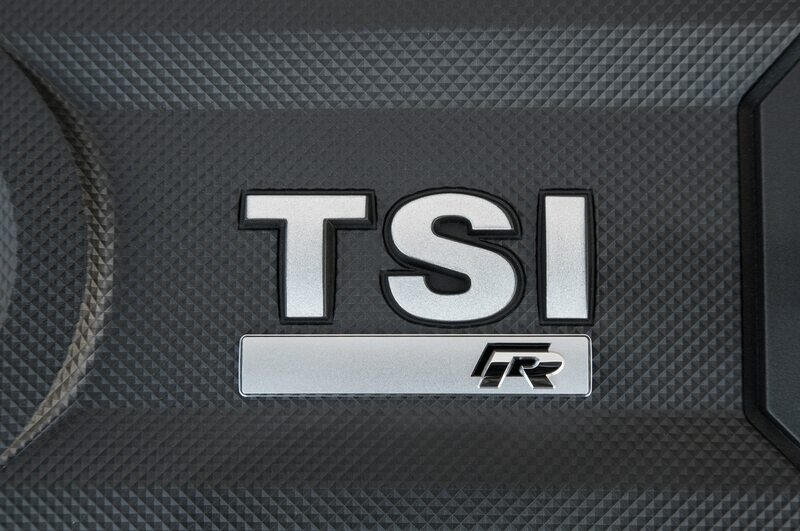 Driver assist systems improve cars' safety ratings.